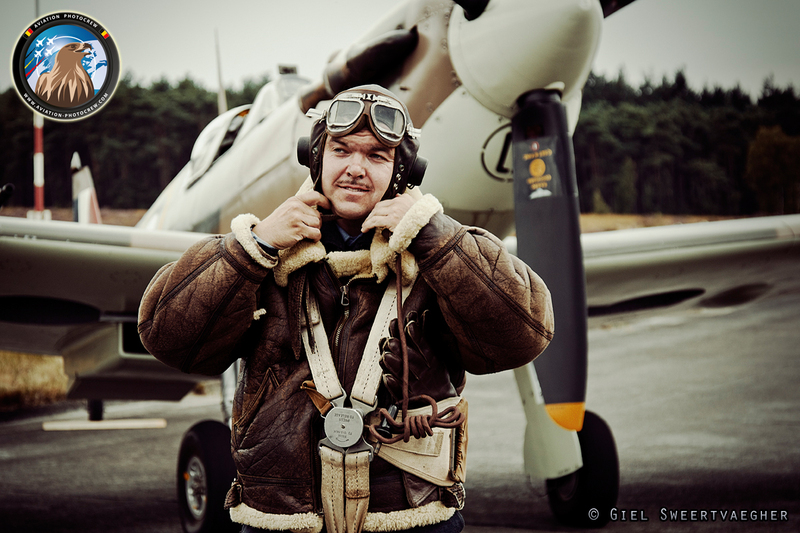 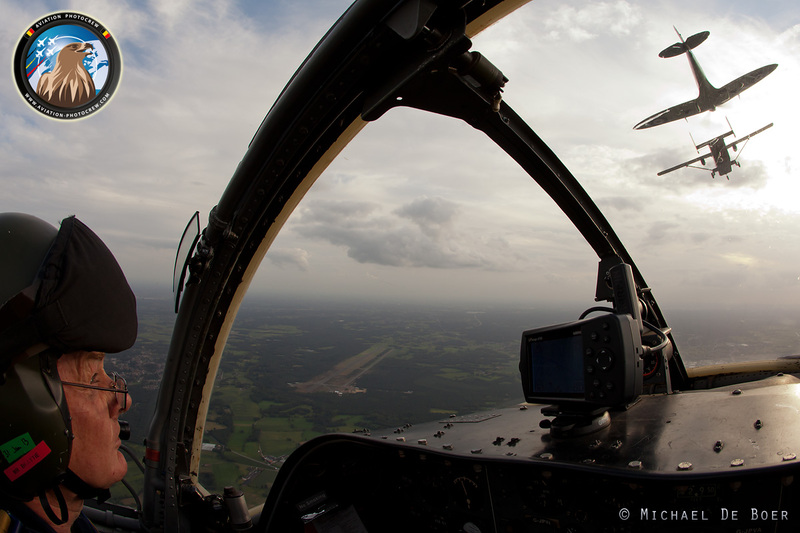 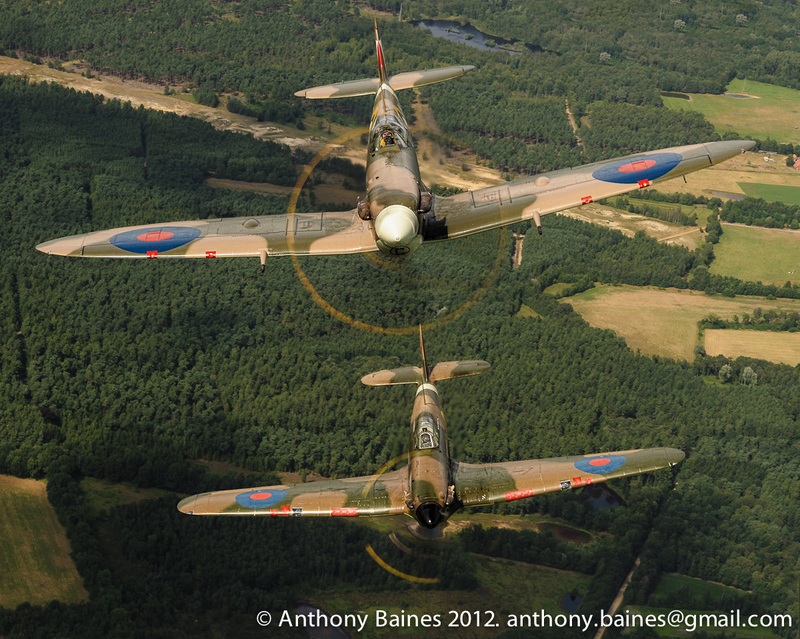 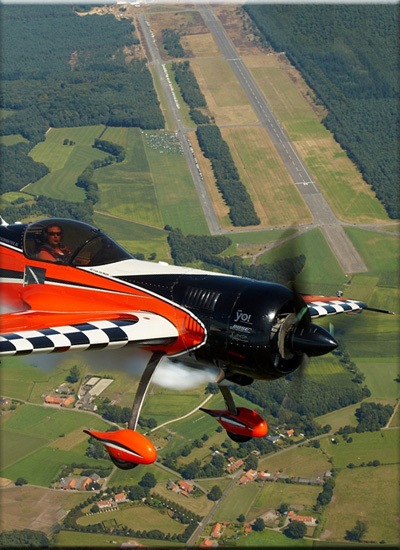 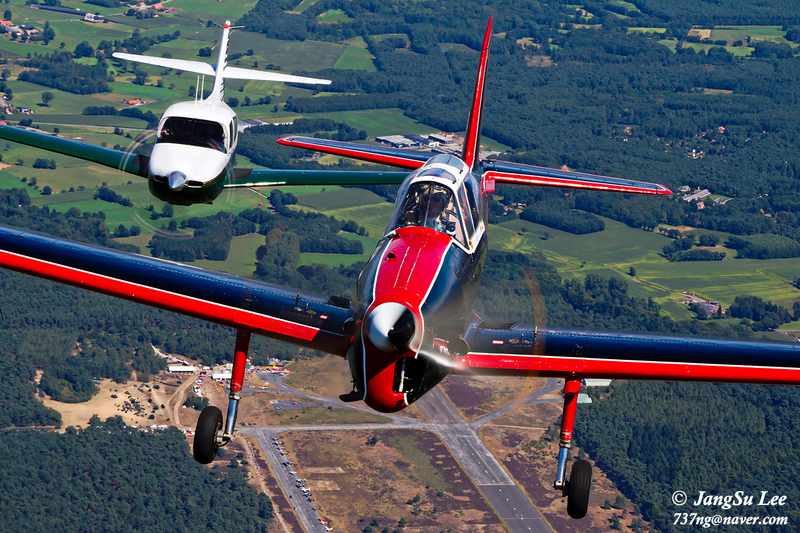 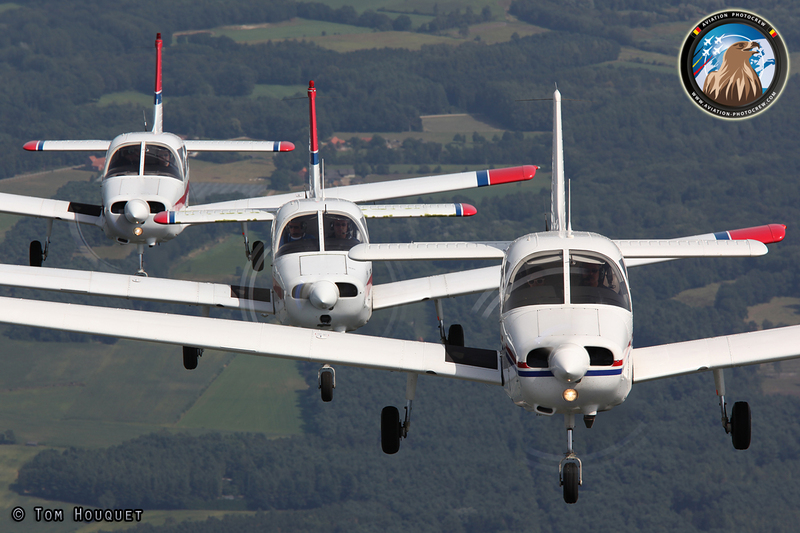 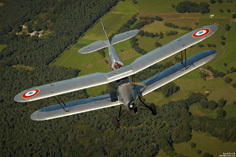 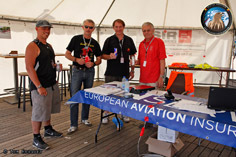 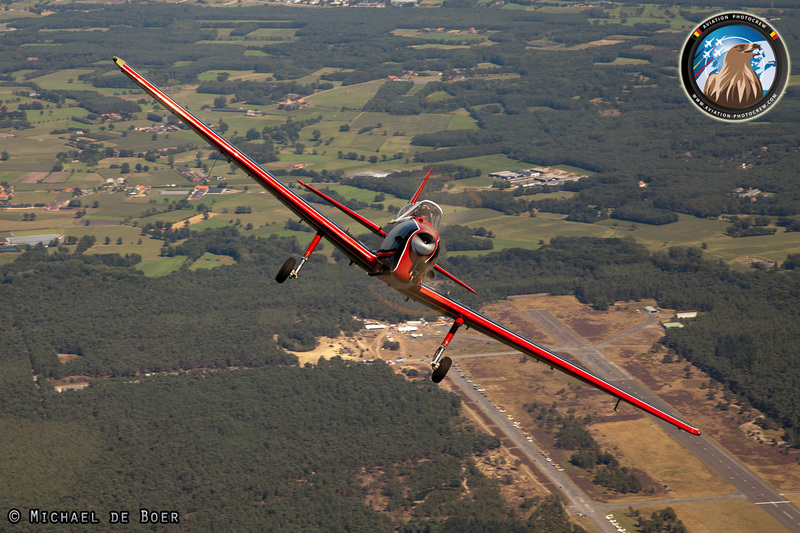 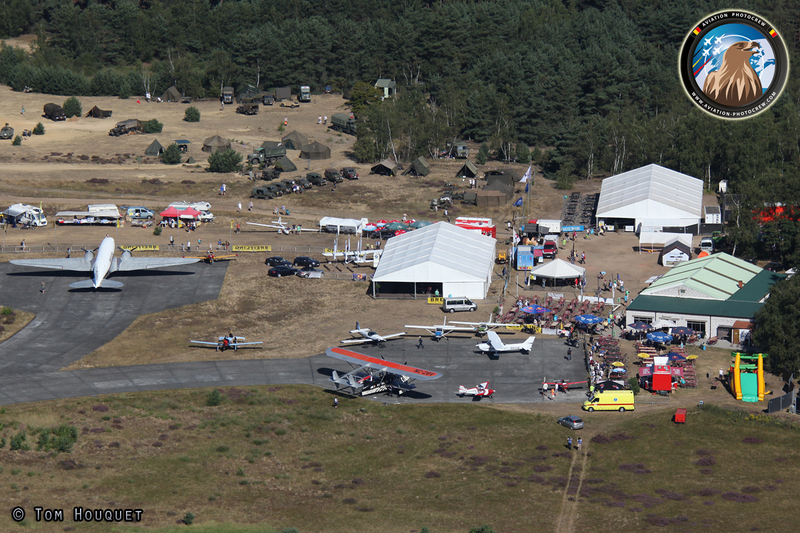 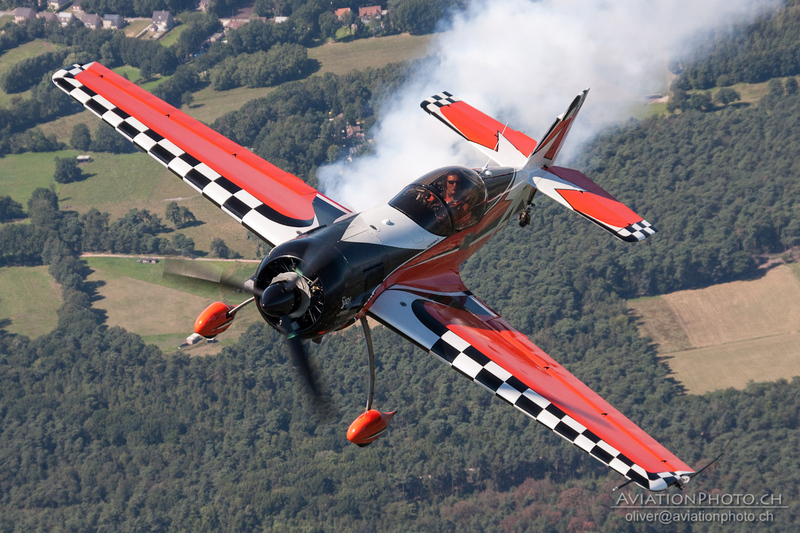 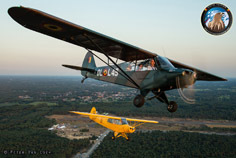 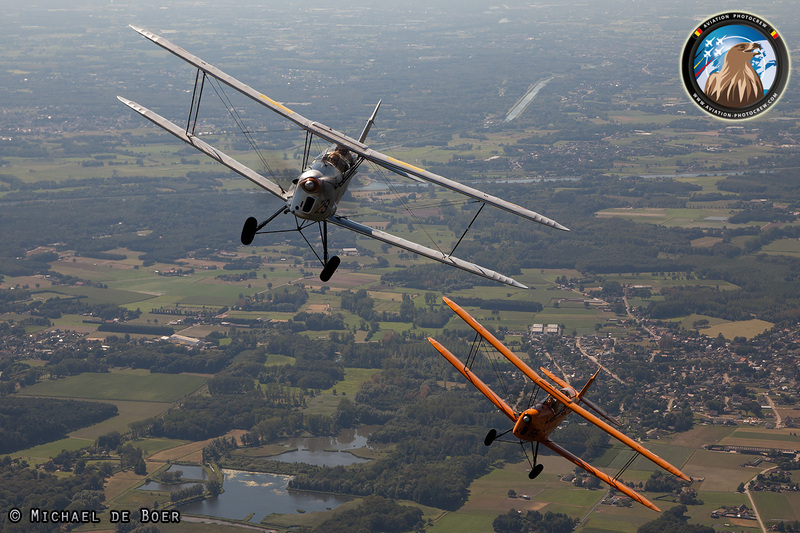 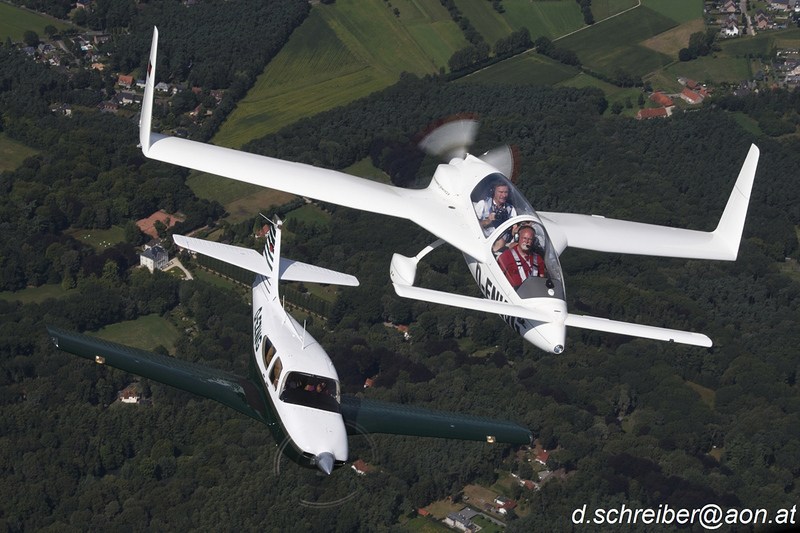 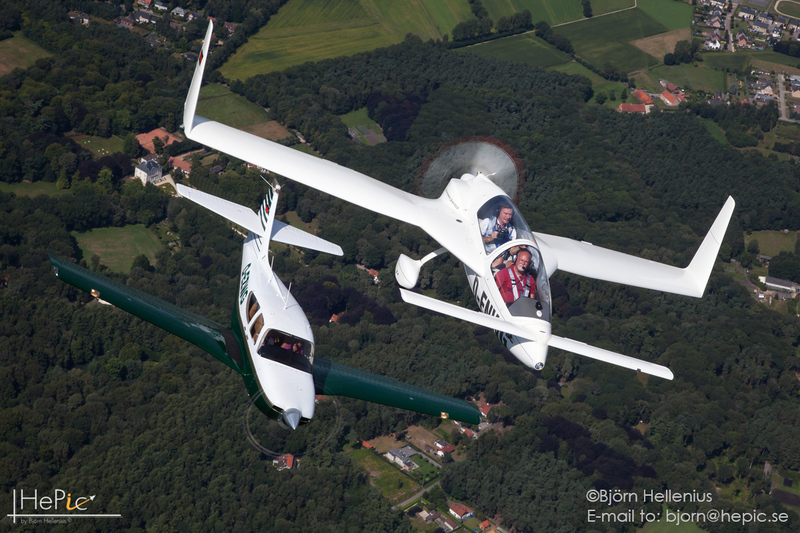 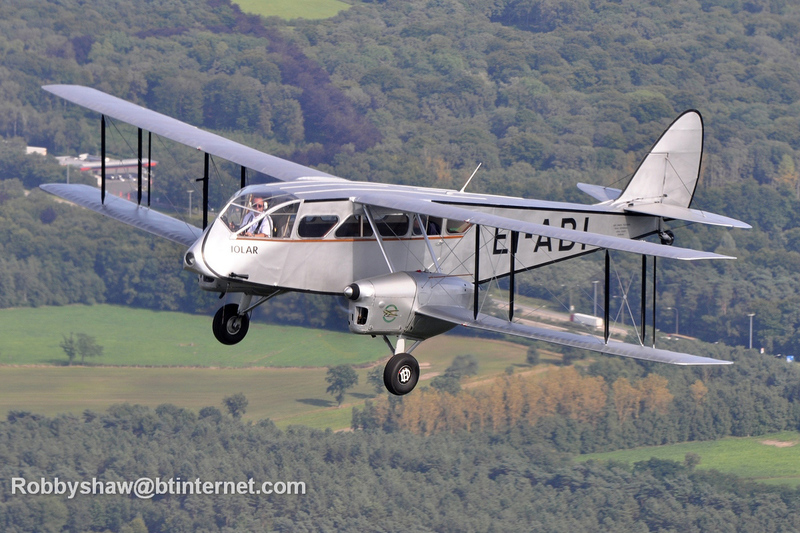 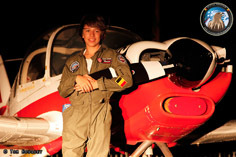 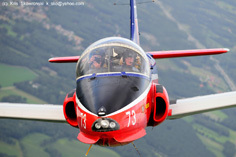 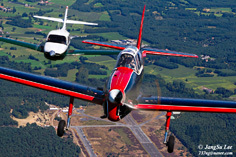 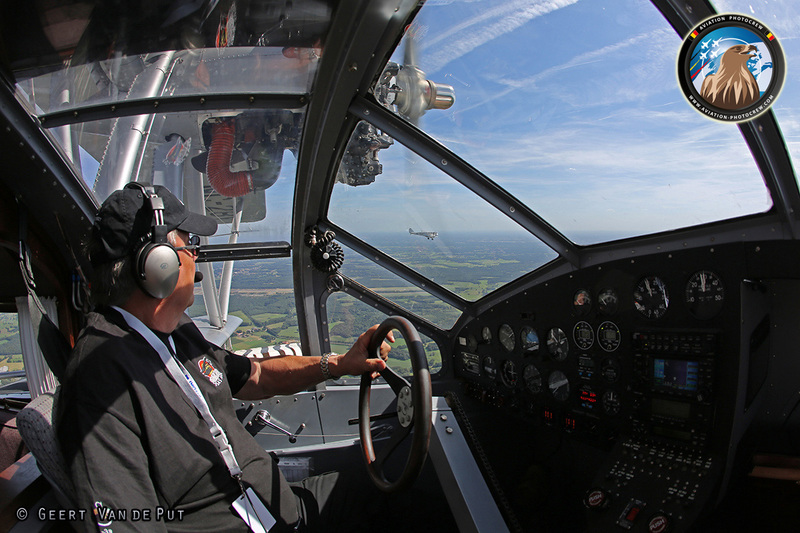 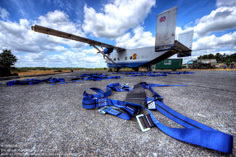 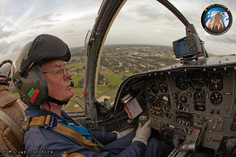 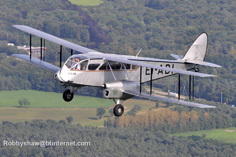 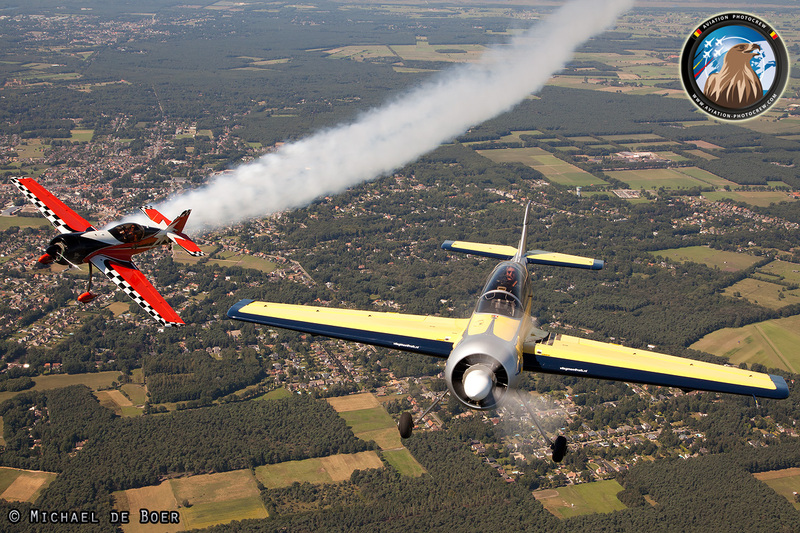 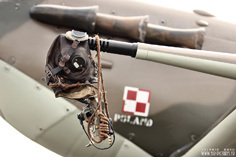 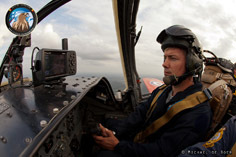 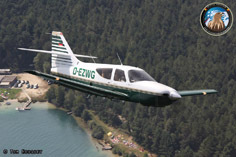 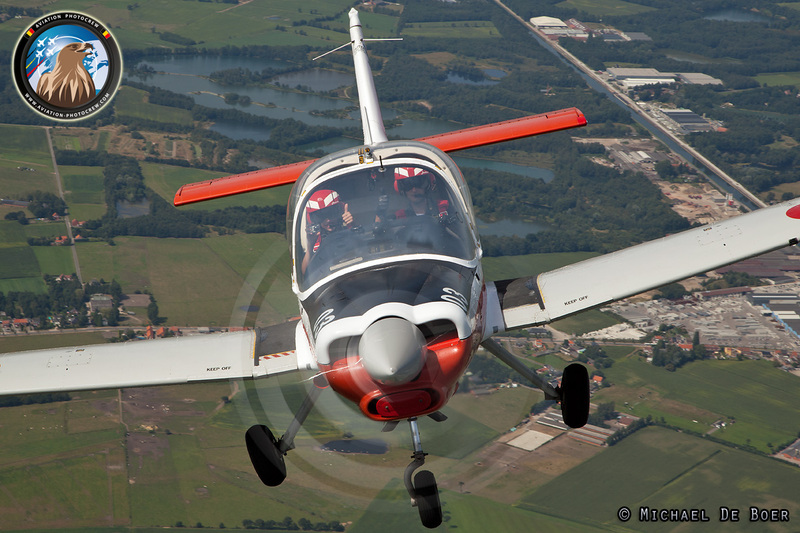 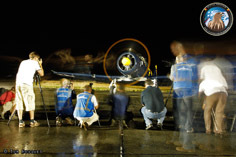 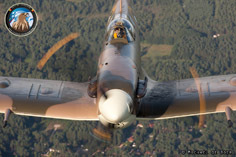 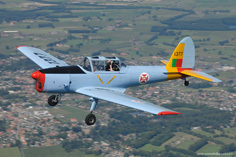 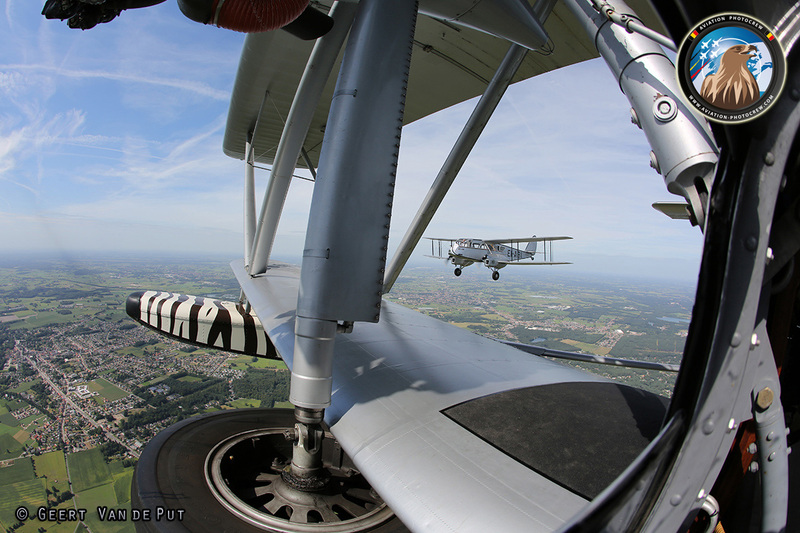 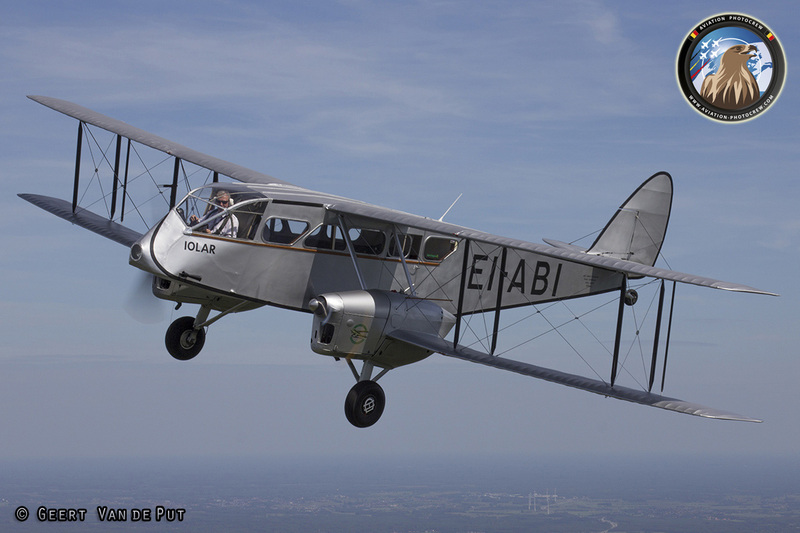 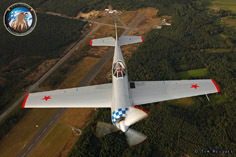 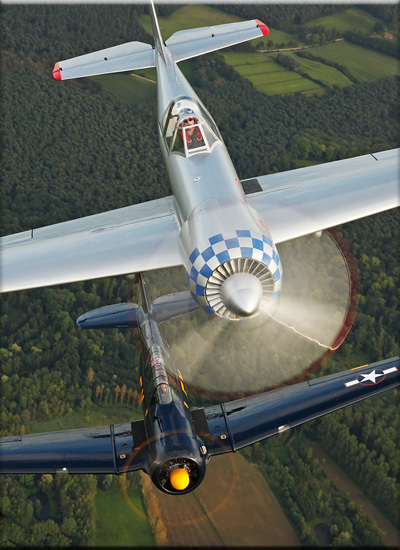 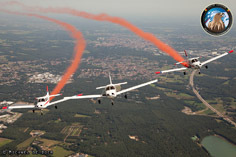 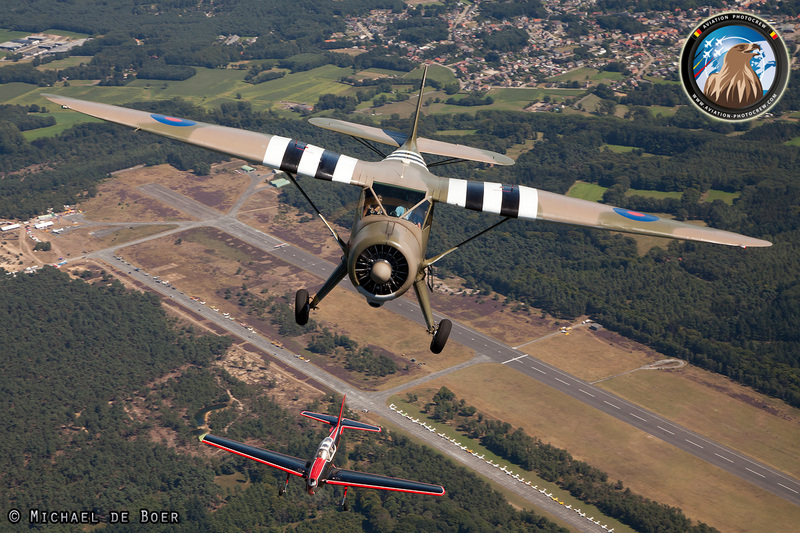 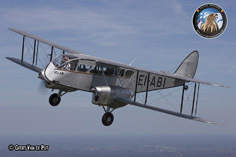 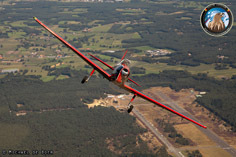 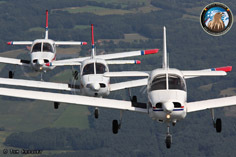 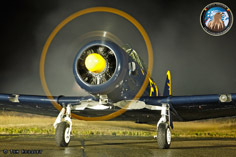 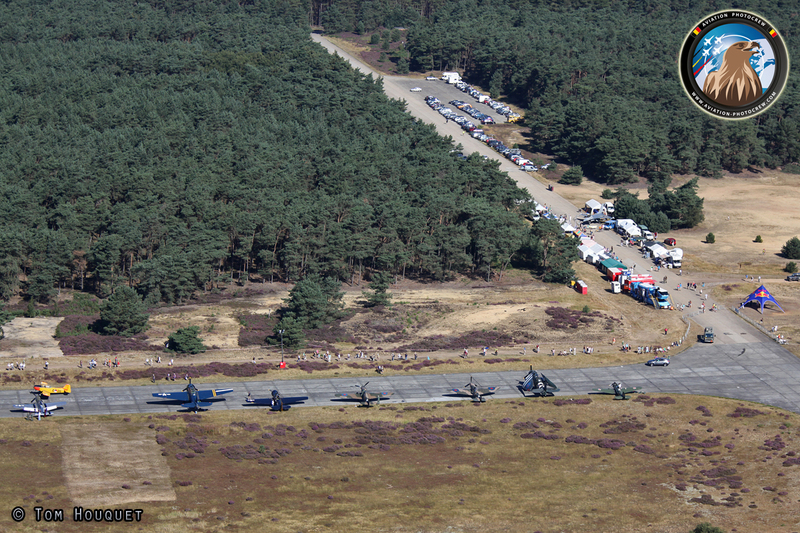 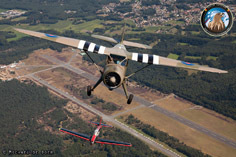 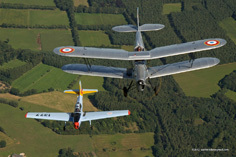 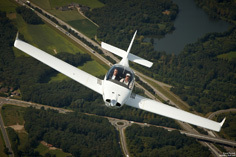 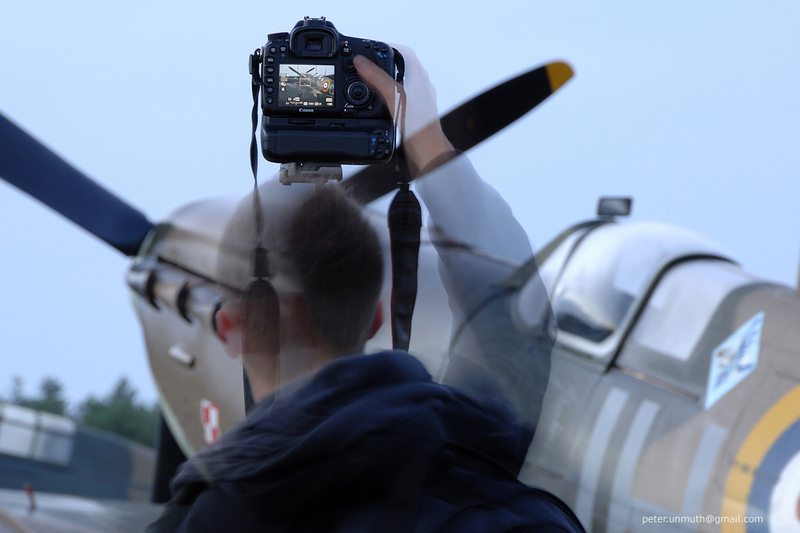 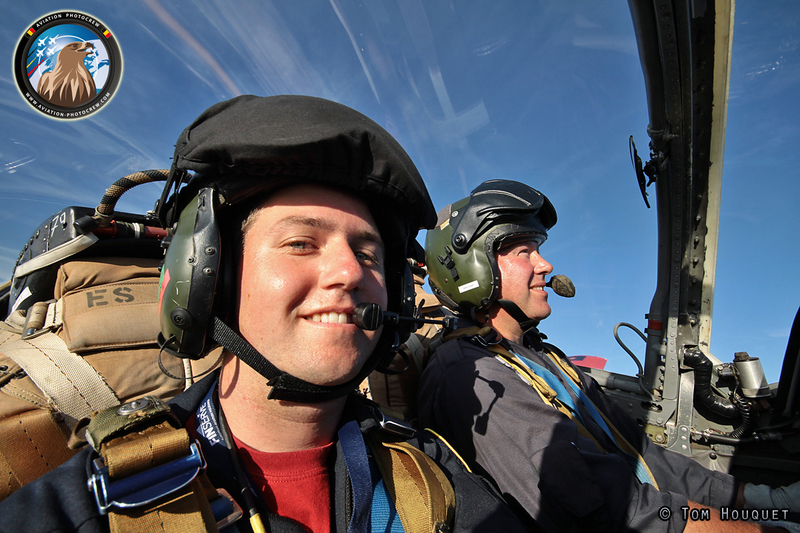 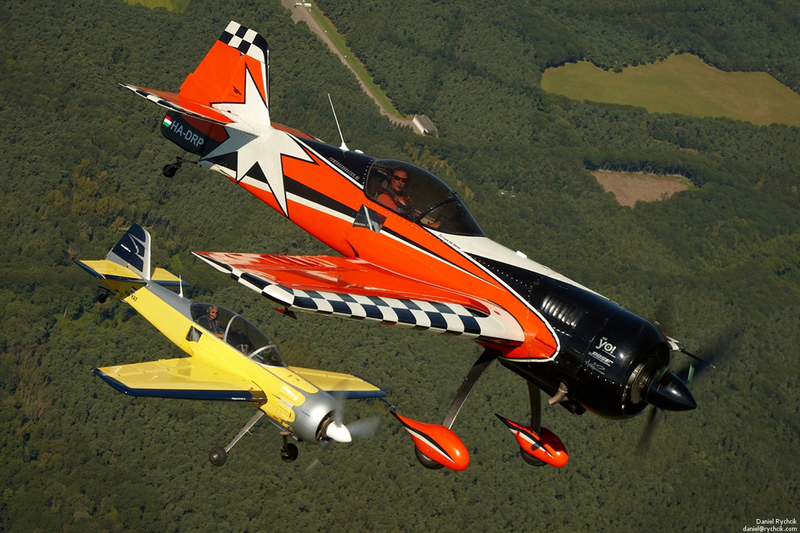 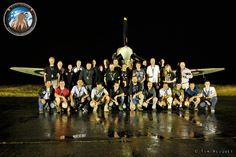 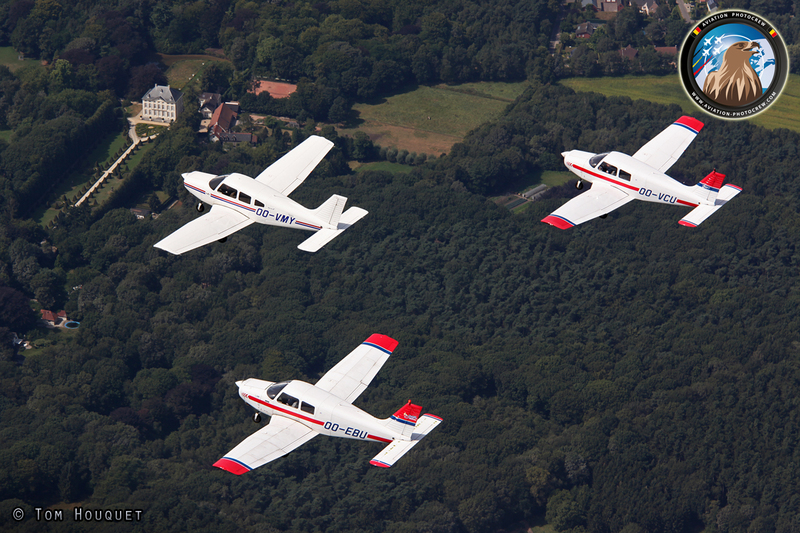 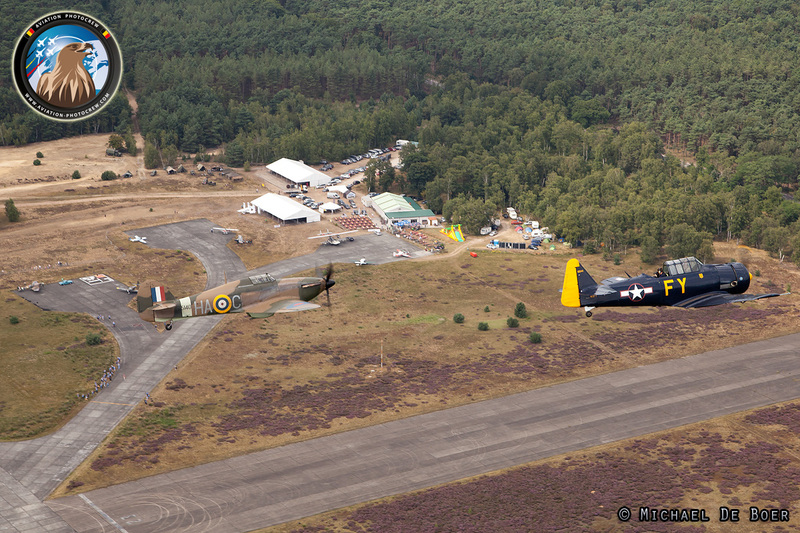 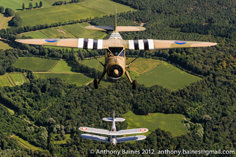 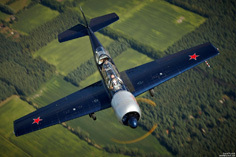 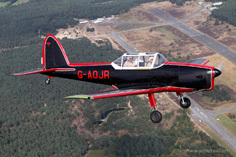 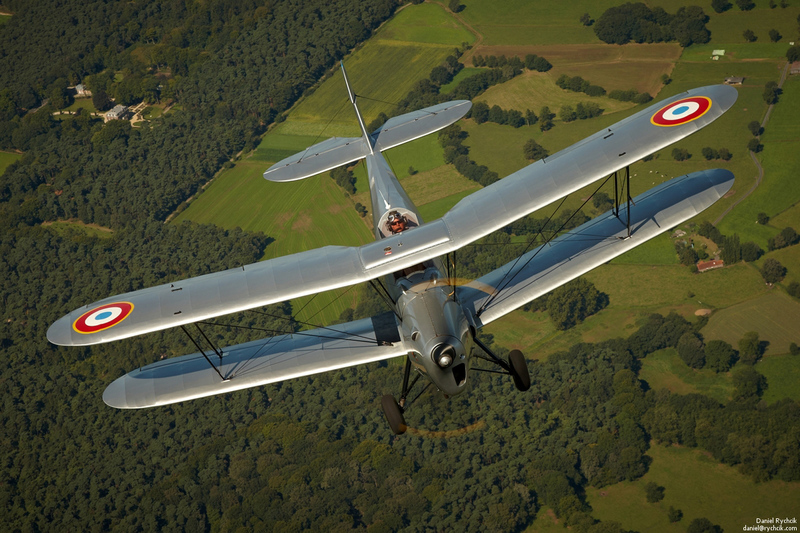 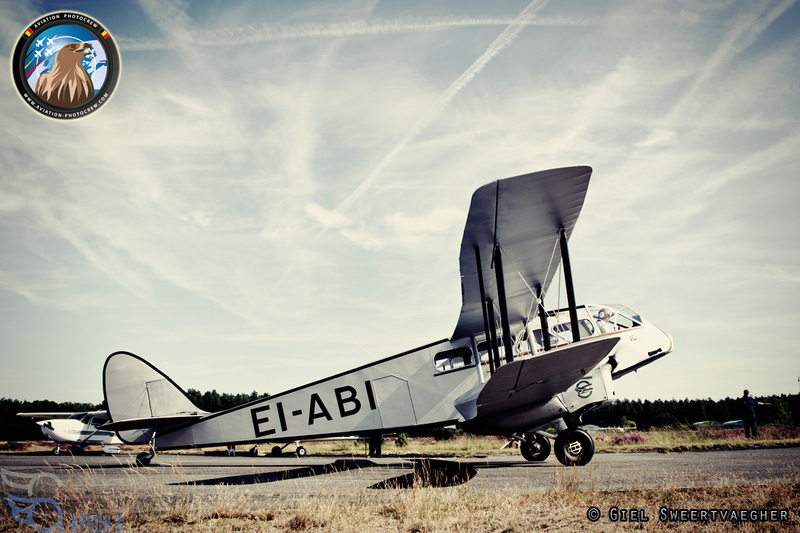 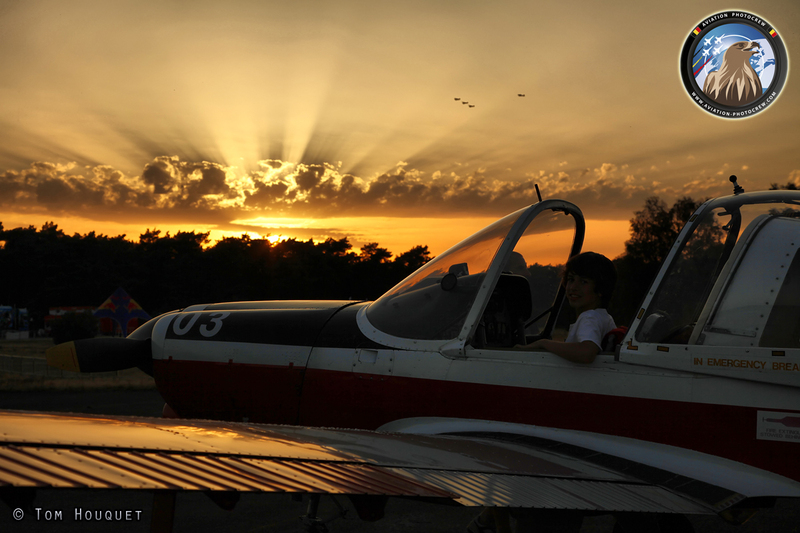 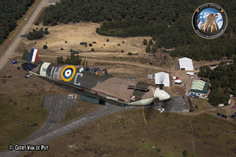 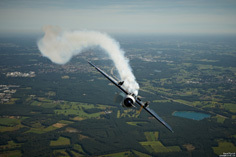 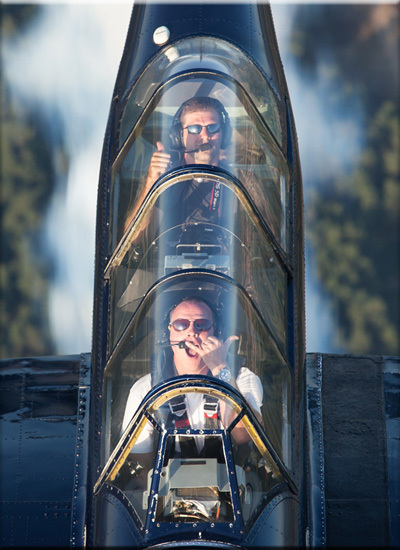 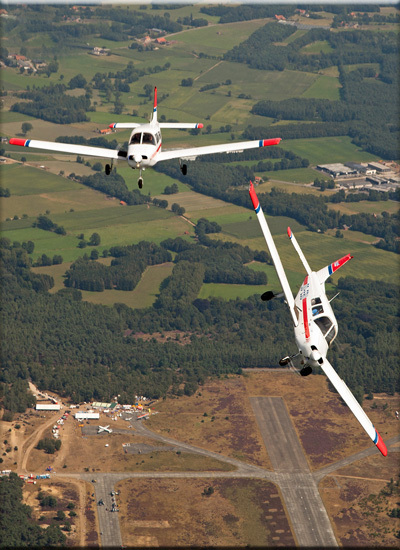 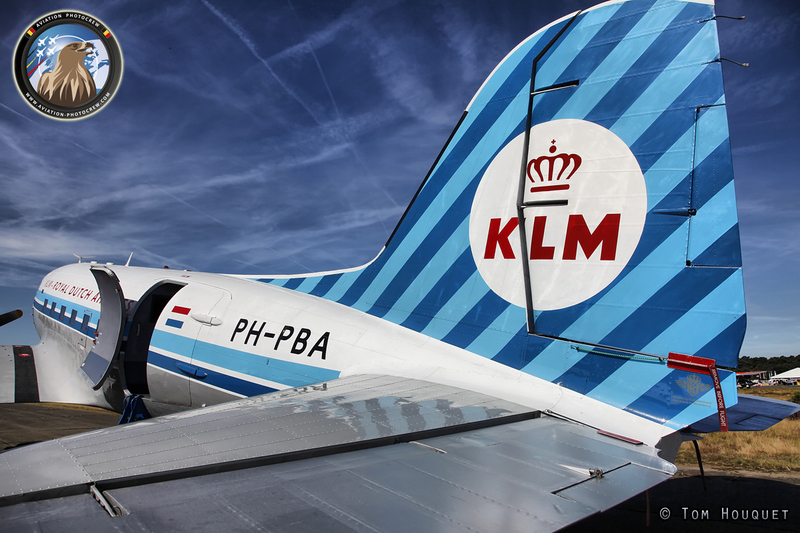 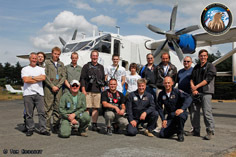 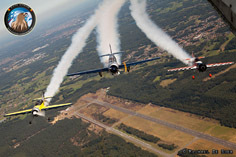 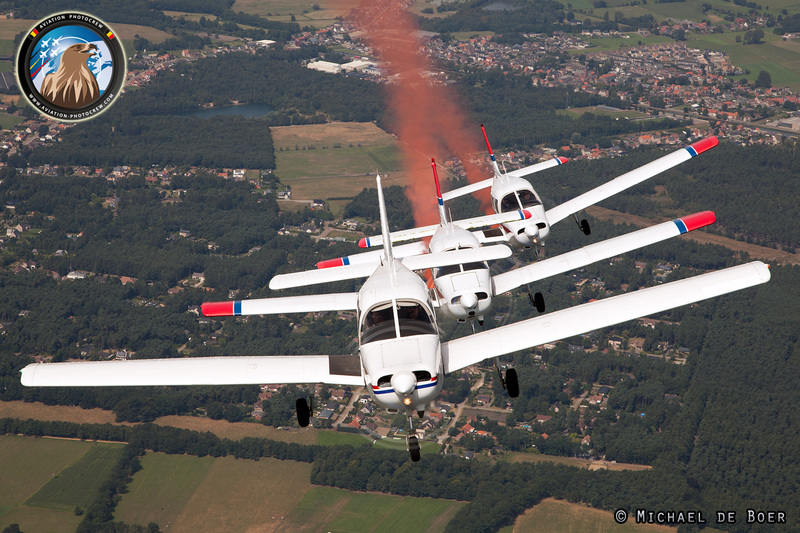 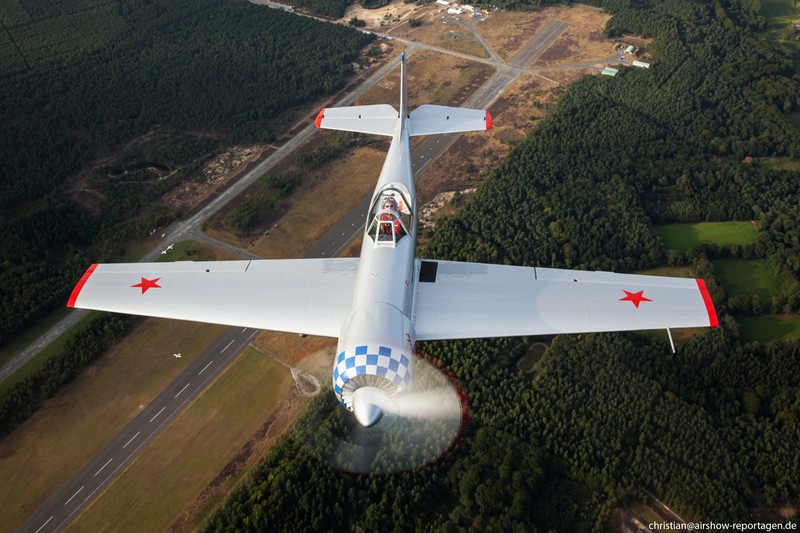 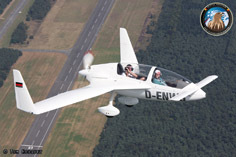 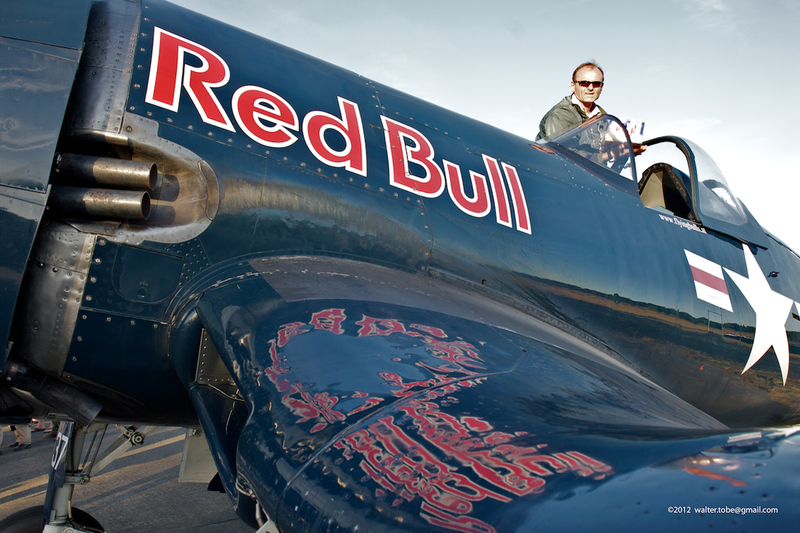 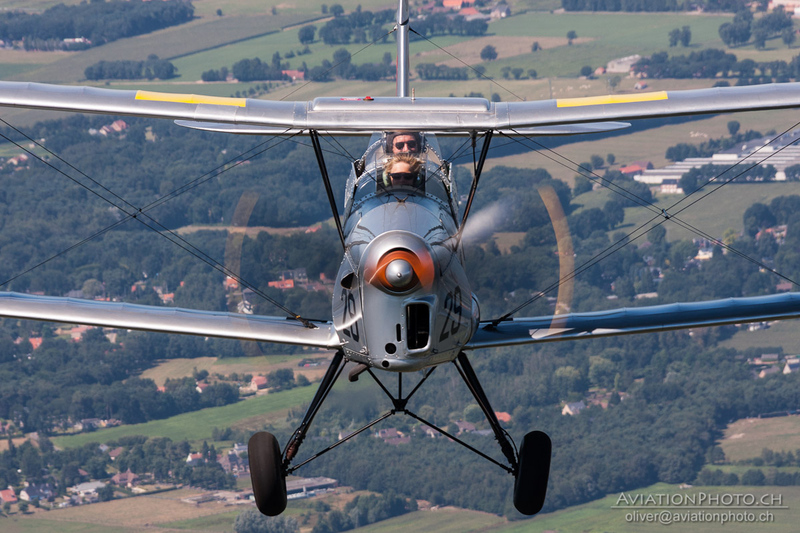 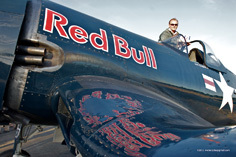 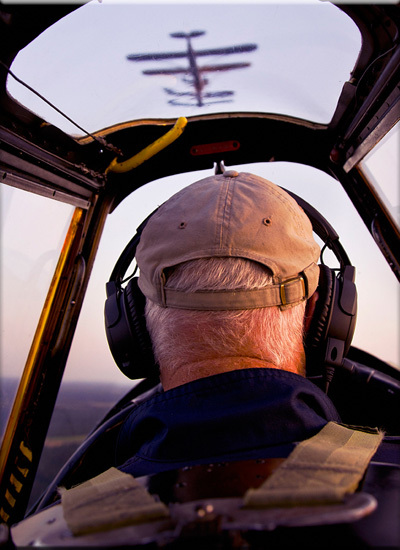 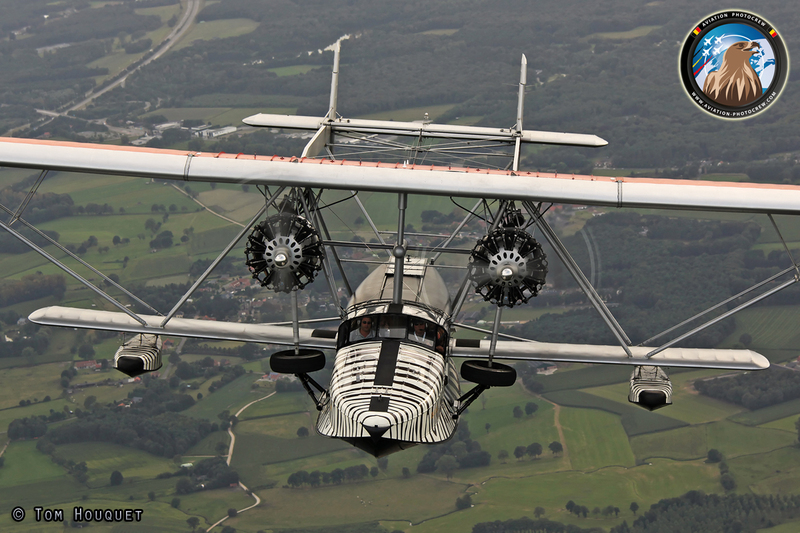 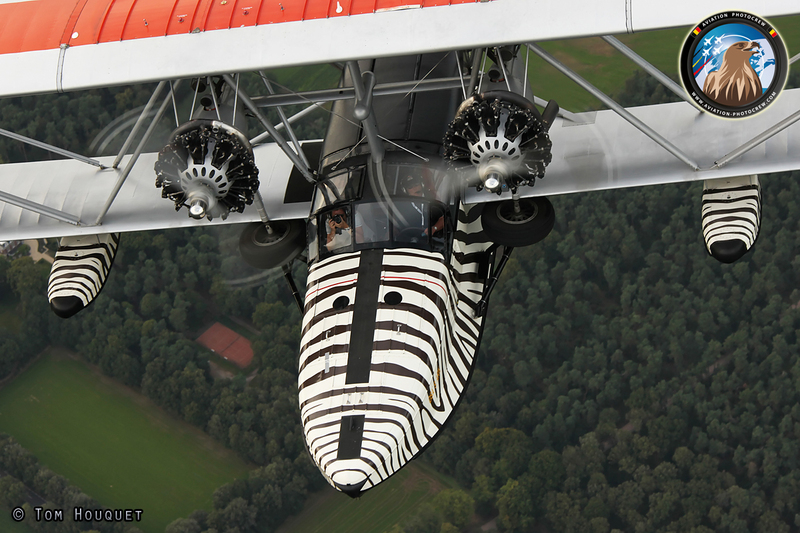 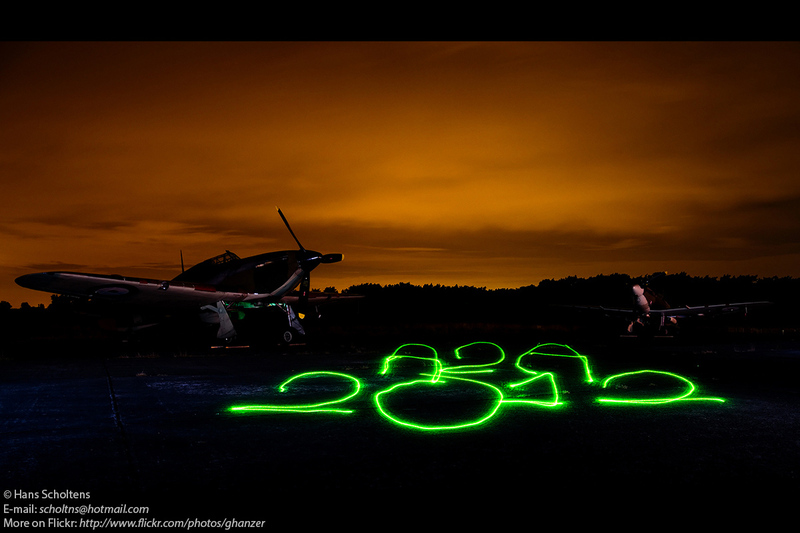 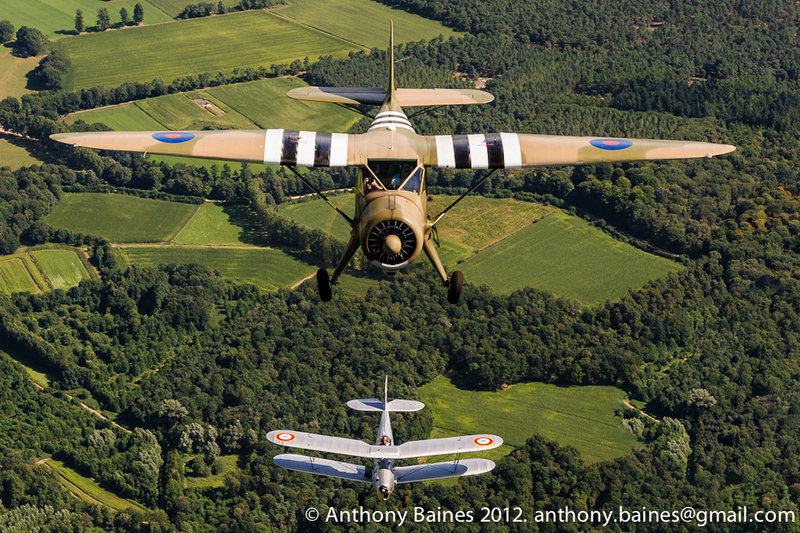 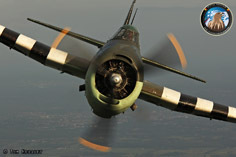 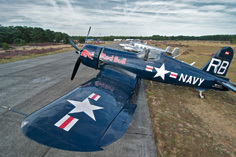 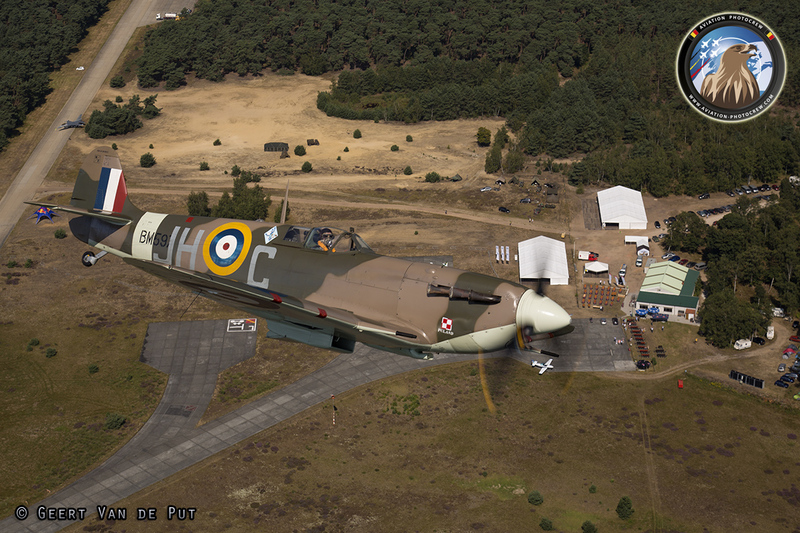 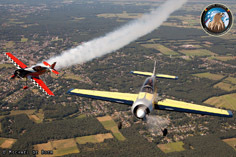 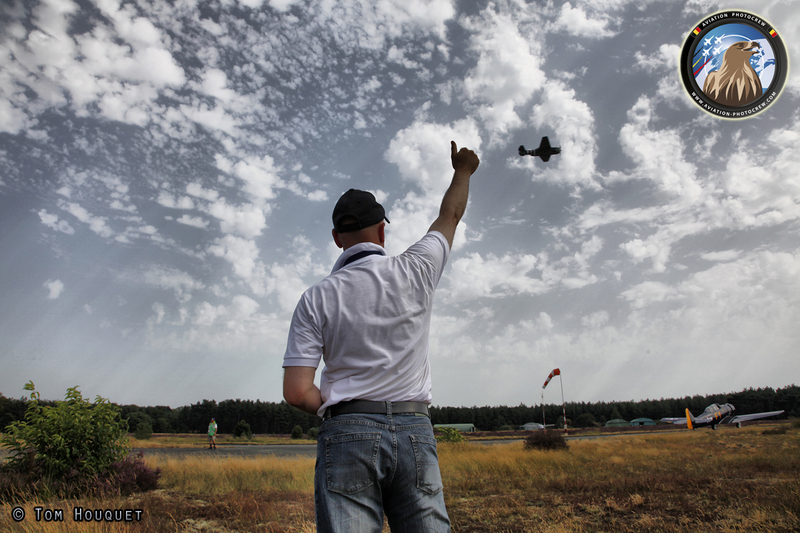 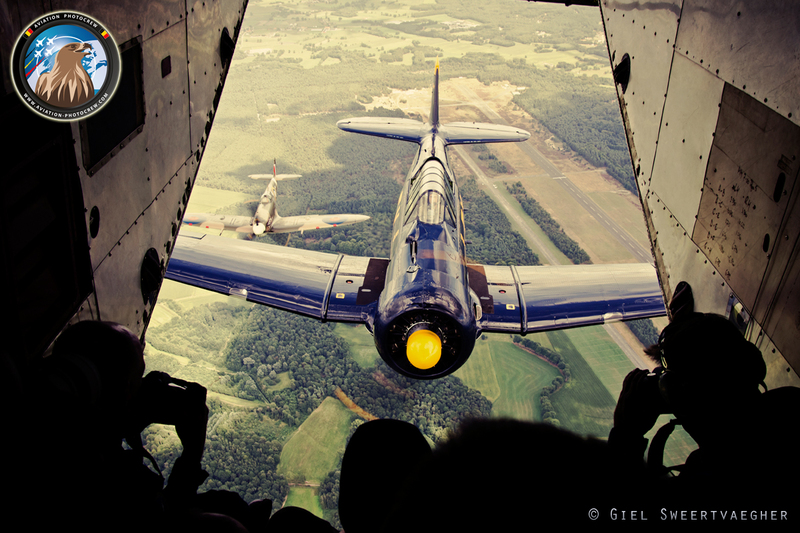 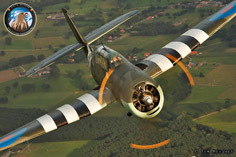 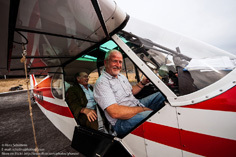 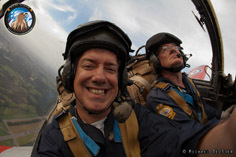 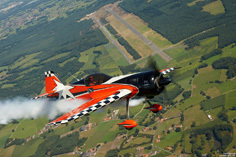 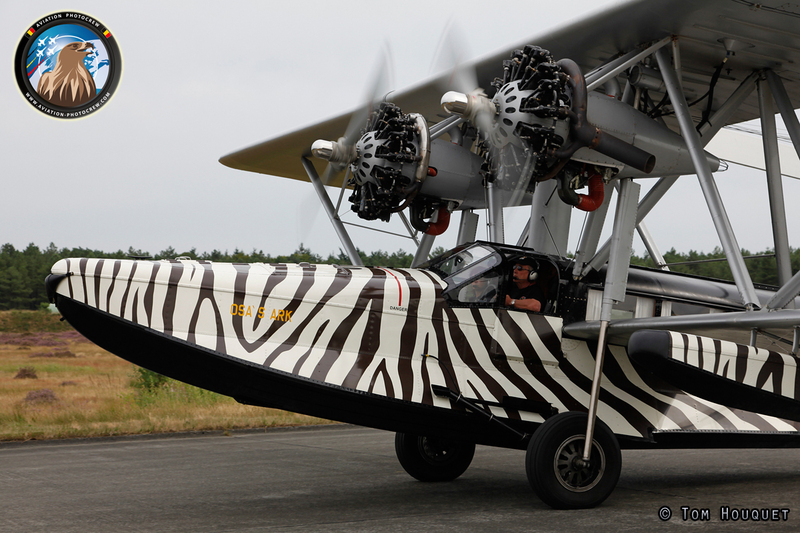 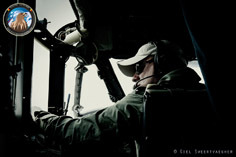 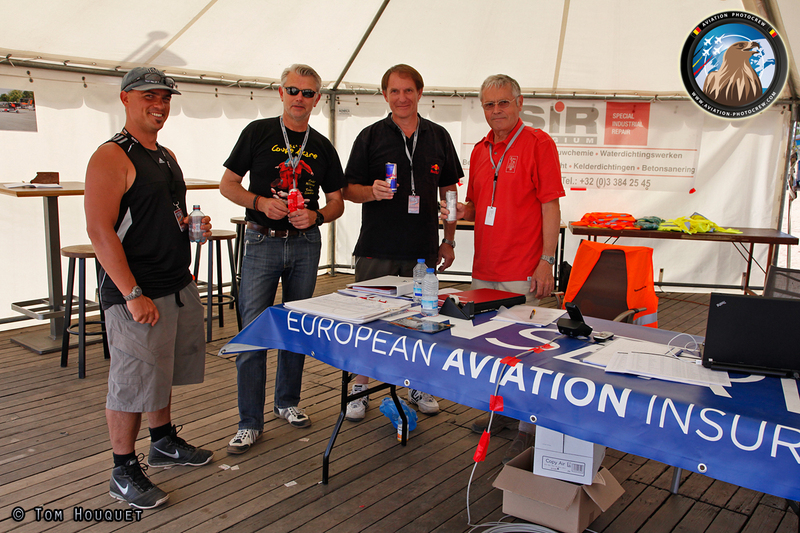 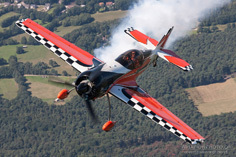 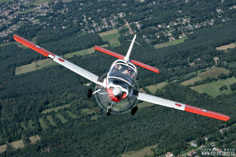 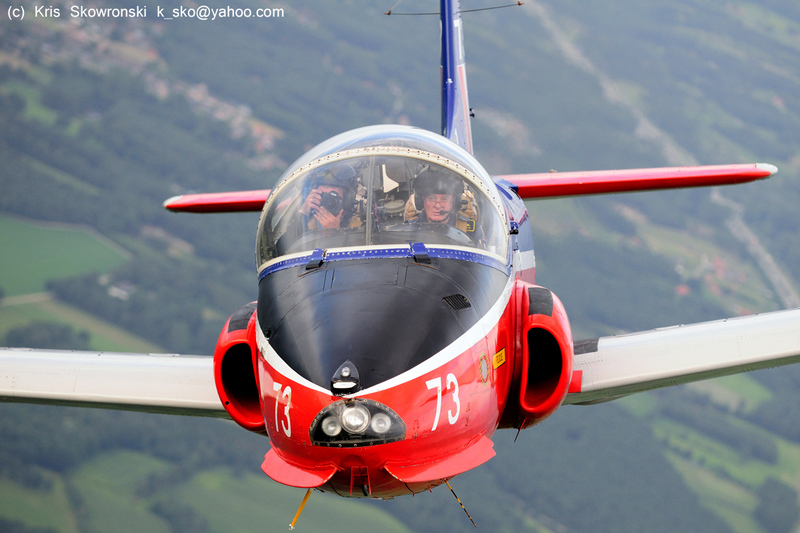 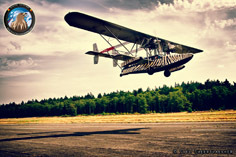 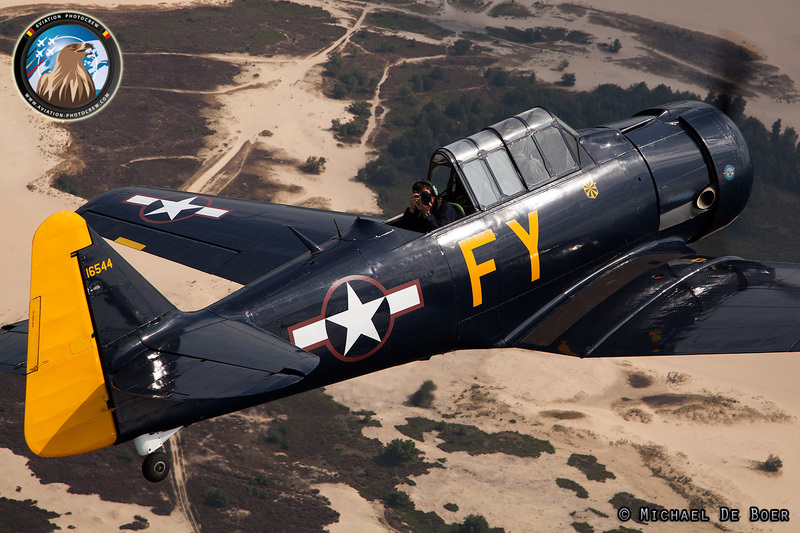 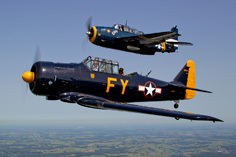 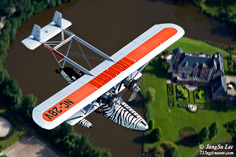 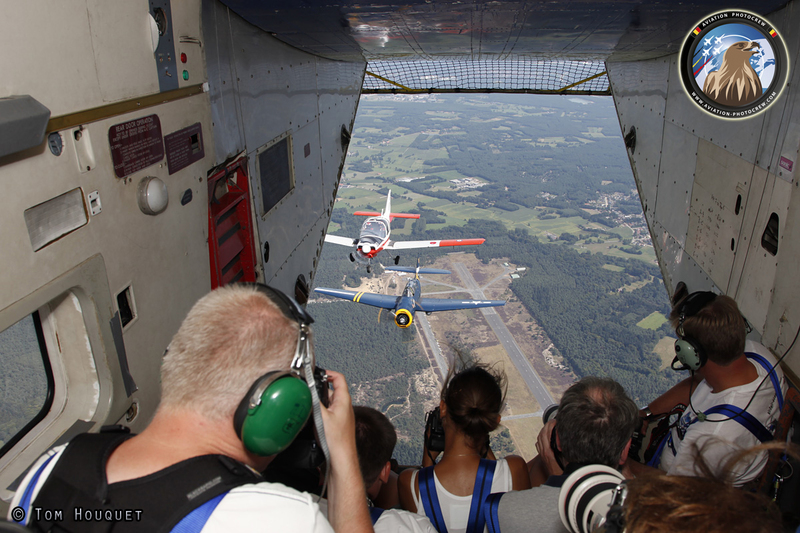 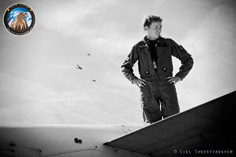 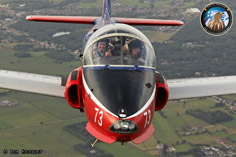 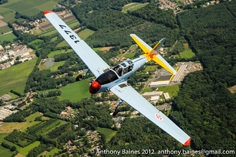 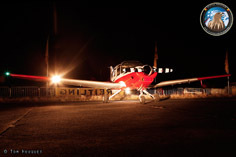 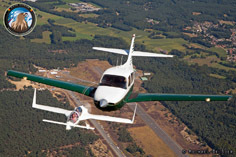 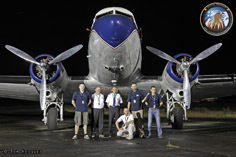 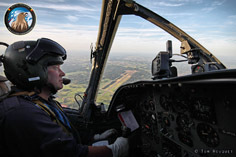 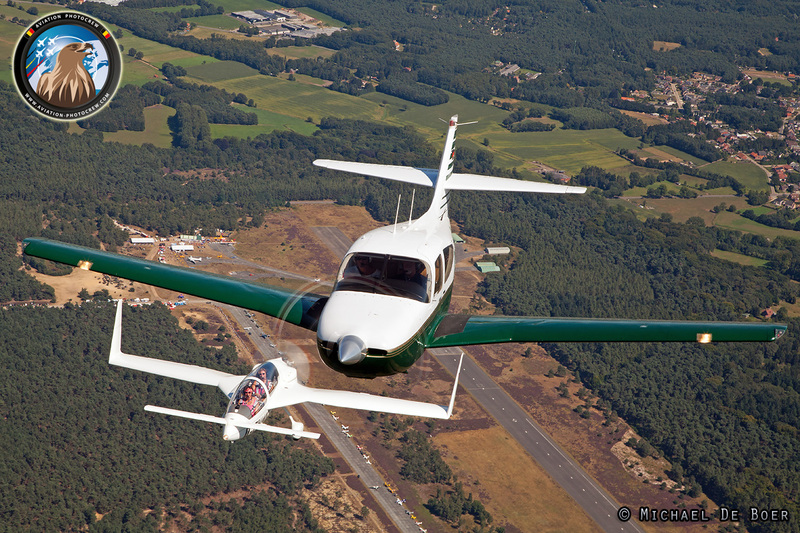 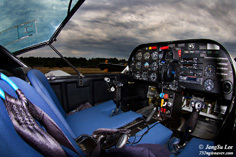 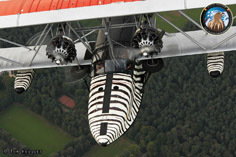 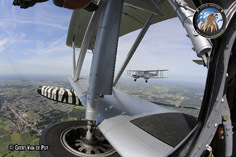 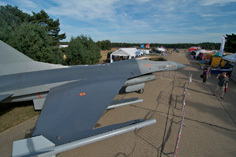 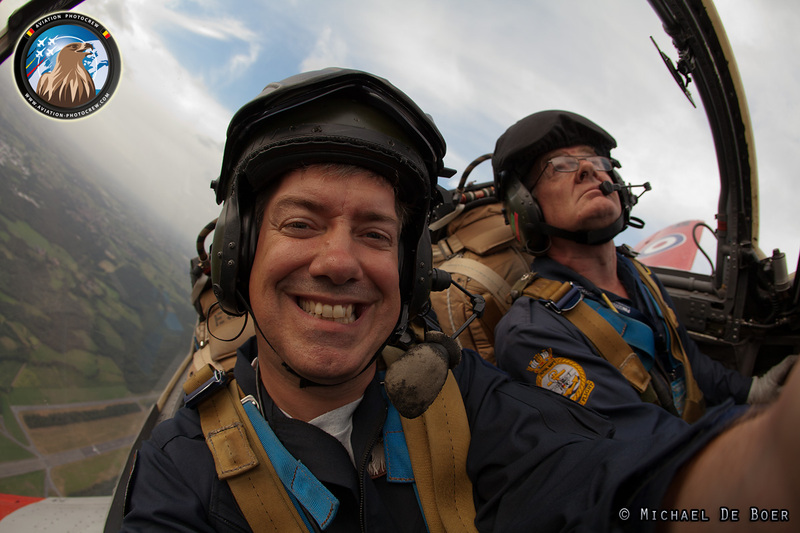 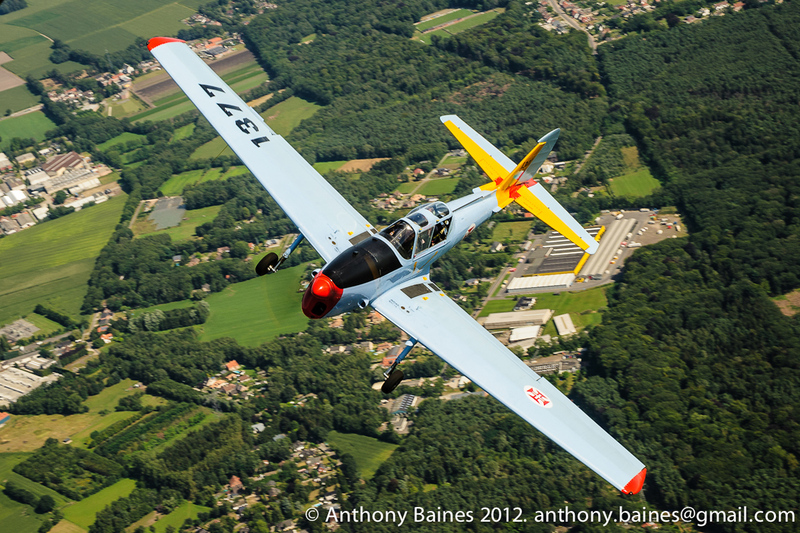 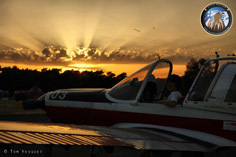 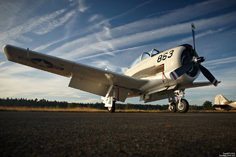 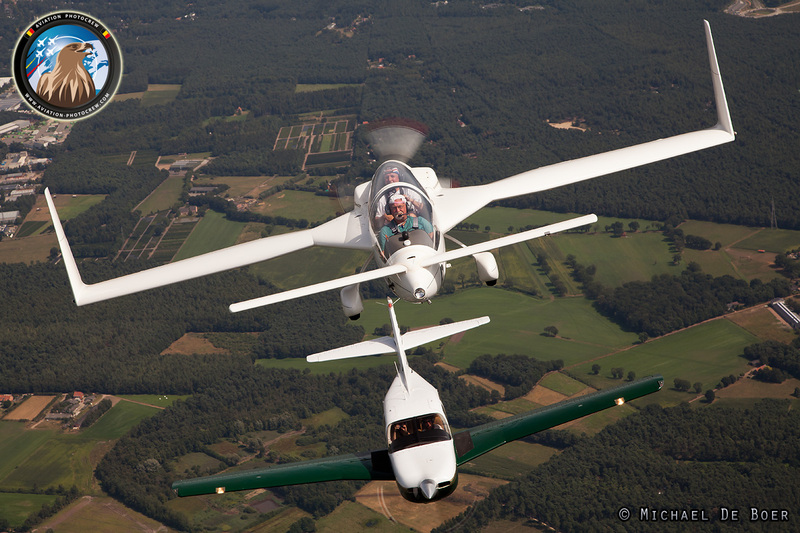 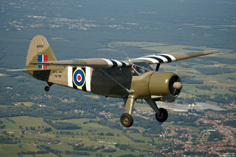 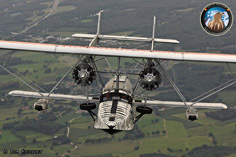 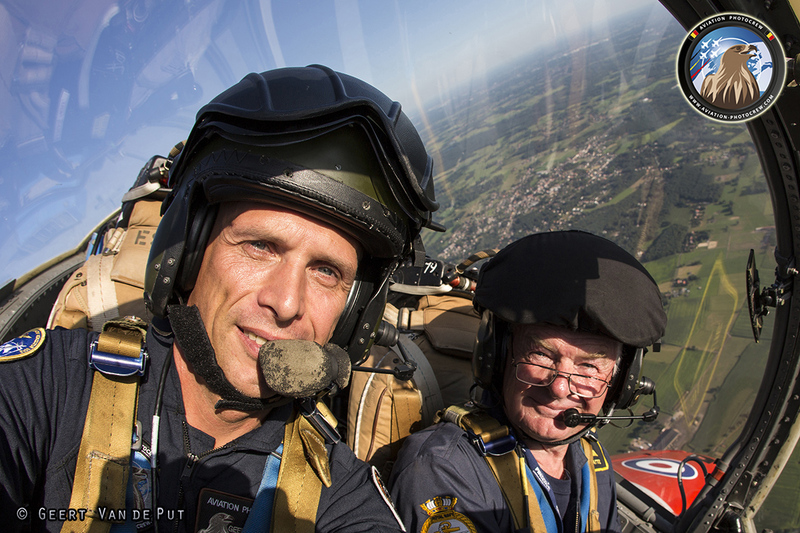 The 2012 edition of the Photoflying Days was destined to be an even bigger success after the two previous events. This year also marked the 10th anniversary of the APCK fly-in which was to be celebrated in style. 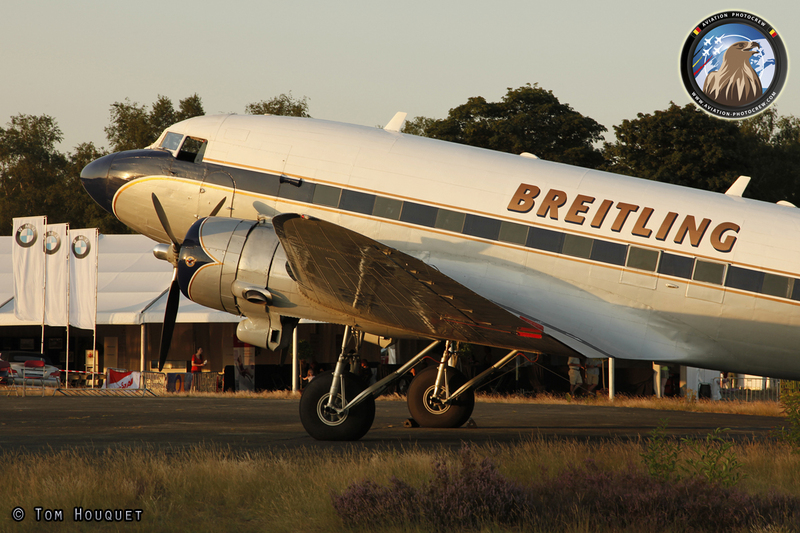 The highlight of this year’s event was to be the visit of the Breitling Super Constellation which would be the first visit to Belgium of this aircraft type in 37 years. 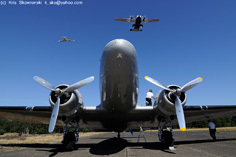 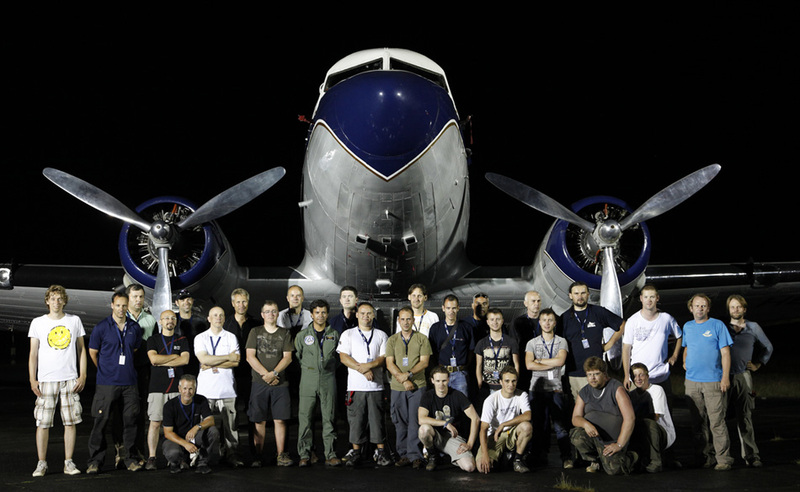 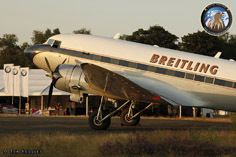 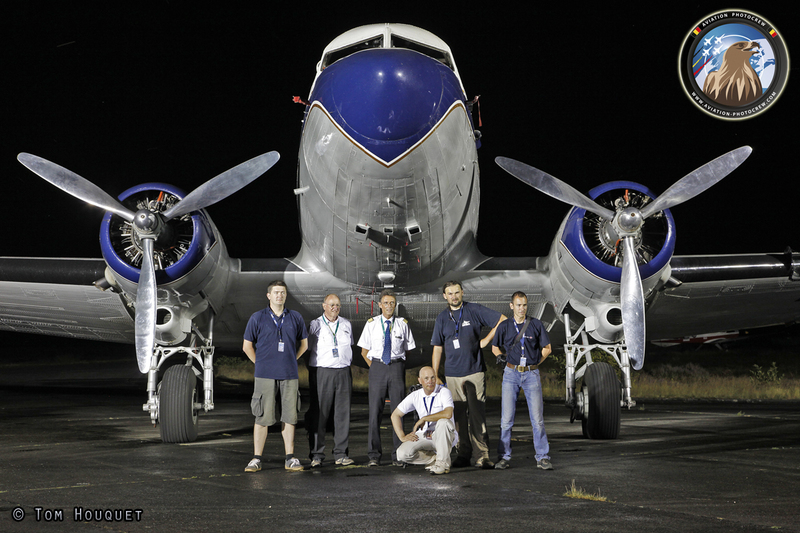 Unfortunately and despite all the great effort the Breitling Super Constellation Flyers Association put in to get their special aircraft to Malle airfield, they unfortunately had to cancel only one week before the event due to engine problems. 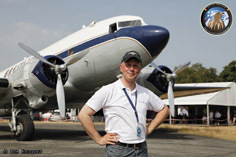 Luckily the organization was able to send their DC-3 Dakota as a credible replacement for the Connie. 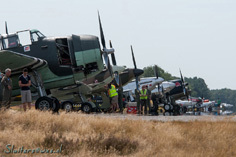 Preparation works were well on the way during the week preceding the event and on Tuesday the first aircraft arrived to take part in the Photoflying Days. 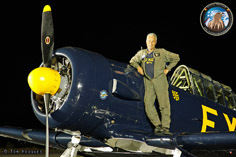 First was Hanno with his T-6 Texan followed by Tom and Sally Shrade in their magnificent flying yacht, the S-38 “Osa’s Ark”. 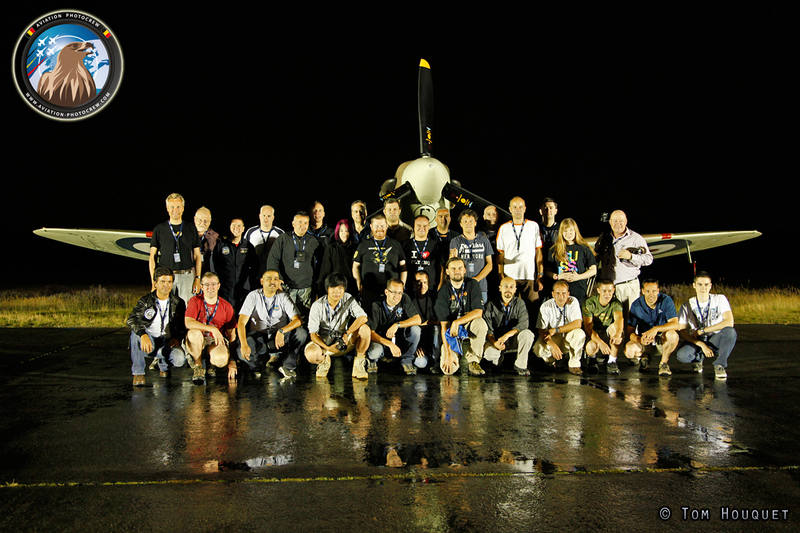 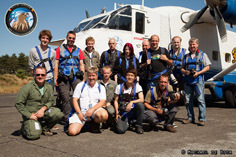 They were welcomed by many of the Air-to-Air Academy photographers who were already at the airfield. 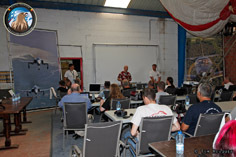 This year’s Academy was again fully booked with no less than 65 photographers coming from all over the world especially for this event. 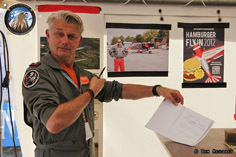 On Wednesday all the academy photographers were welcomed by Eric Coeckelberghs who opened the 2012 edition. 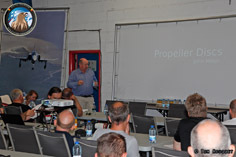 The word was quickly passed over to Daniel Rychcik who coordinated the theoretical courses which were given on Wednesday and Thursday morning. 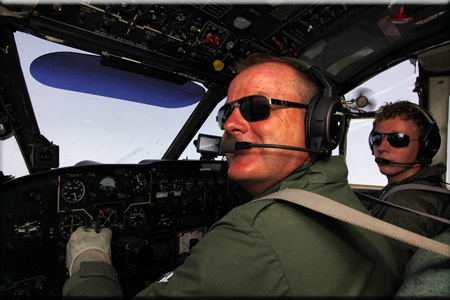 Daniel started with an introduction course on Air-to-Air photography providing handy tips & tricks to the photographers what they have to except. 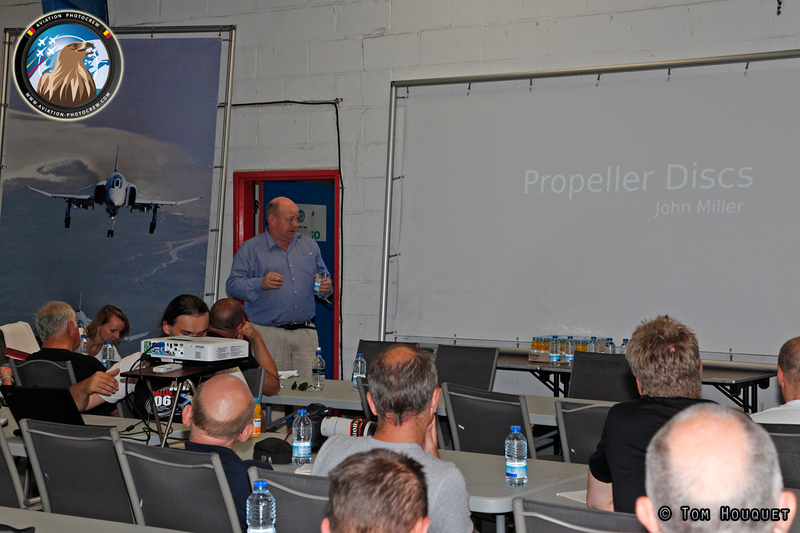 Daniel was followed by the well known South-African photographer John Miller who gave a very interesting lecture about full propeller photography. 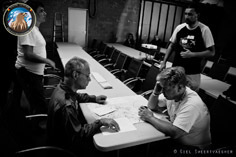 Looking at the photo results of the photographers we can conclude this was a very inspiring lecture as a lot of full-prop photos were made during the event. 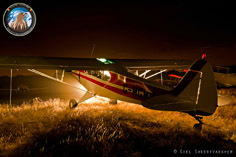 Daniel then took the stage again with a lecture about dusk/night photography which was also destined for great success during the evening photoshoots. 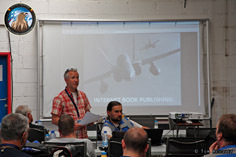 Steve Comber followed with an interesting lecture about publishing books andhow to bring together the best photographs into a nice book, which can also be used as a port-folio for future photoshoots. The Wednesday theoretical lectures were concluded with the very important safety lecture by Tom and Giel of the Aviation PhotoCrew. 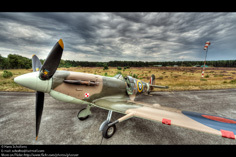 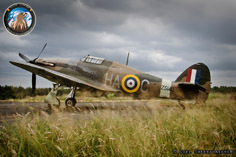 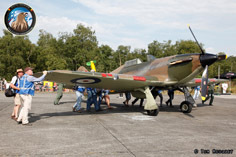 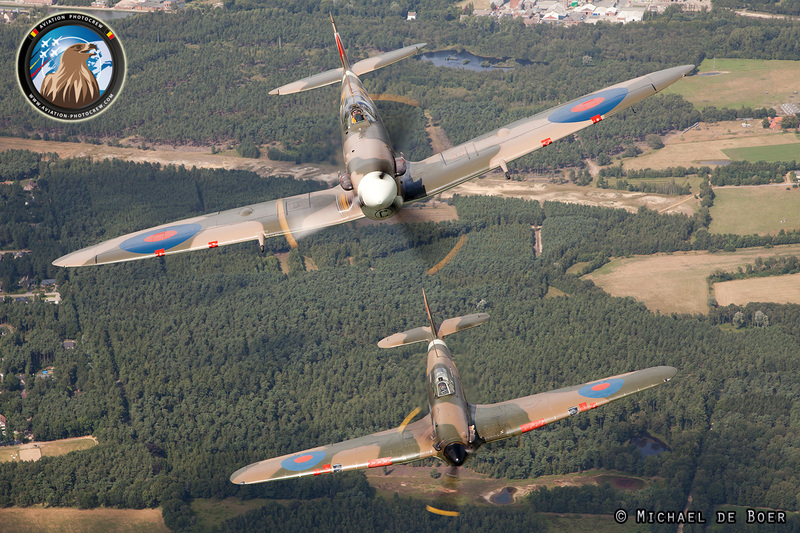 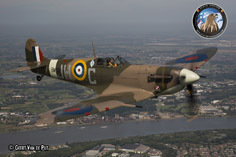 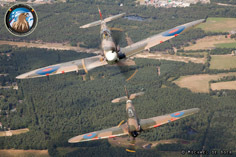 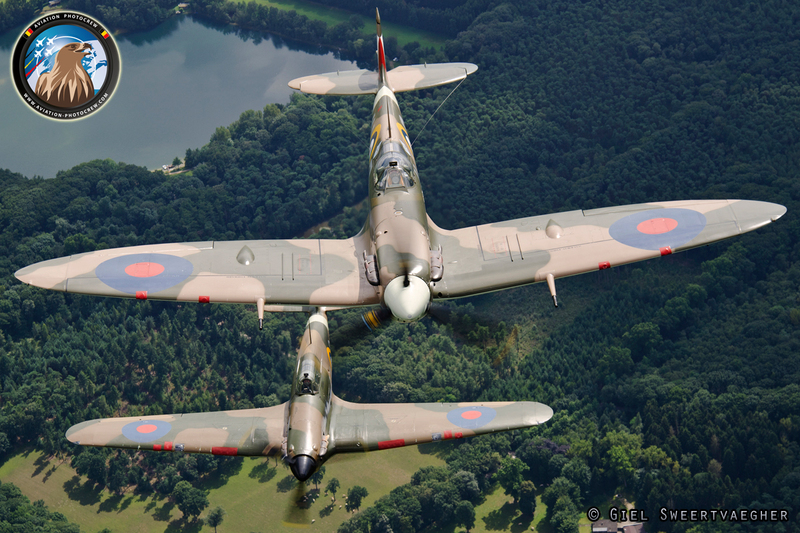 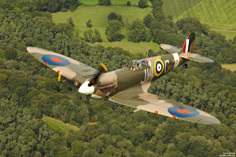 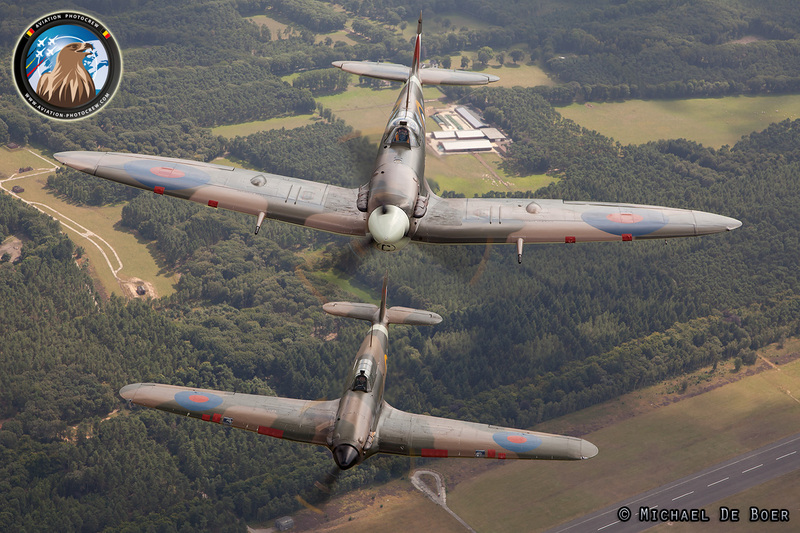 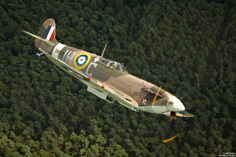 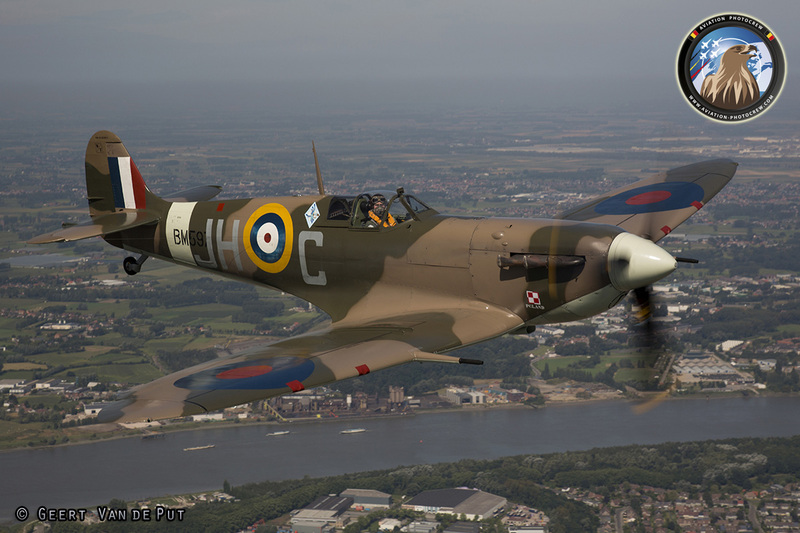 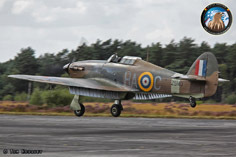 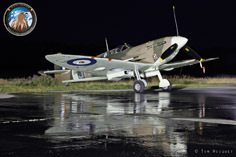 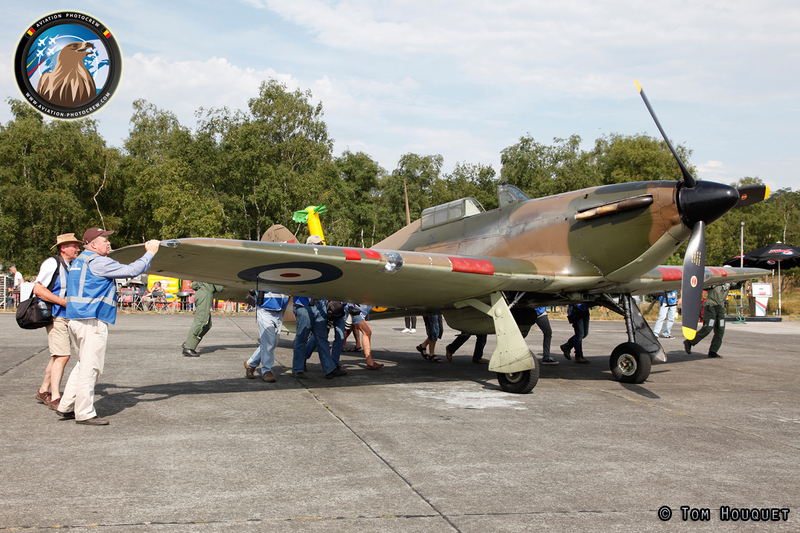 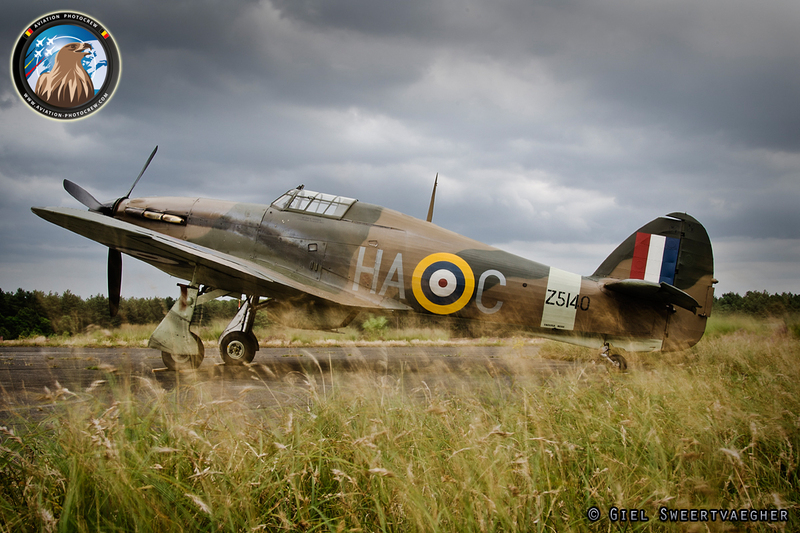 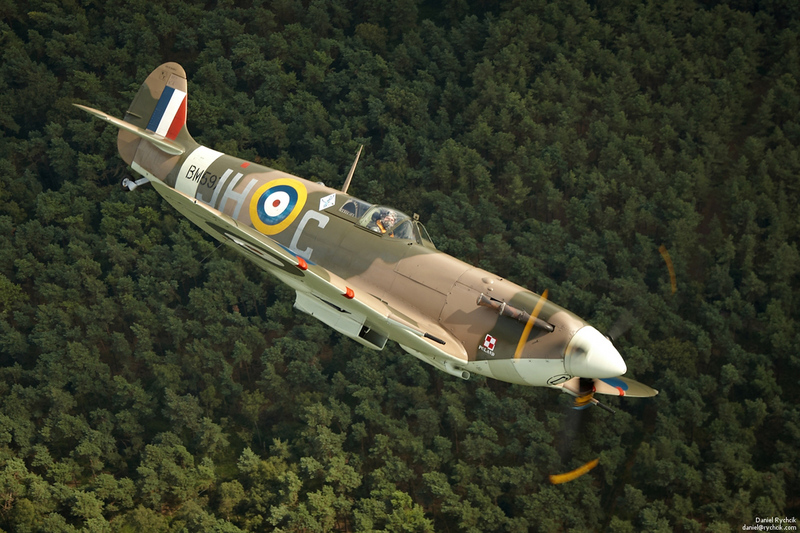 On Wednesday the first stars of the show arrived, the legendary Hurricane and Spitfire. 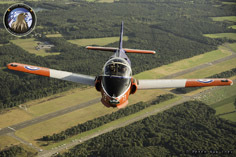 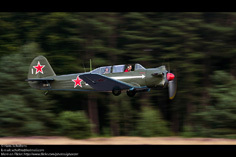 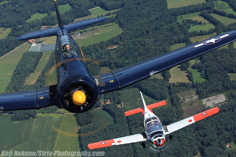 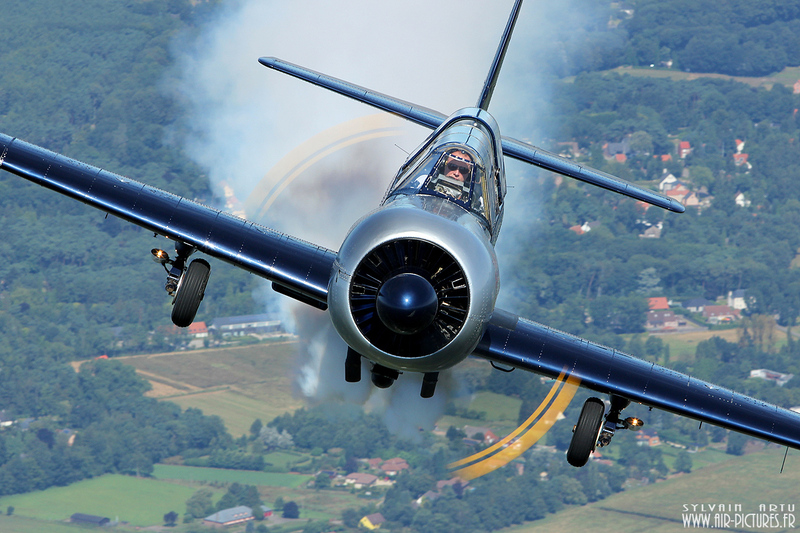 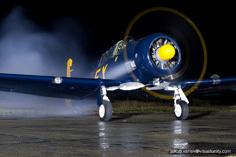 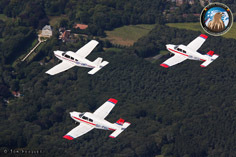 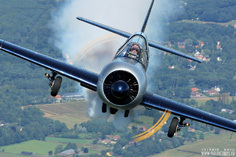 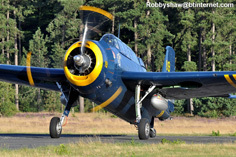 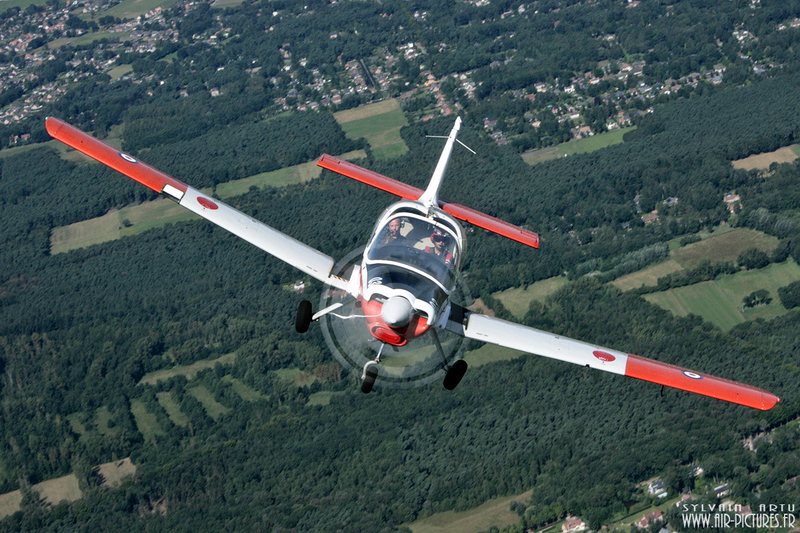 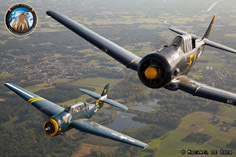 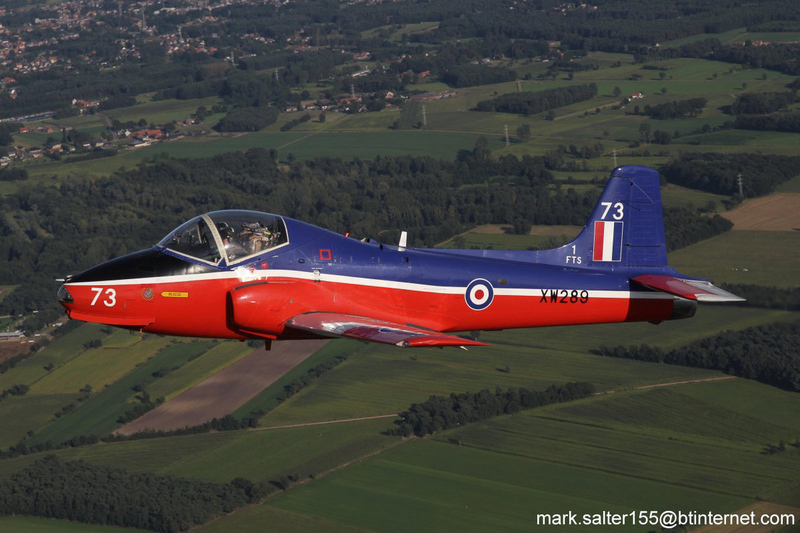 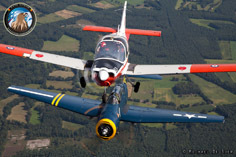 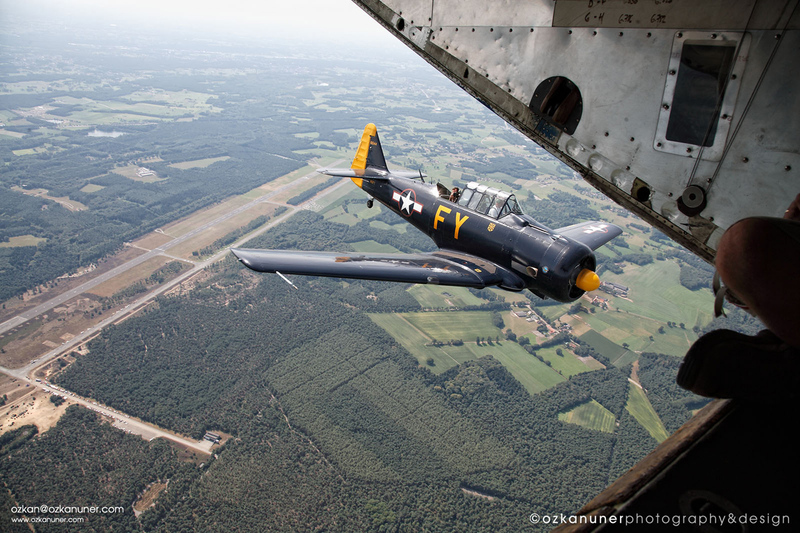 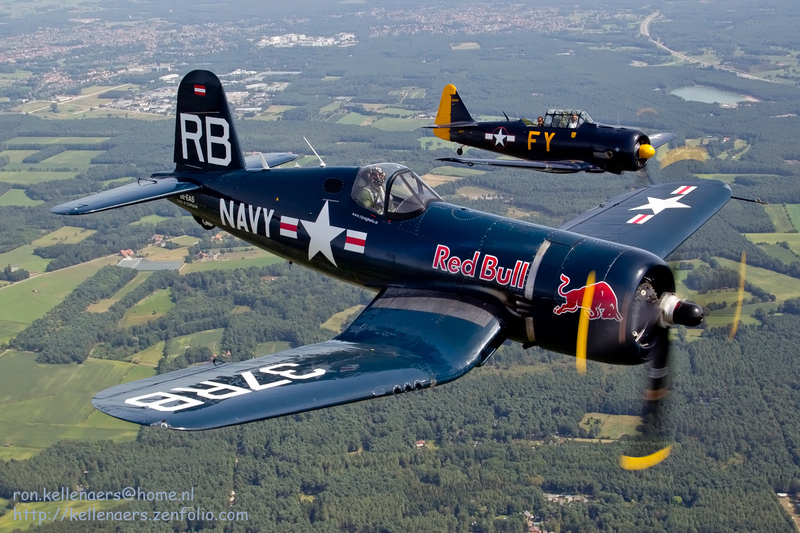 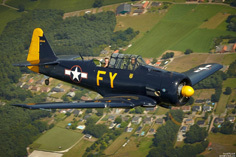 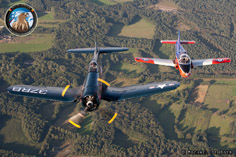 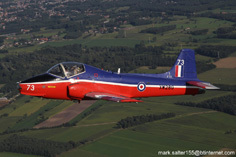 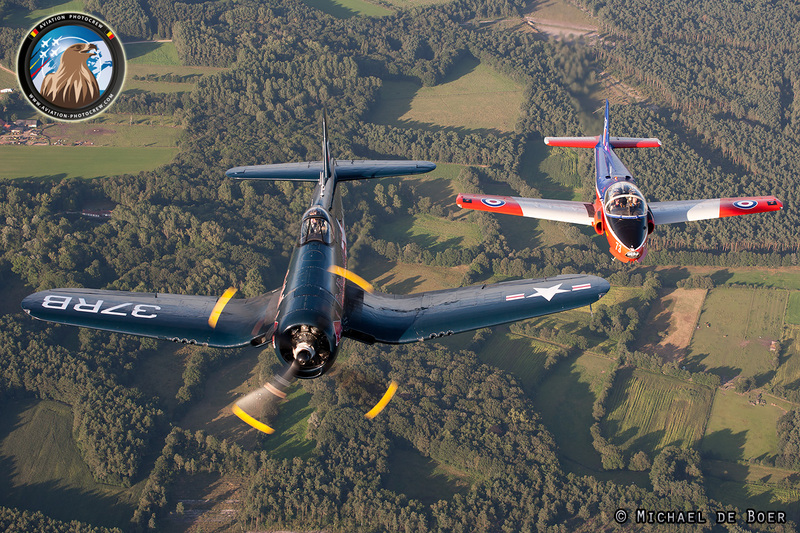 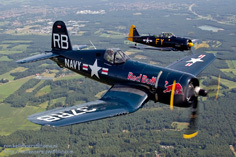 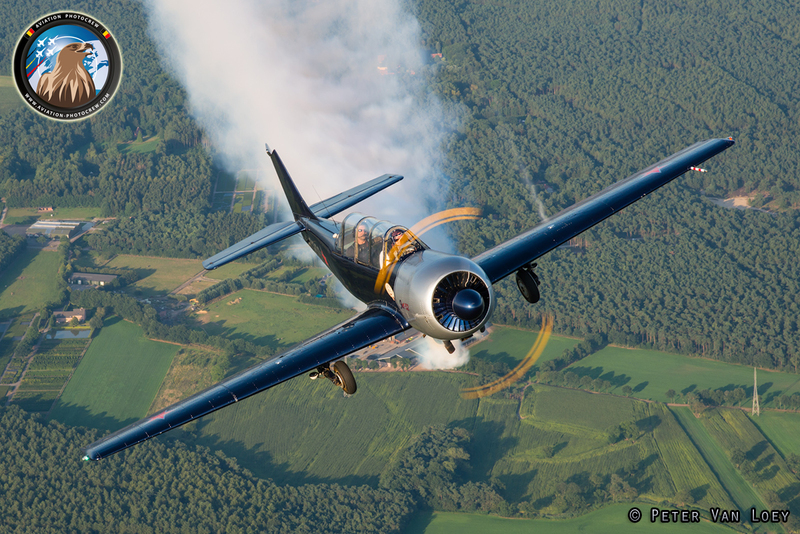 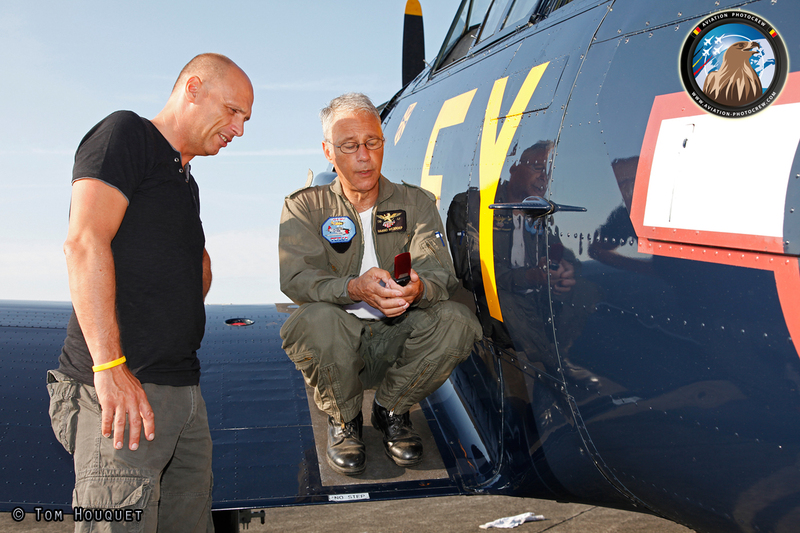 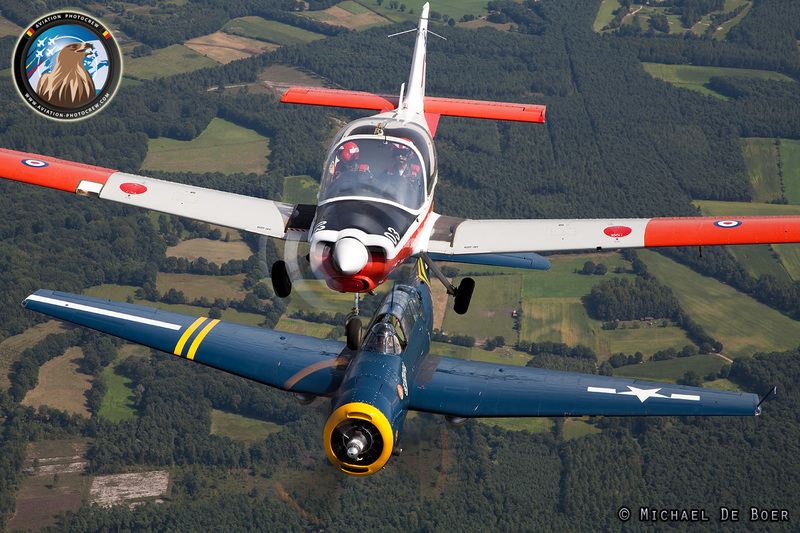 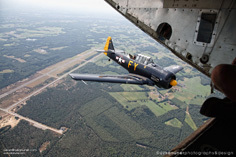 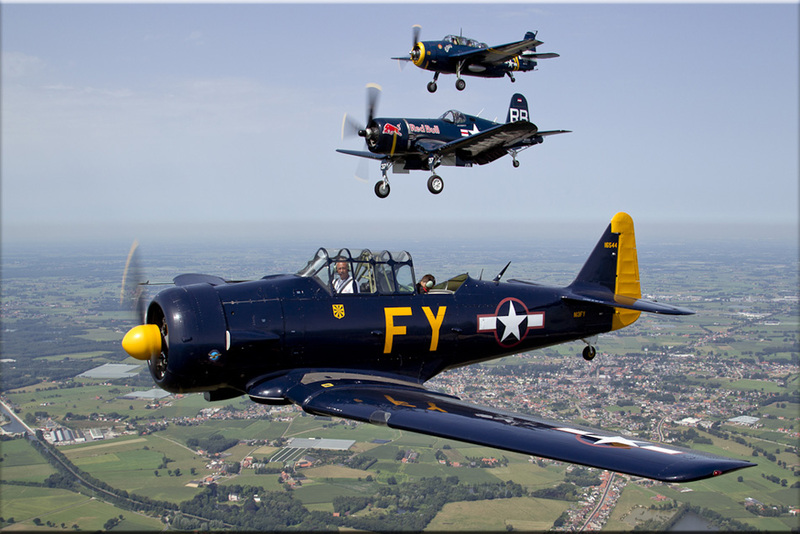 It was also the time to perform the first photoshoots and so both aircraft were escorted in on their way to Malle airfield by the T-6 which acted as photoship. 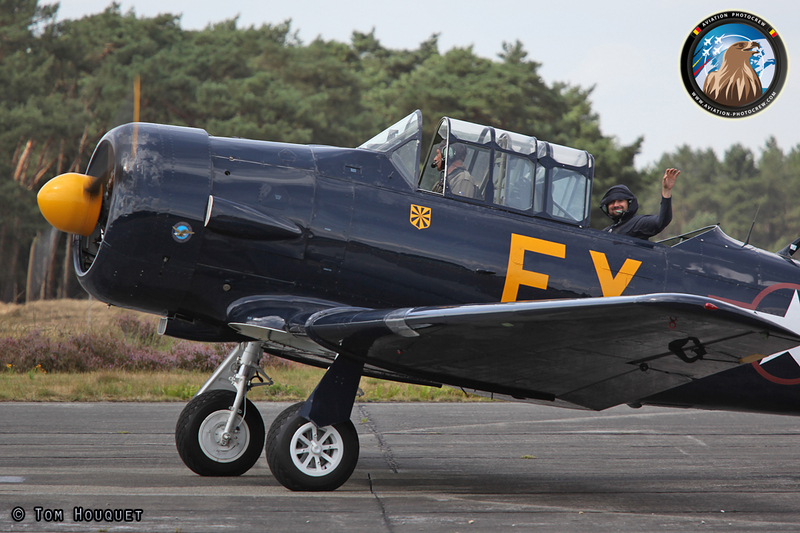 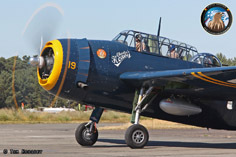 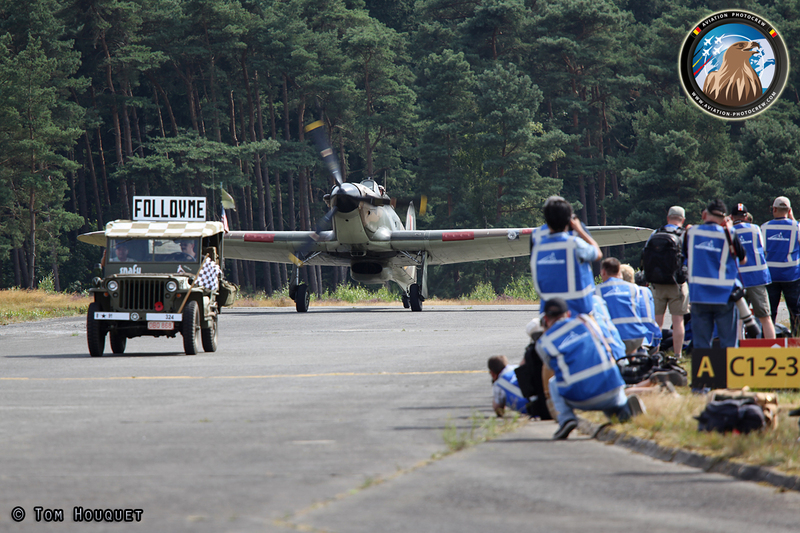 After the arrival, both Warbirds were guided by an authentic Follow-me, nicely restored by the spearhead re-enactors. 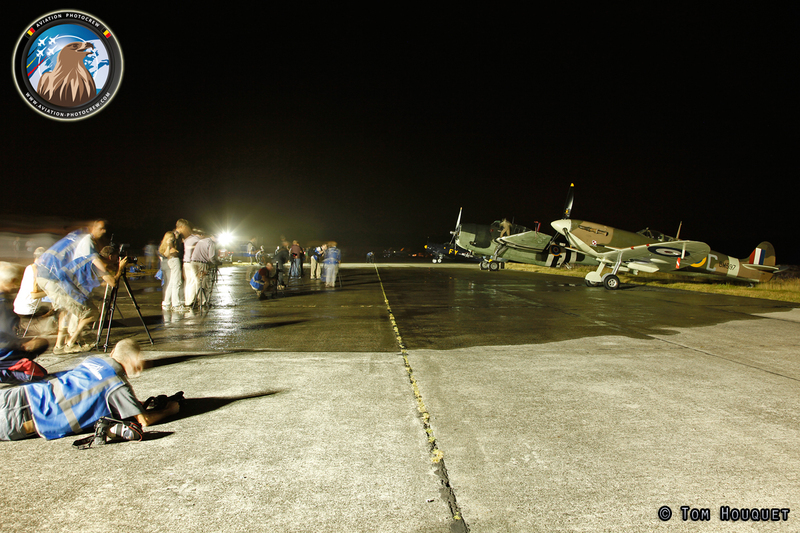 The academy photographers were positioned along the taxiway to photograph the arriving aircraft from the first row. 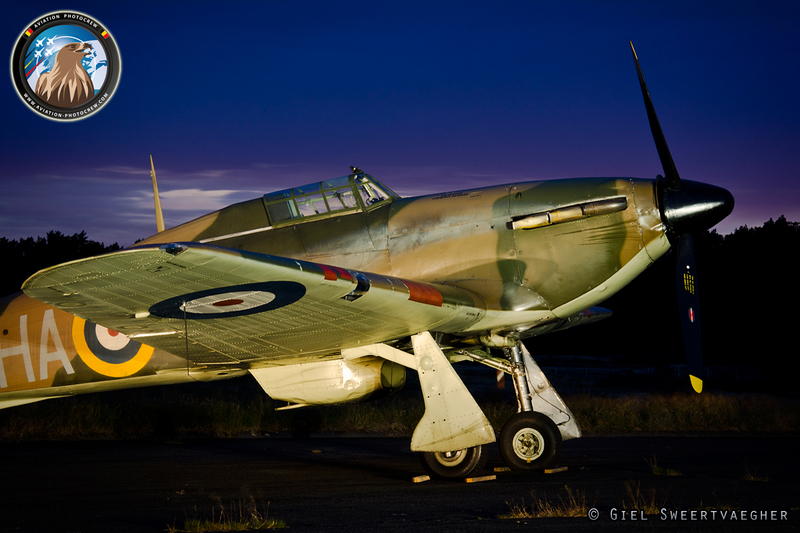 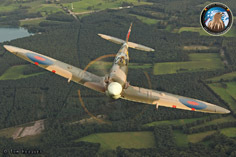 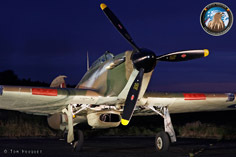 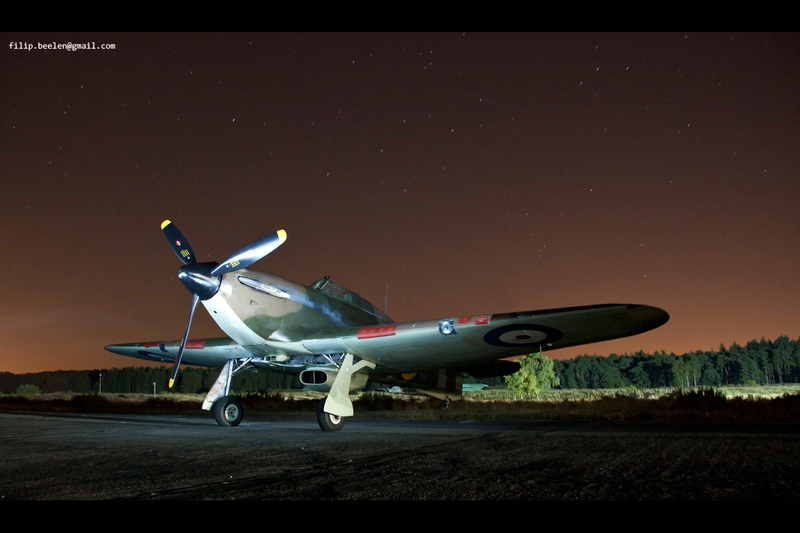 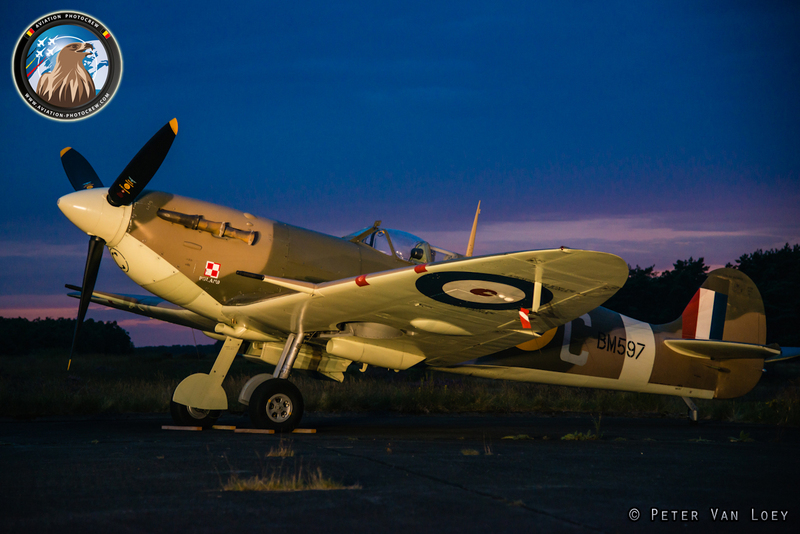 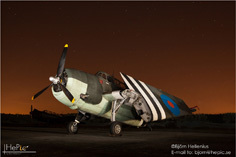 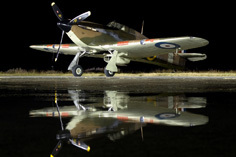 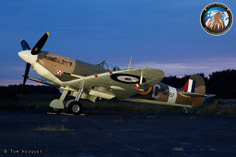 At the time the sun was setting behind the horizon, the first nightshoots were performed with the Spitfire and Hurricane as subjects for the photographers. 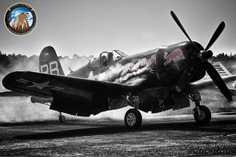 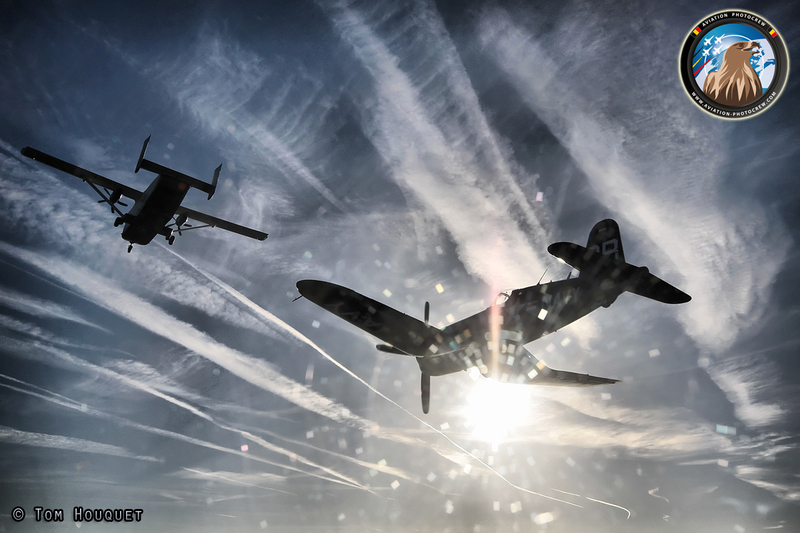 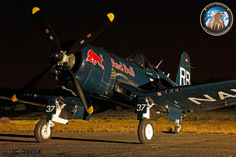 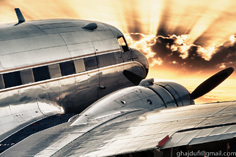 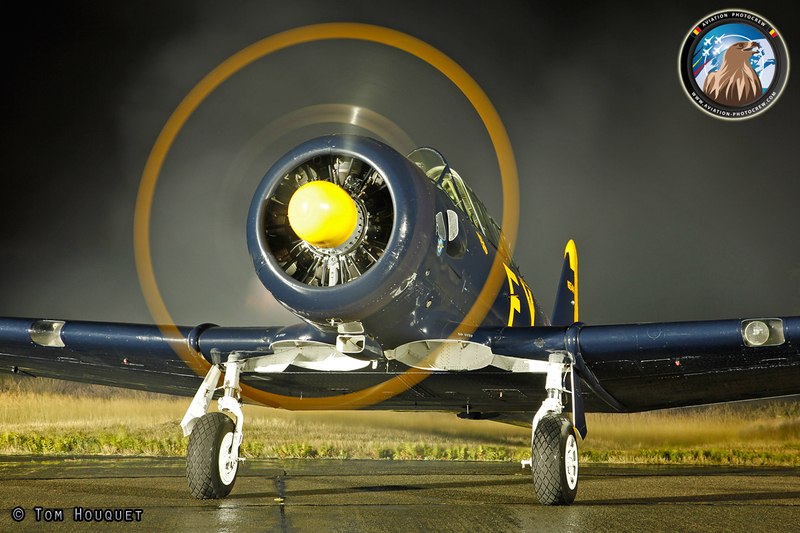 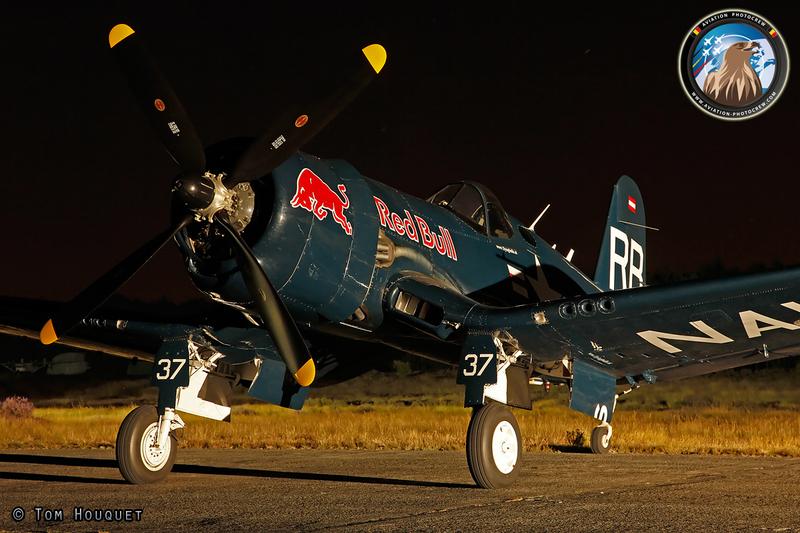 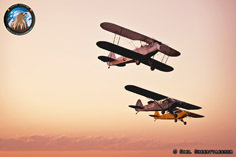 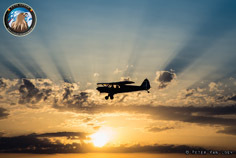 The great sunset resulted in stunning images of both legendary aircraft, and the line was set for the following days nightshoots. 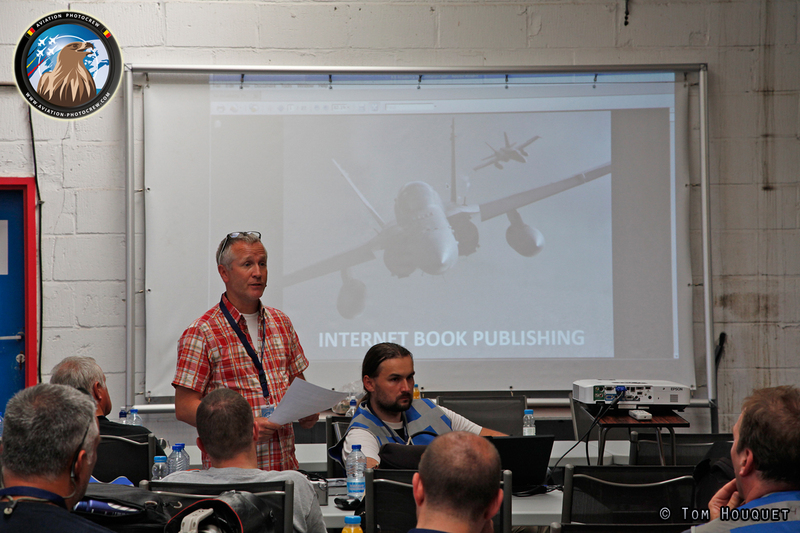 Thursday morning was lecture time again, and so the academy photographers were treated with some very interesting lectures. The Italian photographer Riccardo Braccini who is specialized in Helicopter photography talked about his experiences in photographing Helicopters and flying in them. 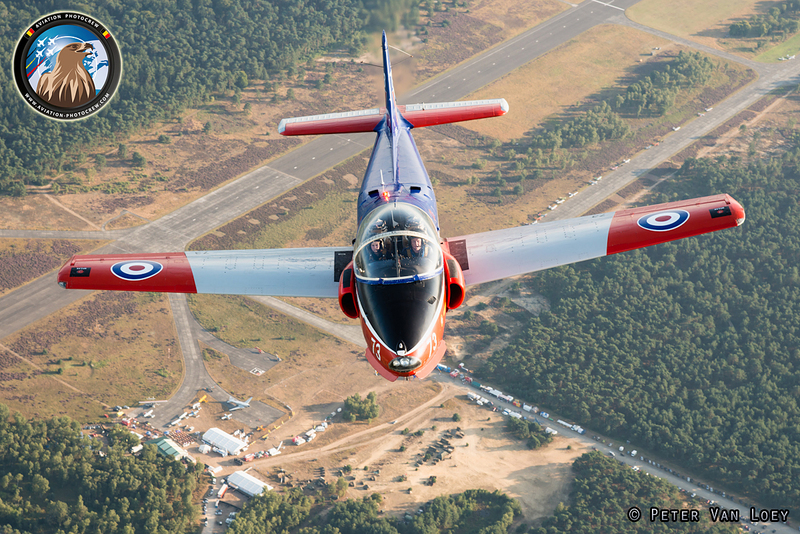 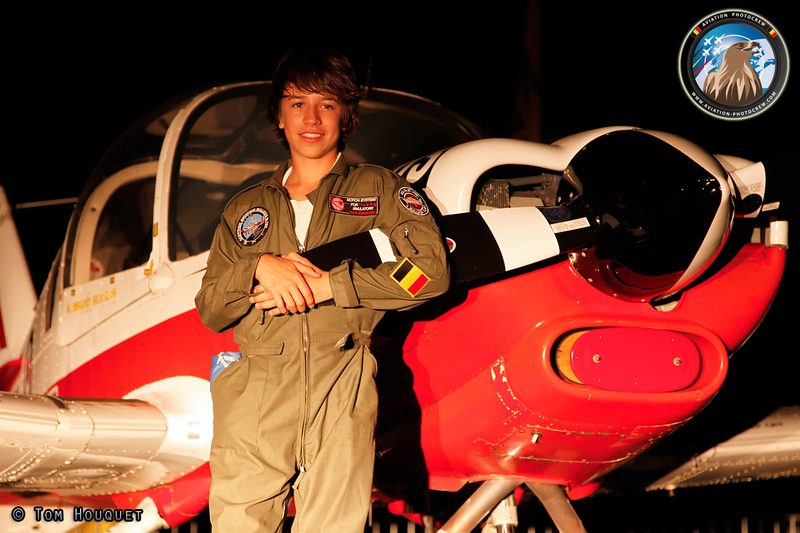 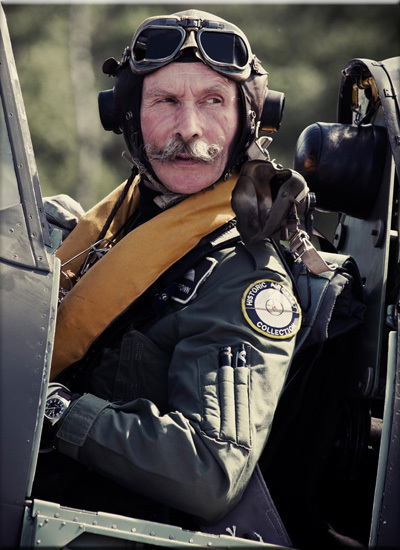 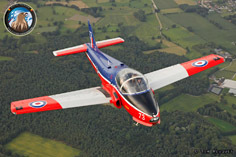 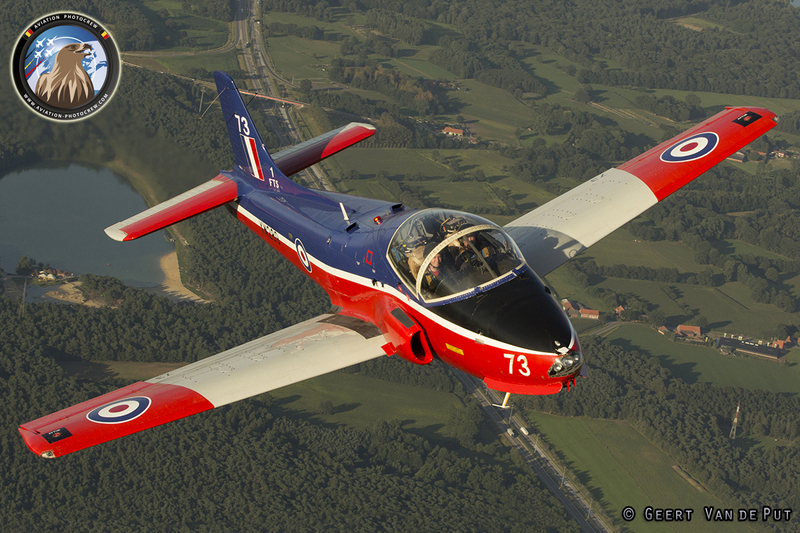 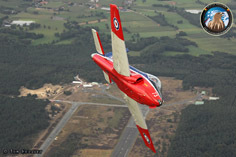 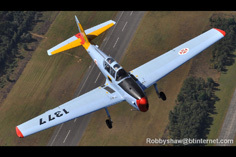 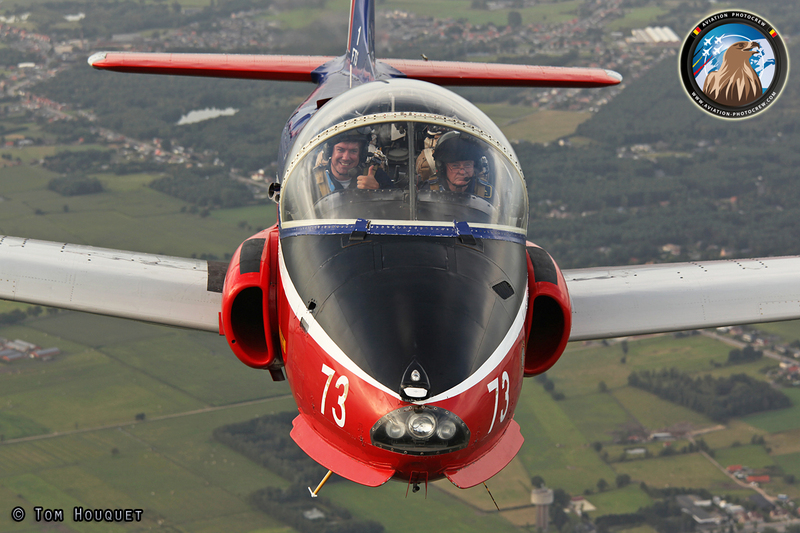 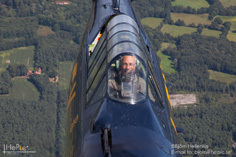 As a result of the great popularity of last year’s lectures by Guy Putman, he was so kind to come again this year and showed us how it was to take air-to-air photographs in the early years of jet flying with the well known Belgian Red Devils aerobatic team. 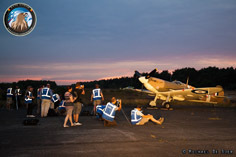 This was followed by John Miller who gave another interesting lecture about organizing photoflights and how to have a good briefing. 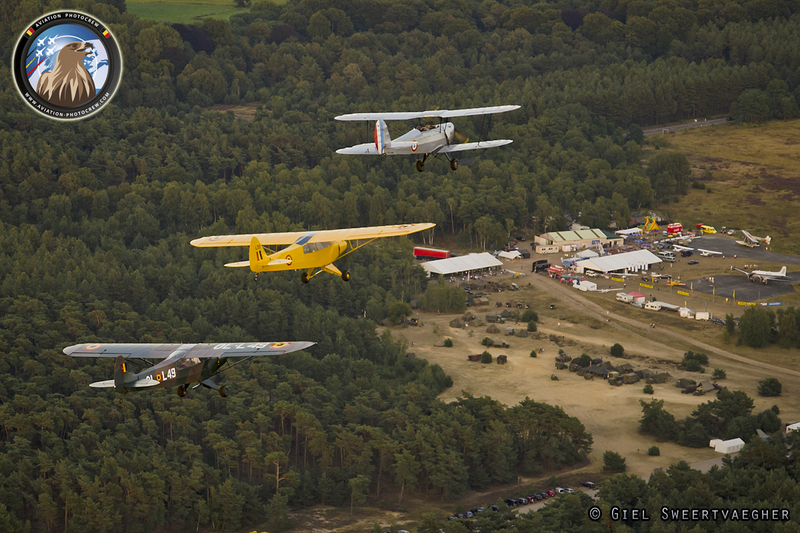 After lunch in the large dinner tent it was time for the first Skyvan photoflight which would bring the two UK Warbirds together in a very unique formation flight of Spitfire and Hurricane. Throughout the day more aircraft started to arrive and the airfield was slowly filling up with a unique collection of oldtimer aircraft. 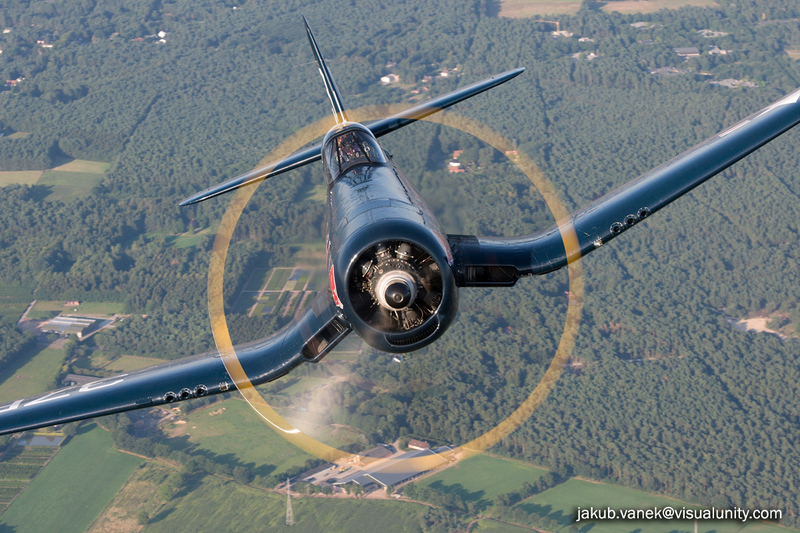 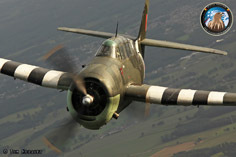 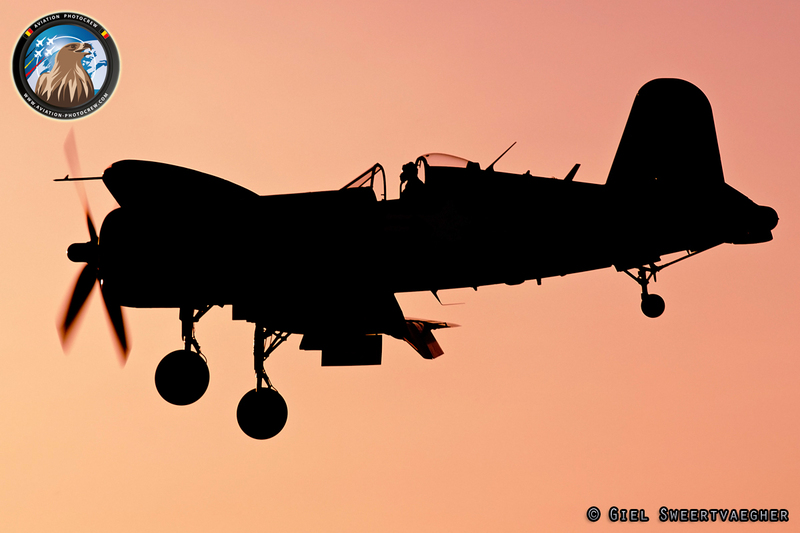 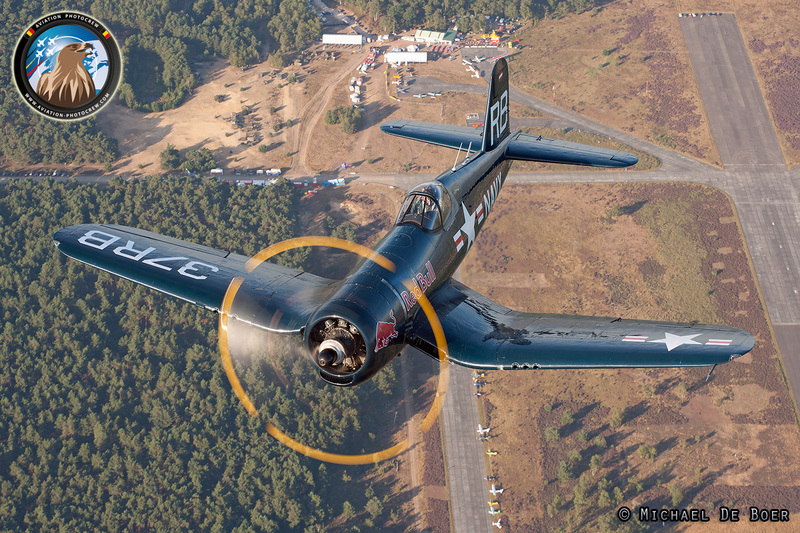 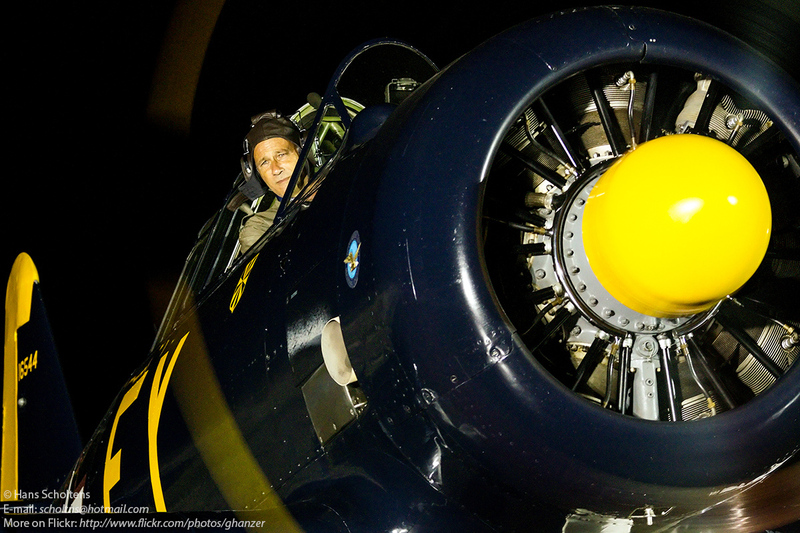 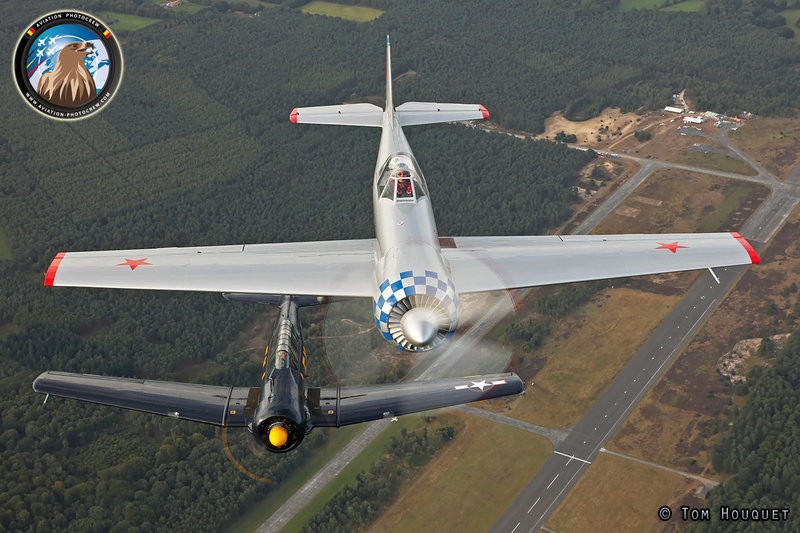 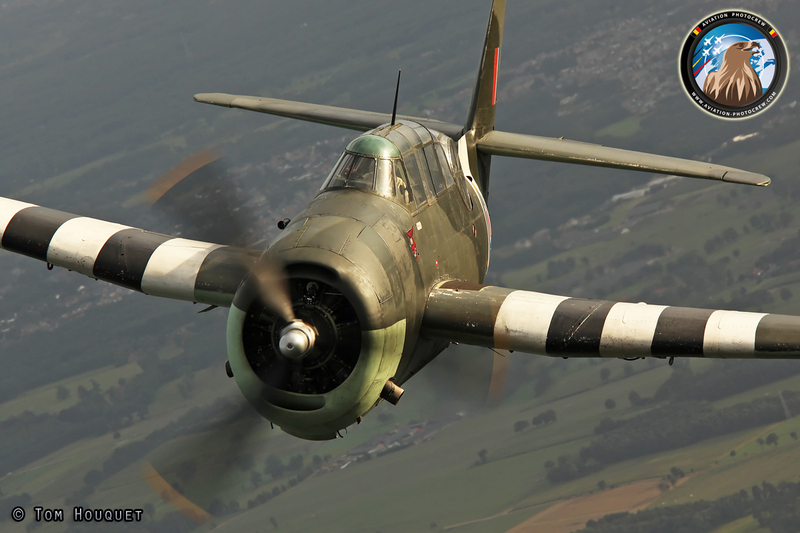 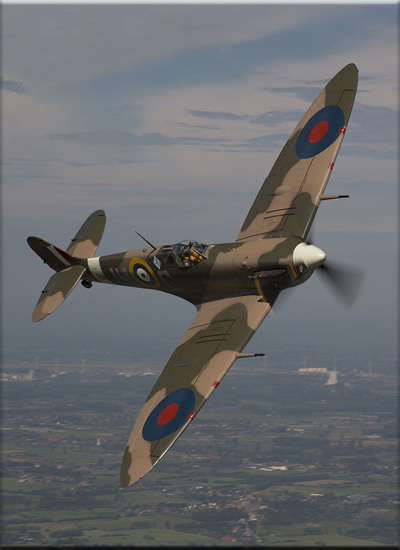 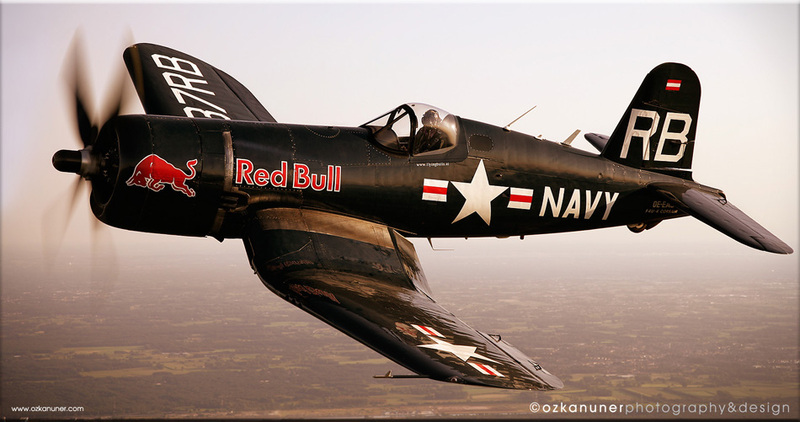 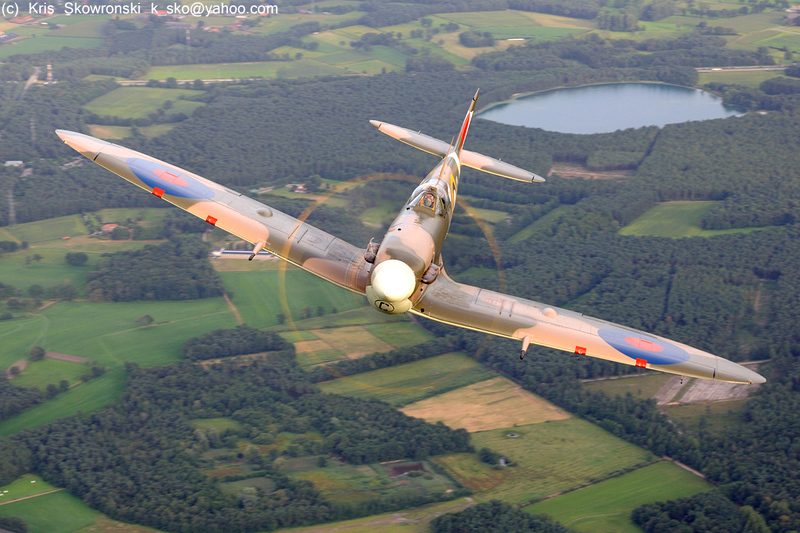 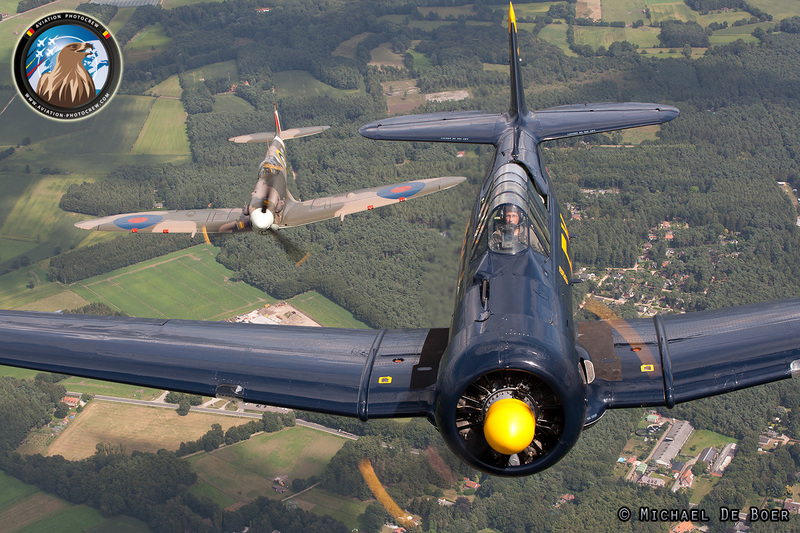 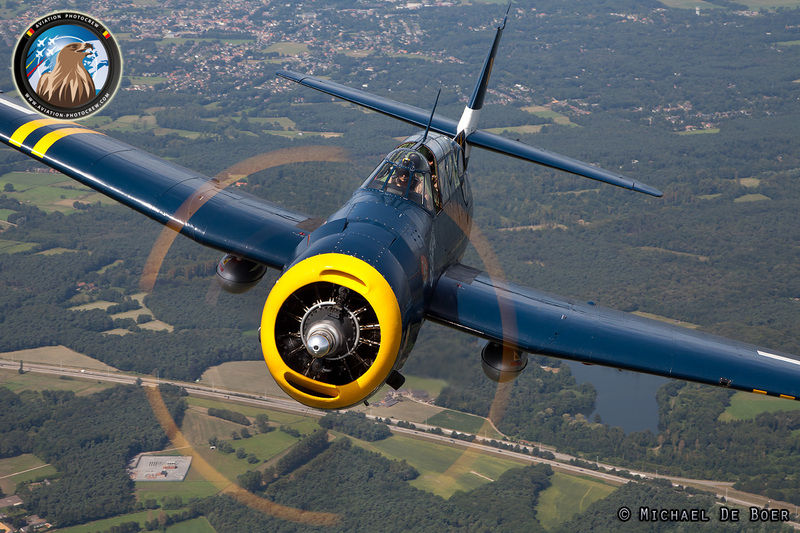 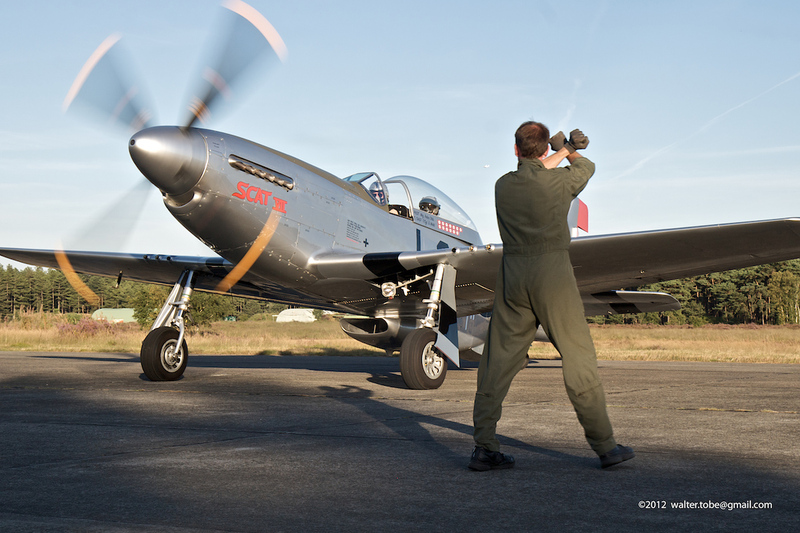 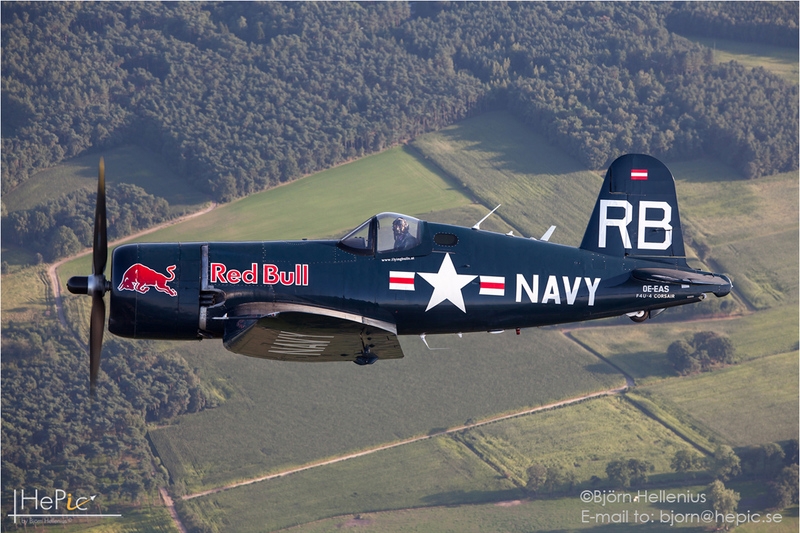 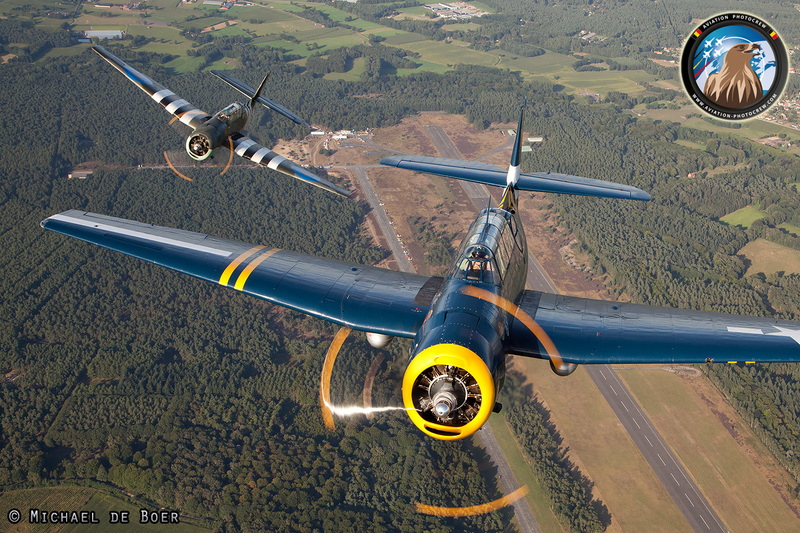 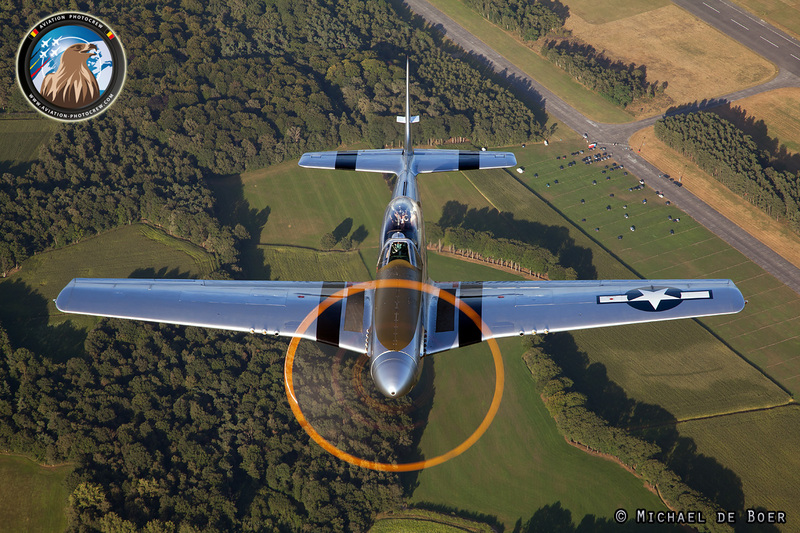 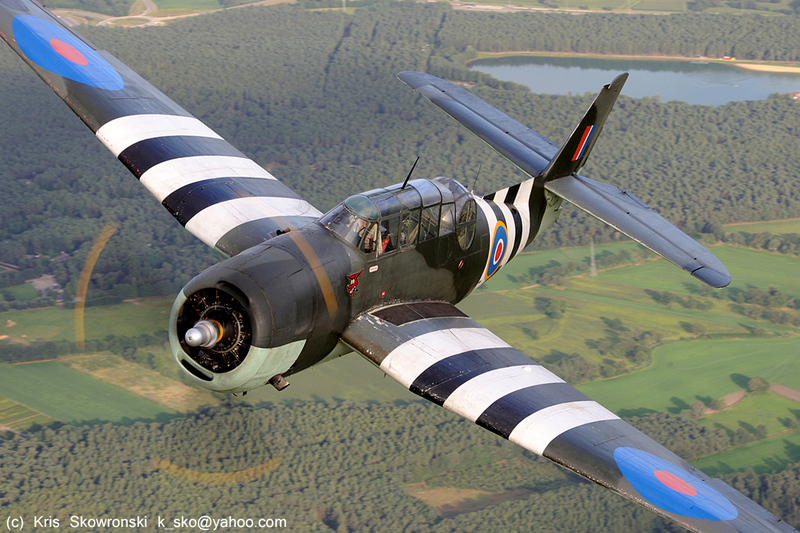 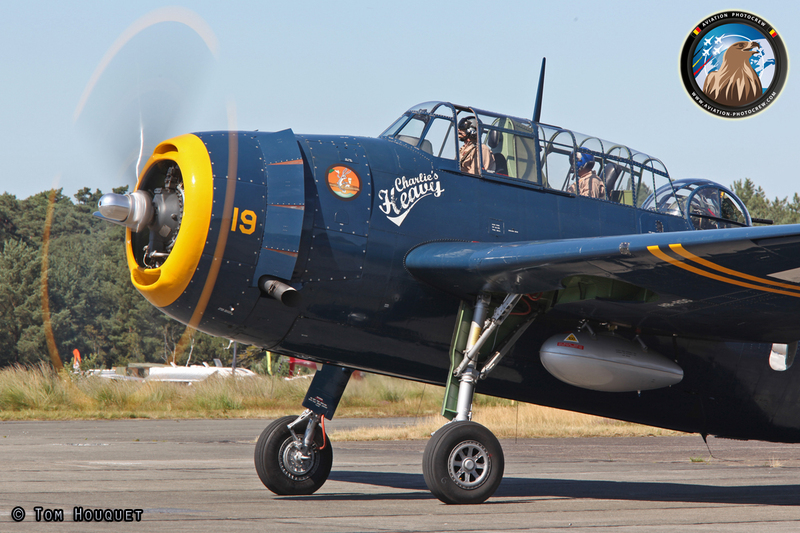 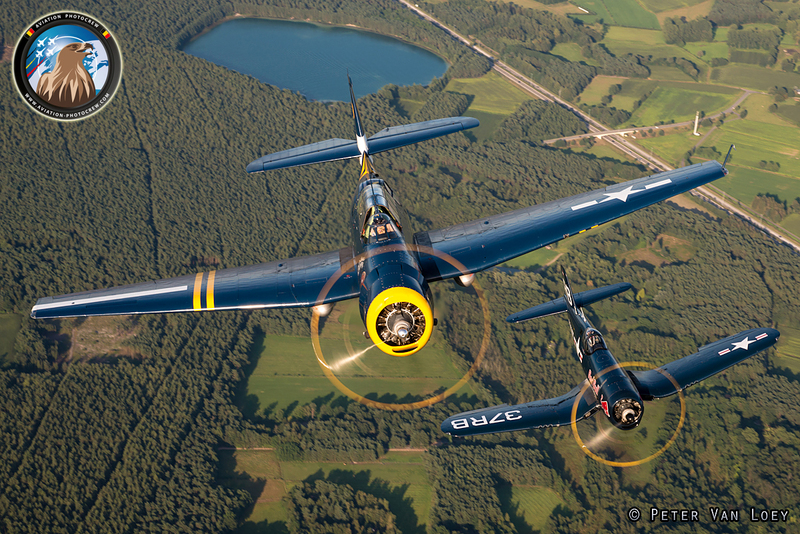 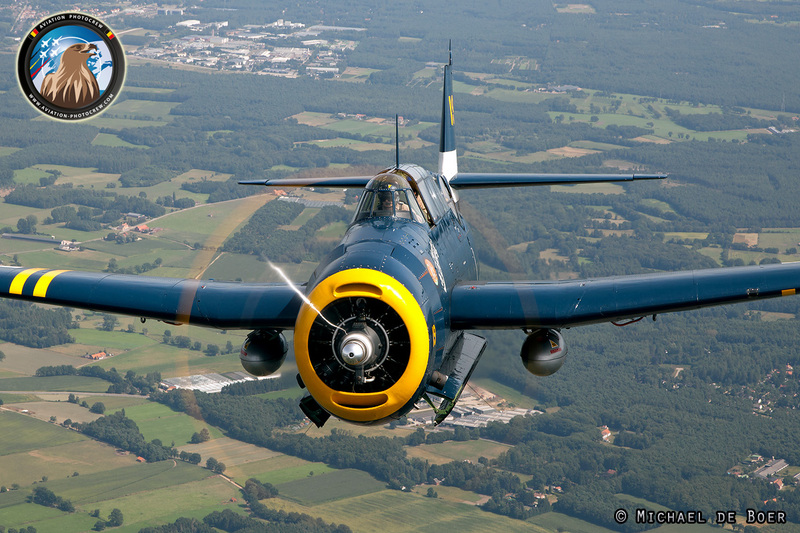 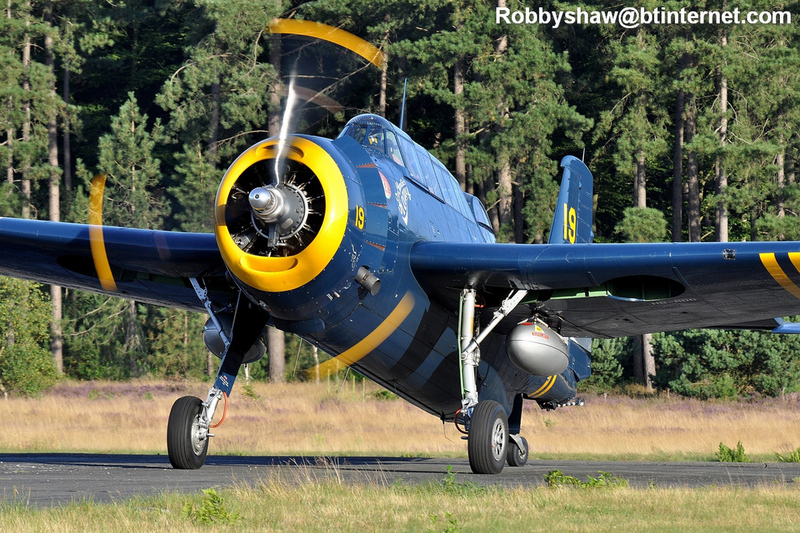 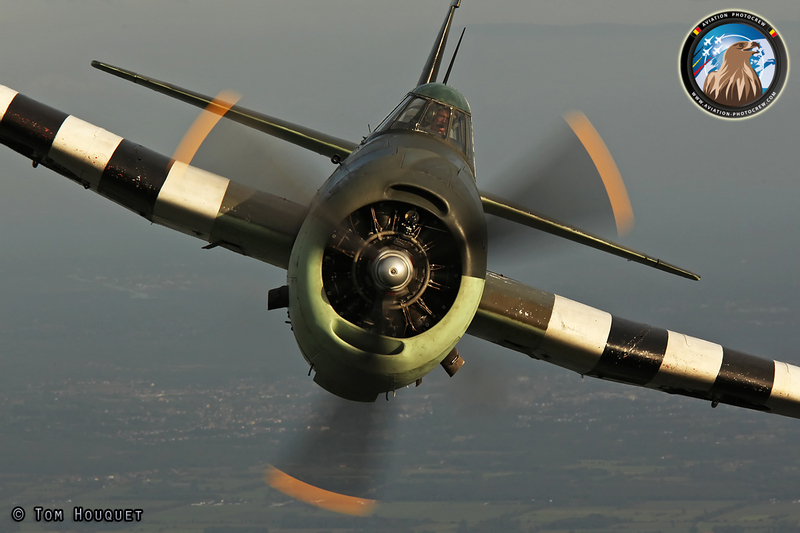 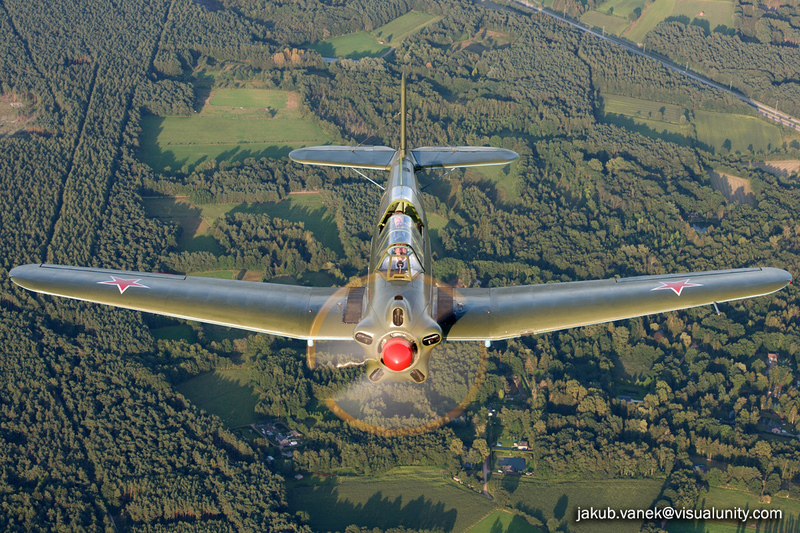 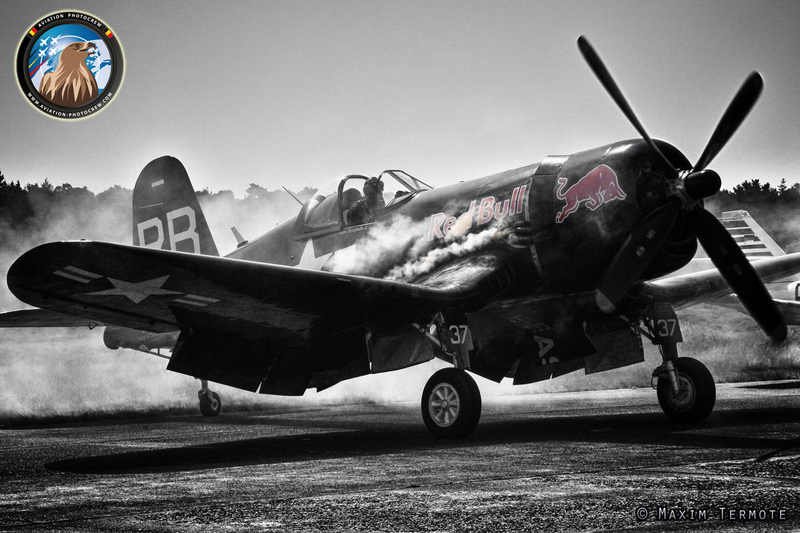 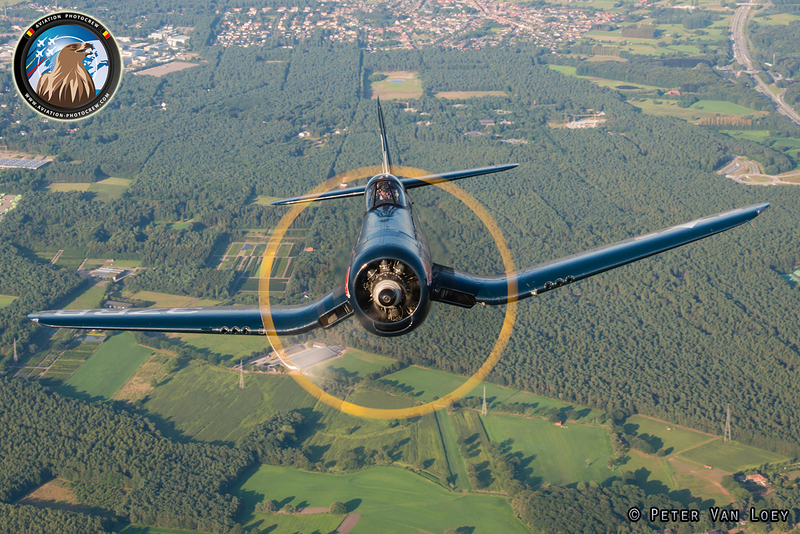 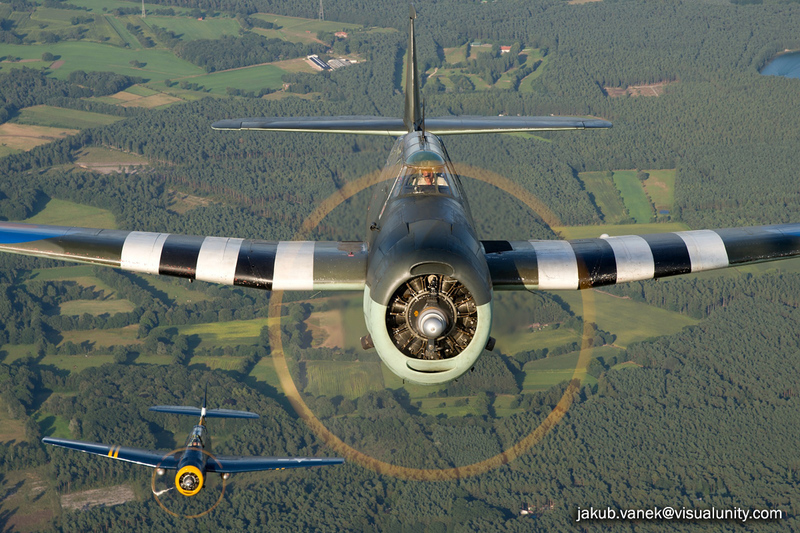 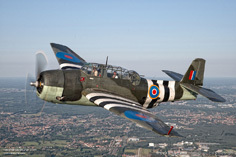 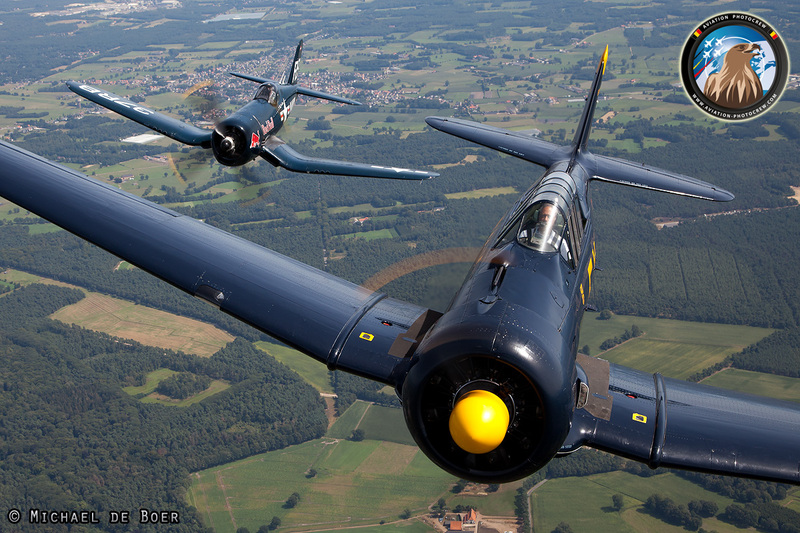 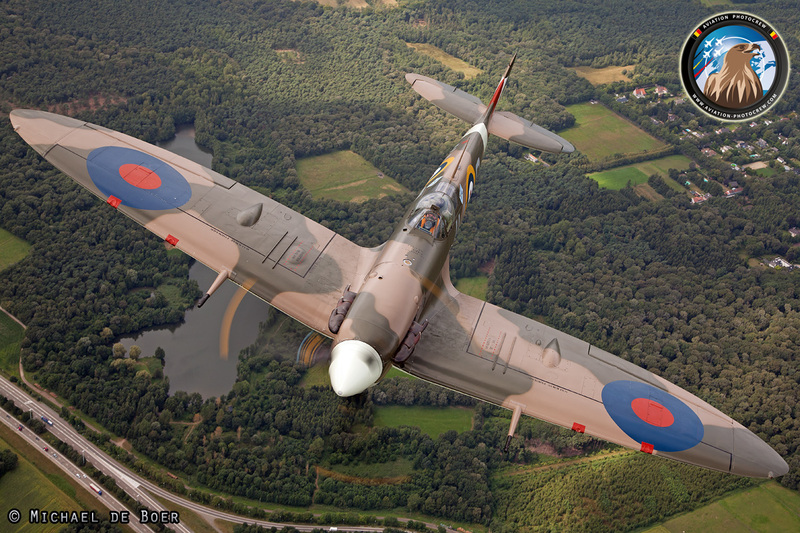 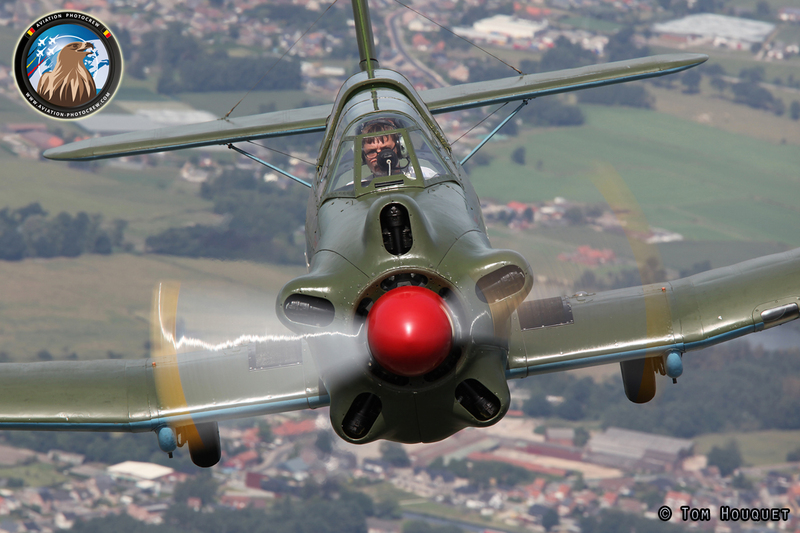 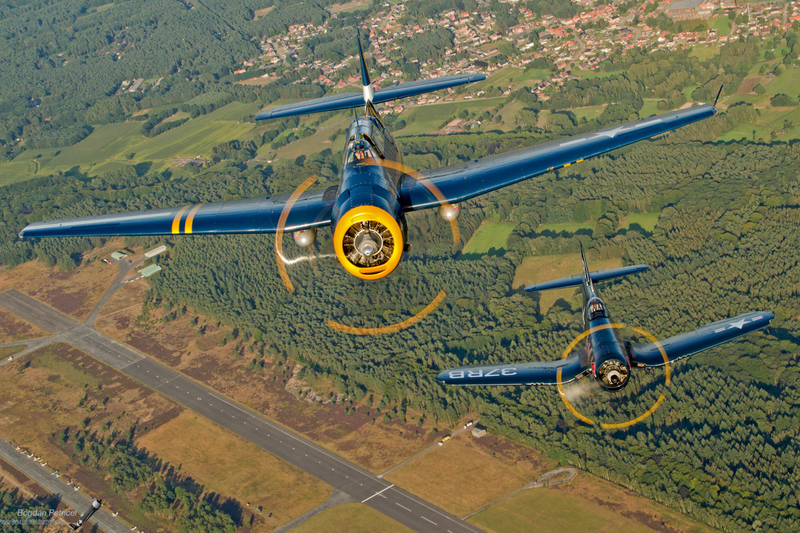 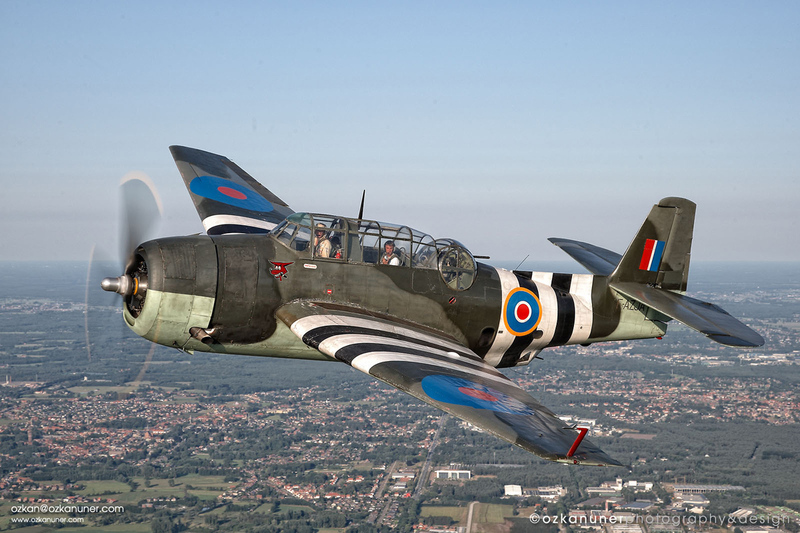 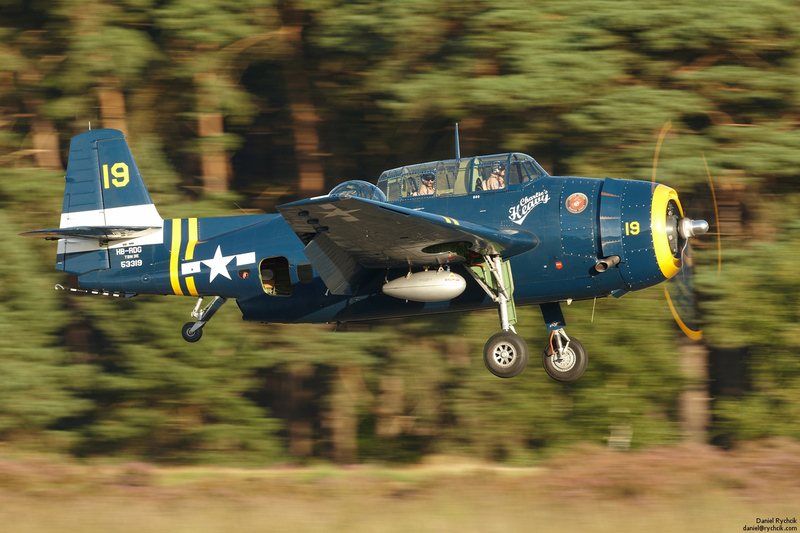 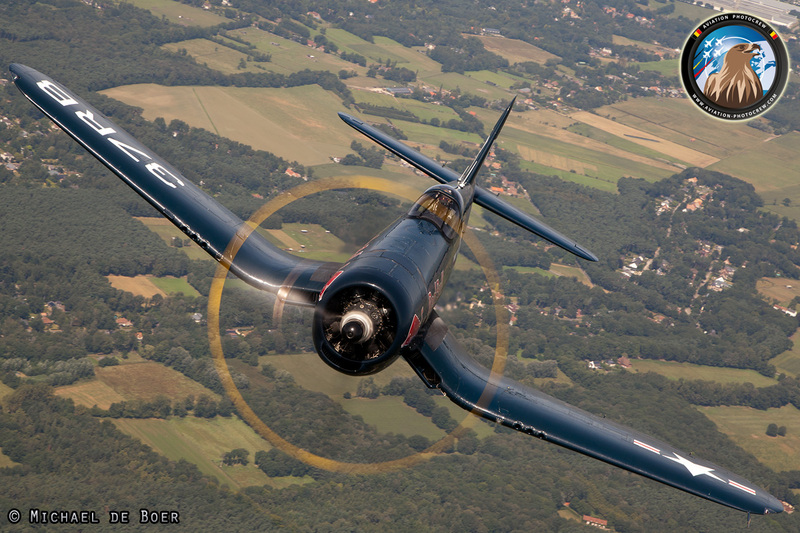 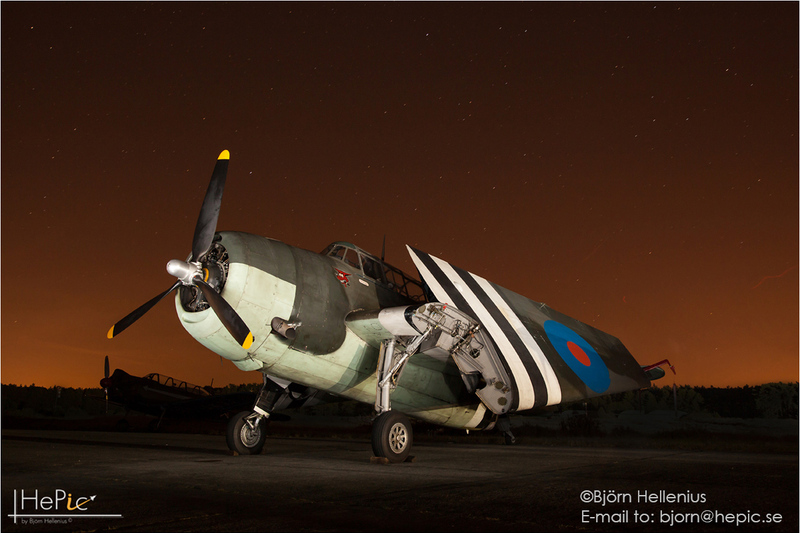 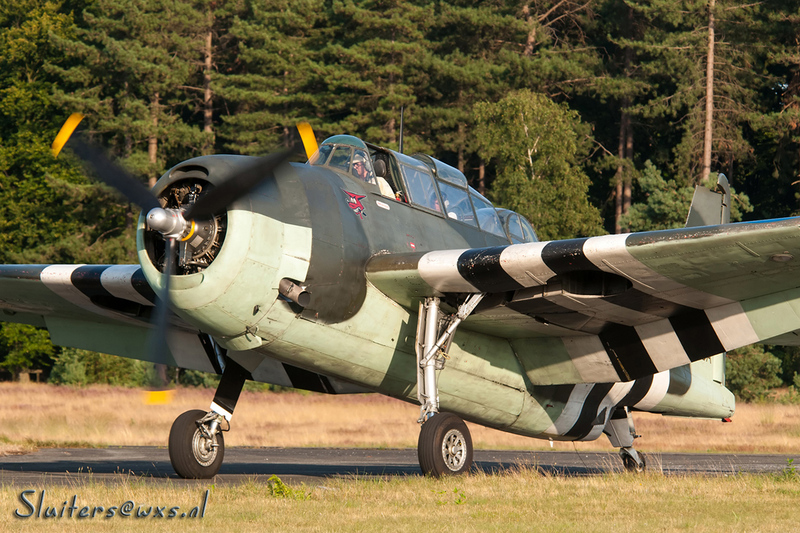 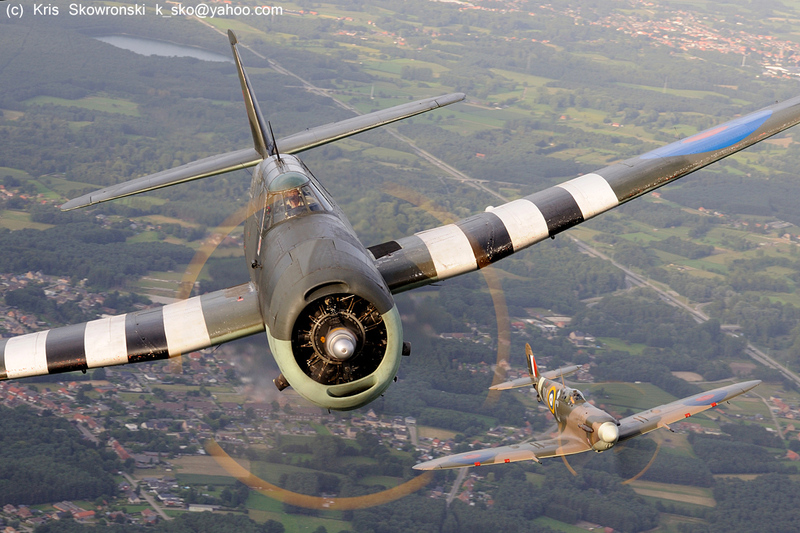 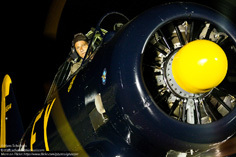 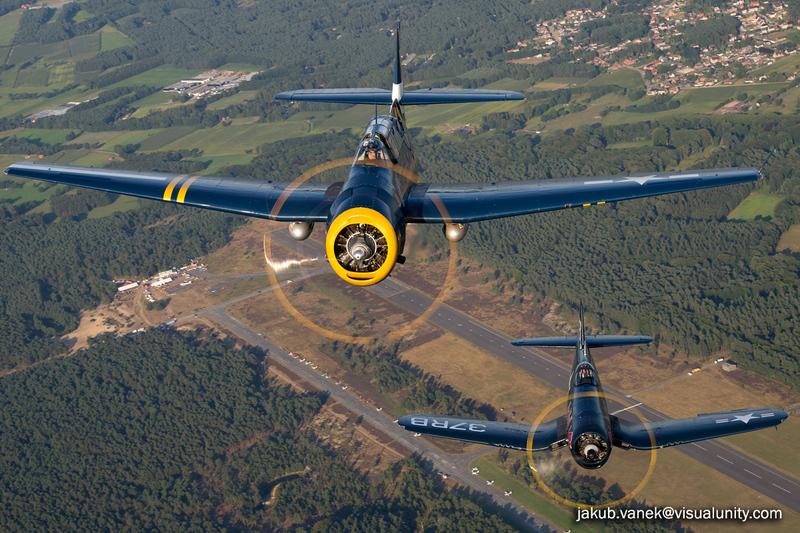 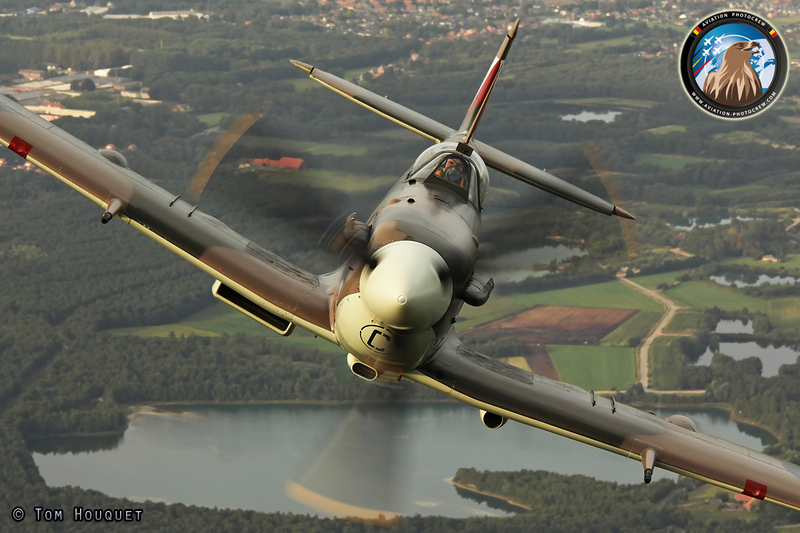 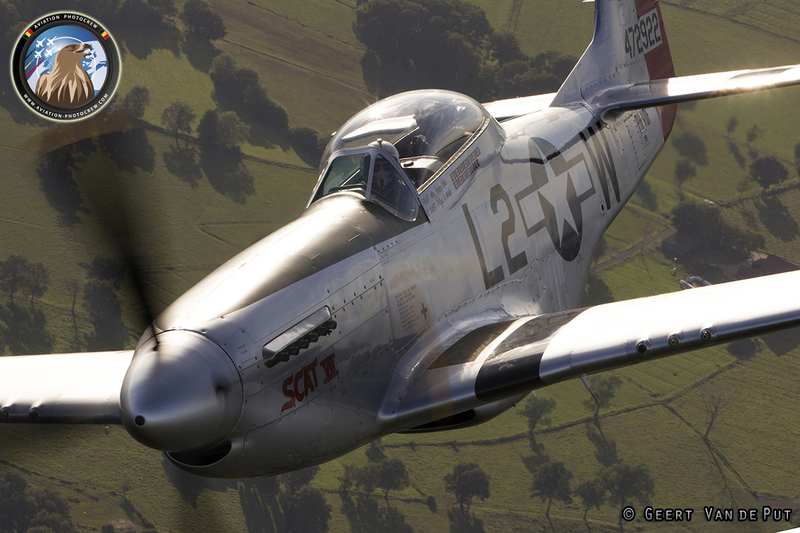 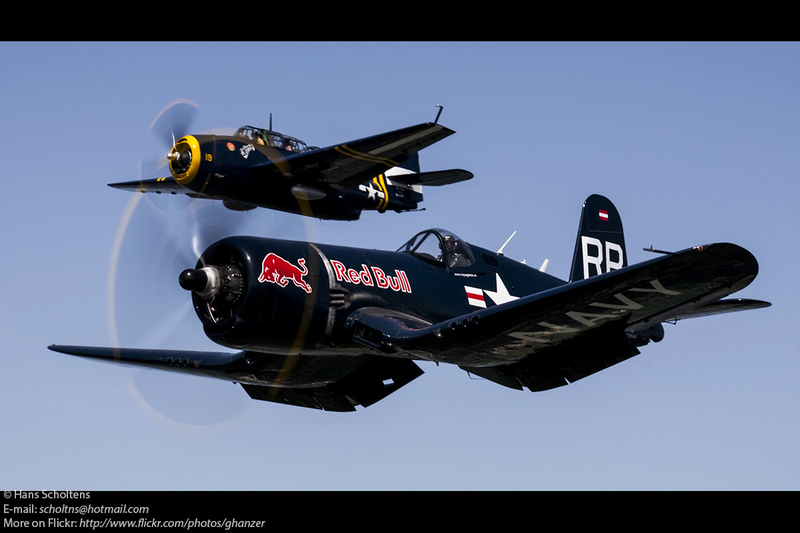 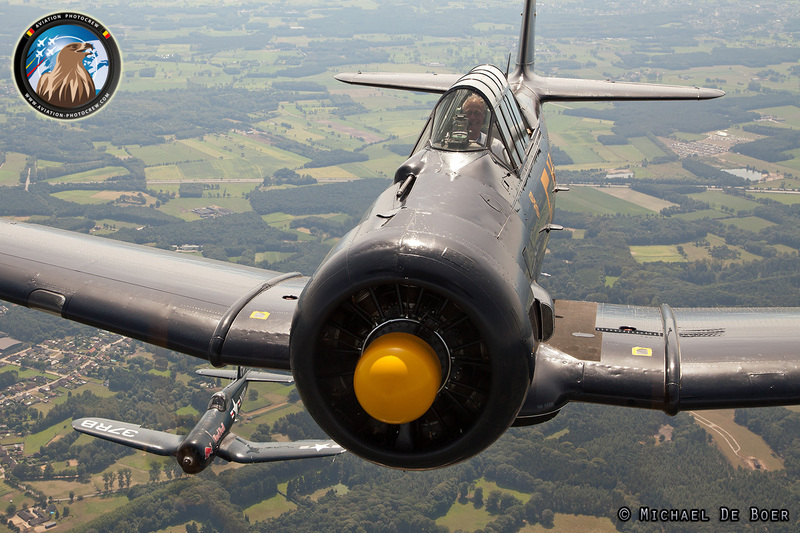 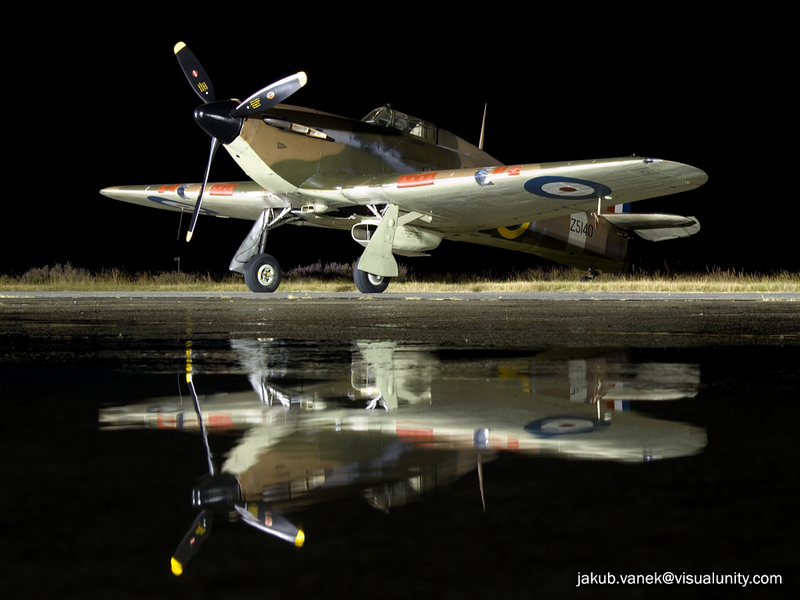 During the evening the first Warbird photoflight took place in the best light of the day. 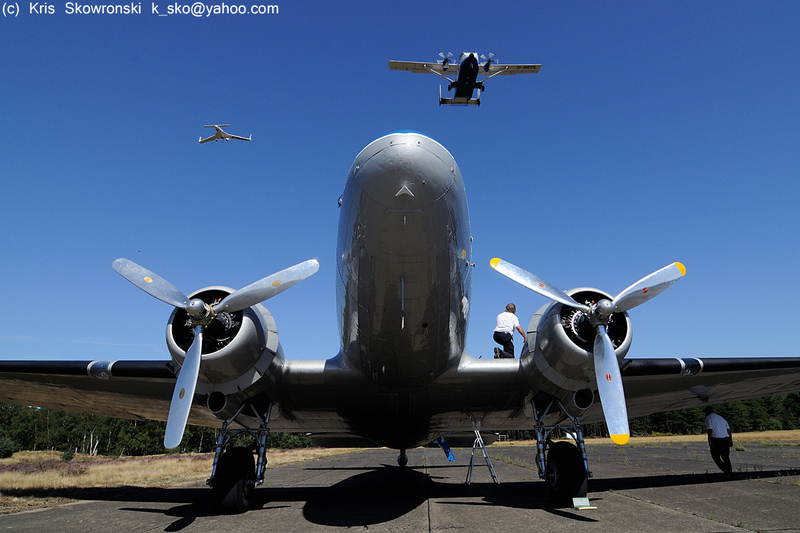 Starts on this photoshoot were the T-6 and Yak 50, the French Avenger, the Spitfire and the Jet Provost, and the lovely S-38. 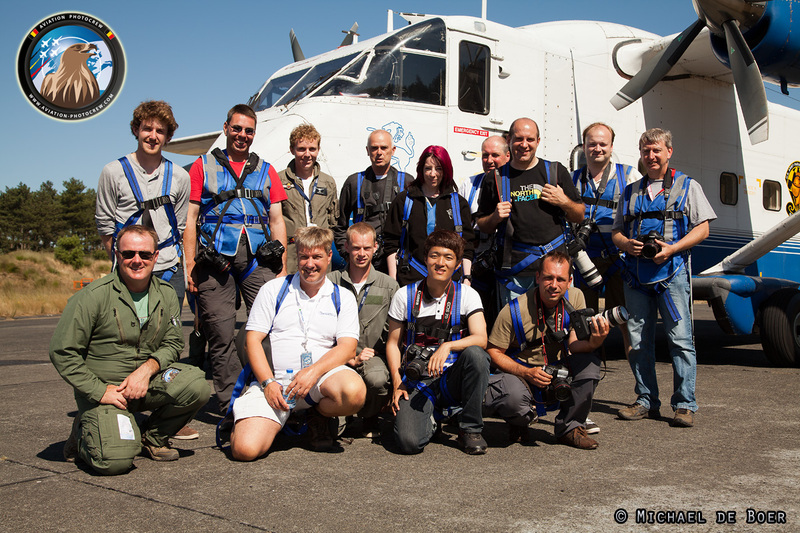 After the flights, eleven happy photographers jumped out of the plane with memory cards full of unique photographs. 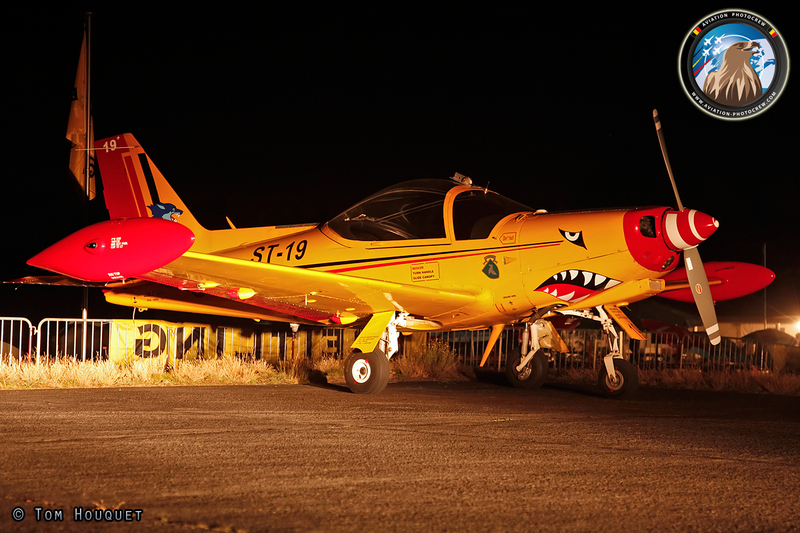 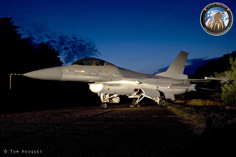 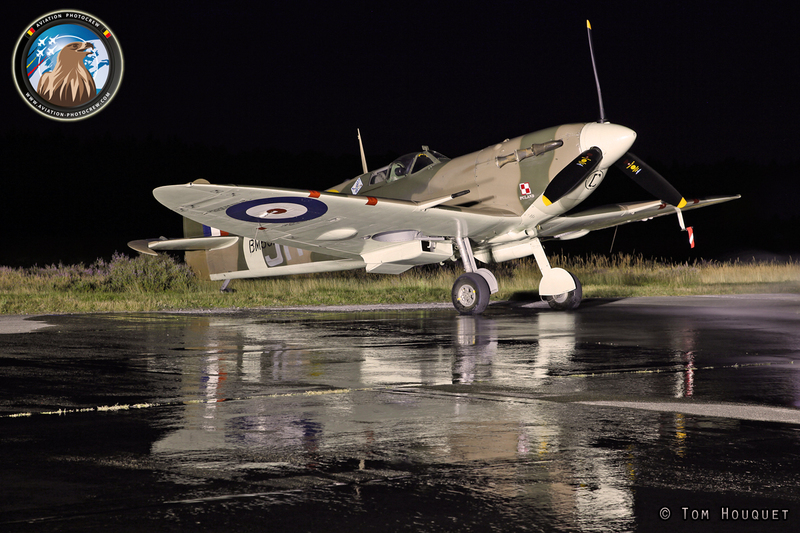 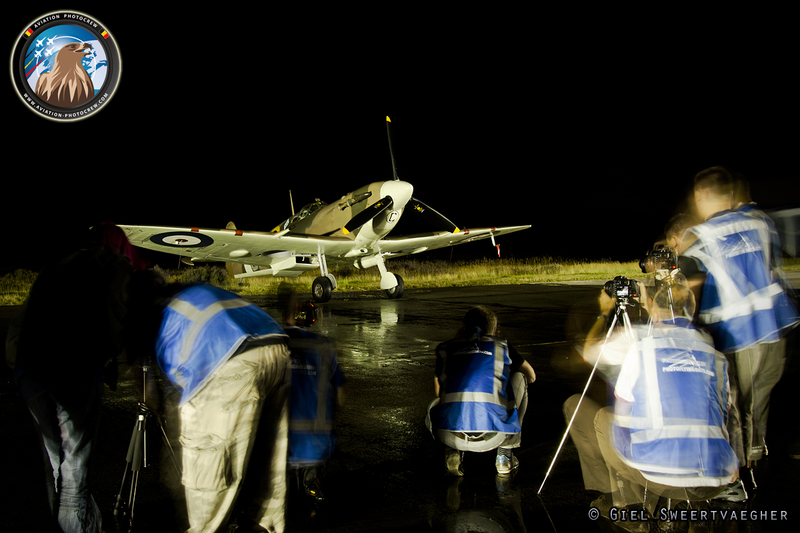 Again that evening, it was time for the nigh shoots along the taxiway. 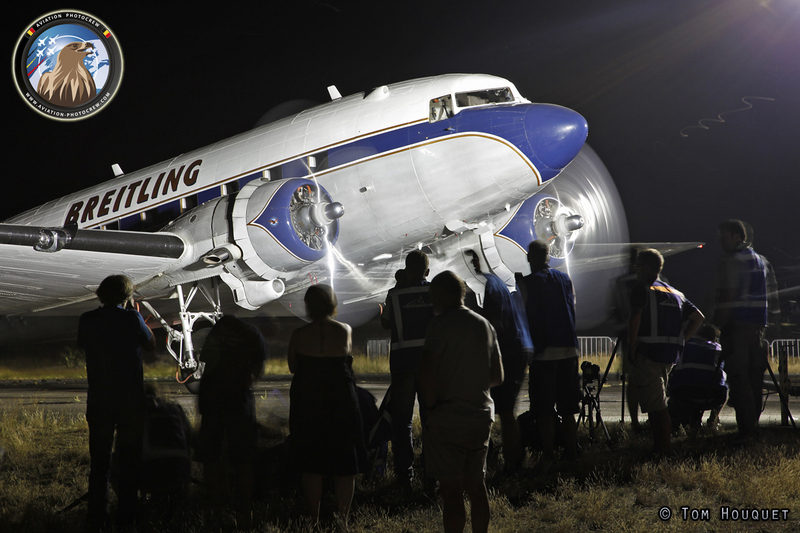 Large floodlights were placed and the tarmac was doused with 25.000 liters of water. 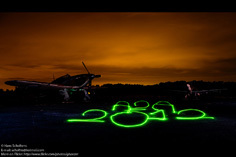 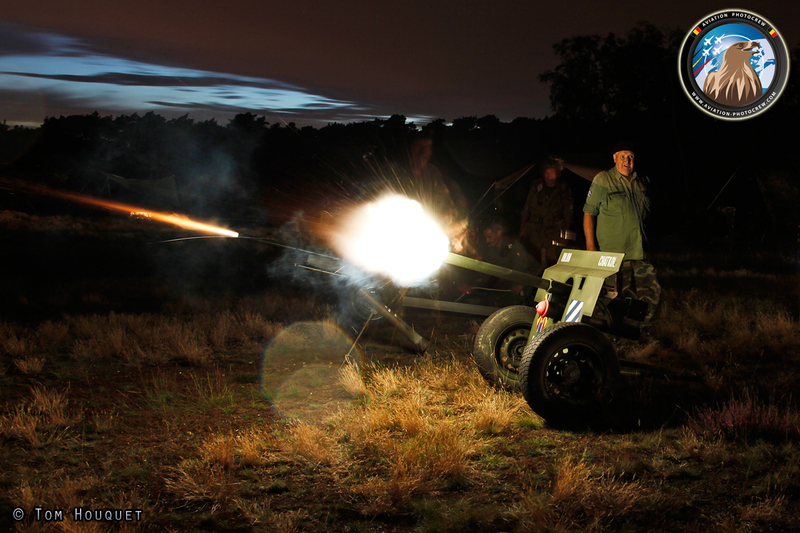 Thanks to the great work of Daniel, Geert, Fons and the other volunteers, the photographers could make the night pictures they wanted. And when in the course of the nightshoot Hanno even fired up his magnificent Texan it made him the instant star of the evening. 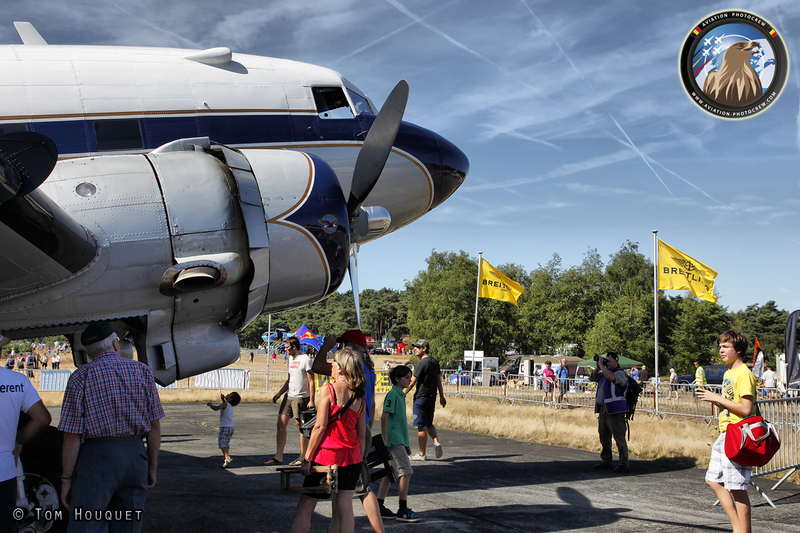 Friday saw the gates opening for the public. 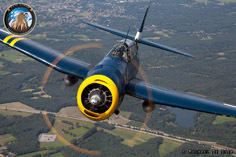 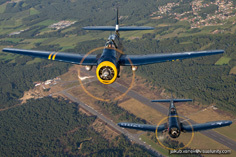 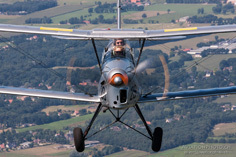 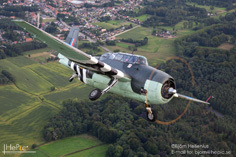 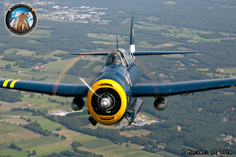 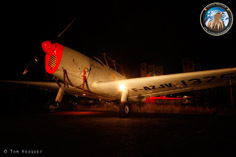 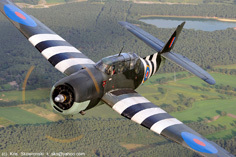 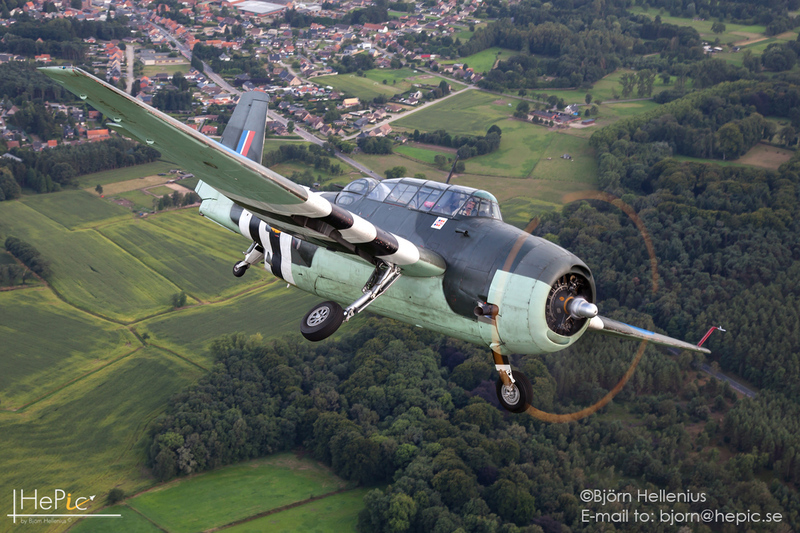 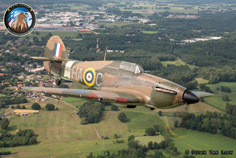 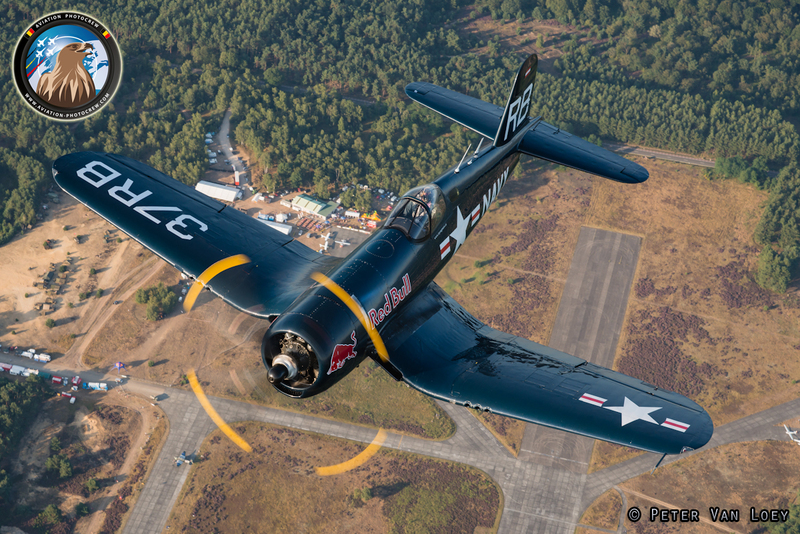 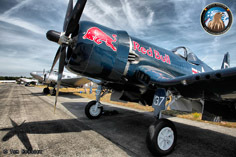 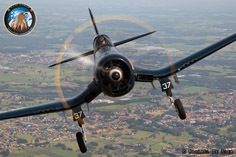 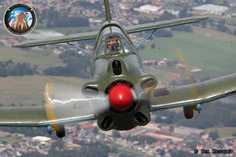 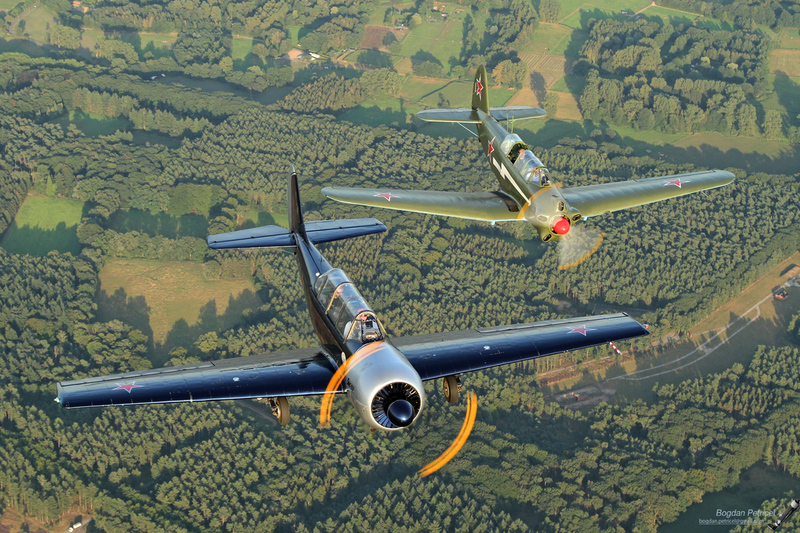 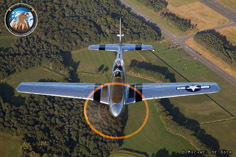 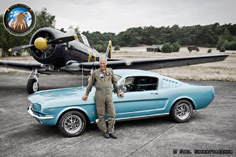 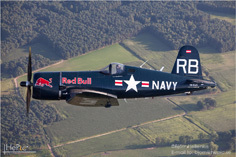 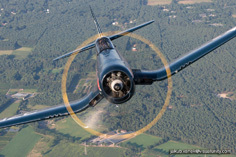 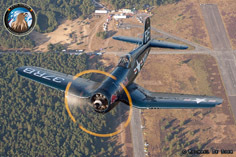 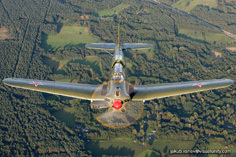 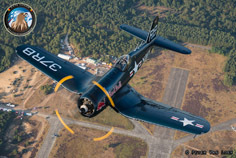 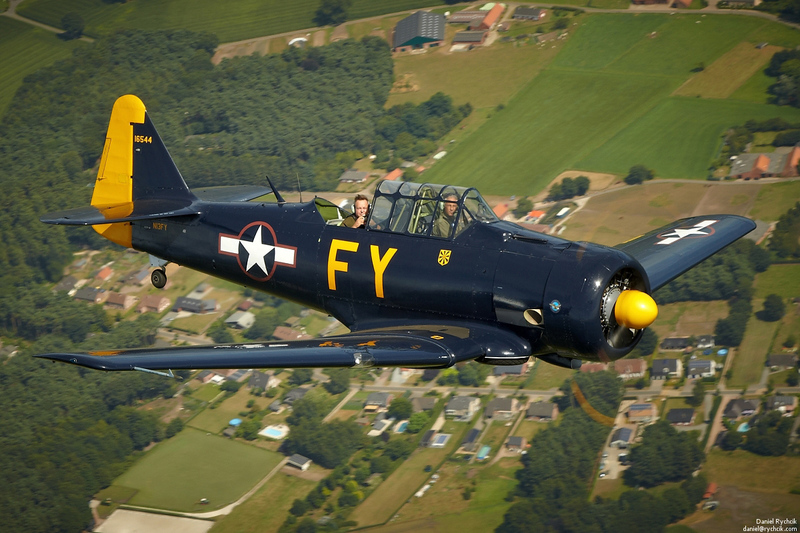 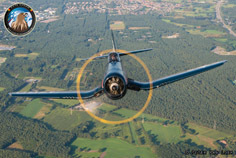 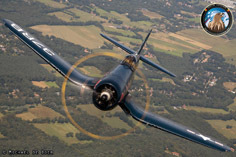 It was the first time in the history of the Fly-in that an entrance fee was asked in order to help finance the large costs that are associated with flying all these extraordinary warbirds over to Malle airfield. 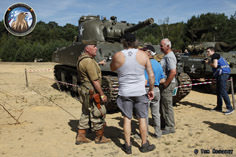 Thanks to the great participation of the surrounding villages, the people who live close by had the opportunity to visit the event free of charge at their local airfield. 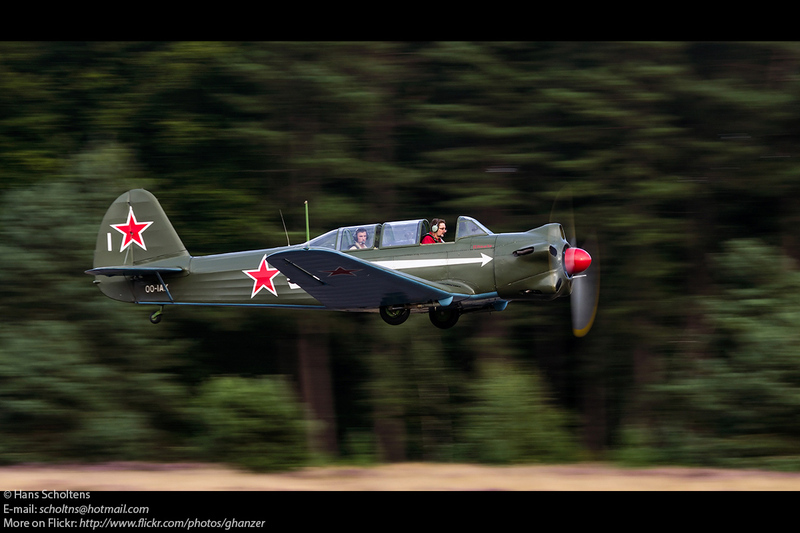 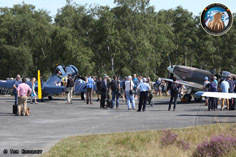 As the weather was perfect, a lot of aircraft flew in to the event to have a great day out at Malle airfield. Additional Warbirds also made it to Malle, some examples like the Red Bull Corsair, P-51D Mustang , T-28 and Avenger made their appearance next to some classic aircraft like the shiny Swiss Beech 18, Stinson, Bulldog, Chipmunk and Pilatus P3. 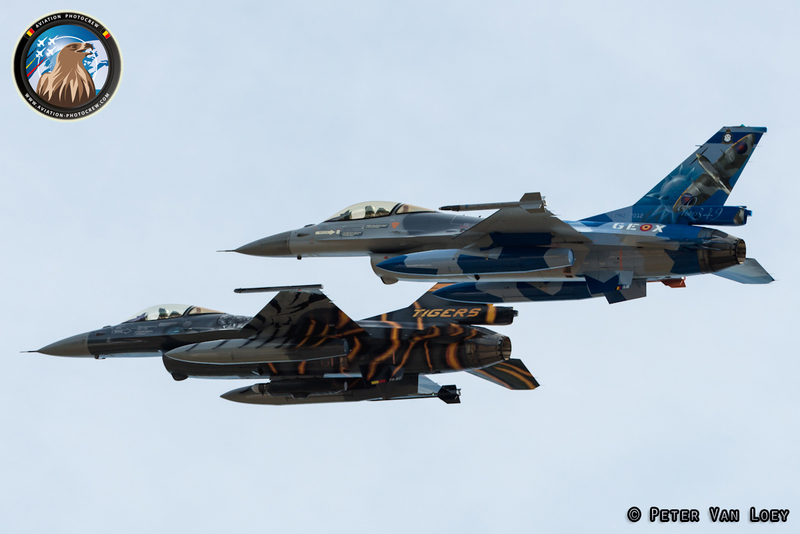 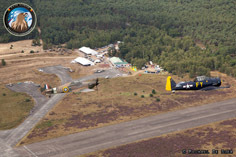 The Belgian Air Force was also present with a static Marchetti trainer and flyby’s by two specially decorated F-16’s of the nearby Kleine Brogel. 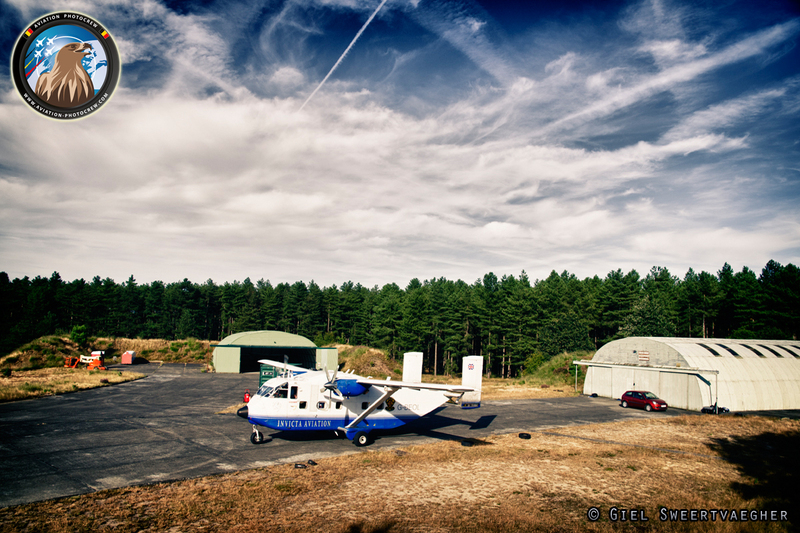 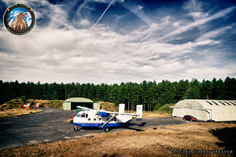 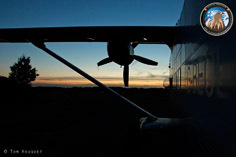 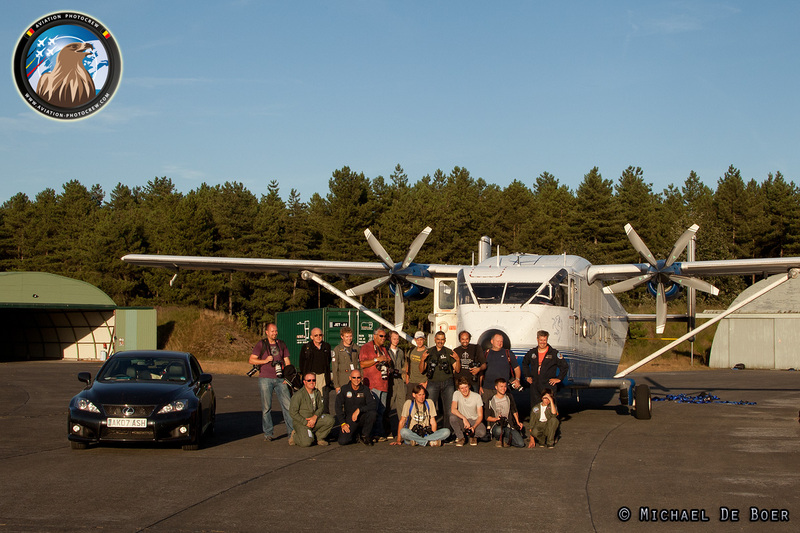 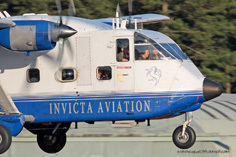 On Friday morning the first Skyvan Academy photoflight took place, taking 11 new Academy photographers into the air with a nice mix of aircraft posing for them to be photographed. 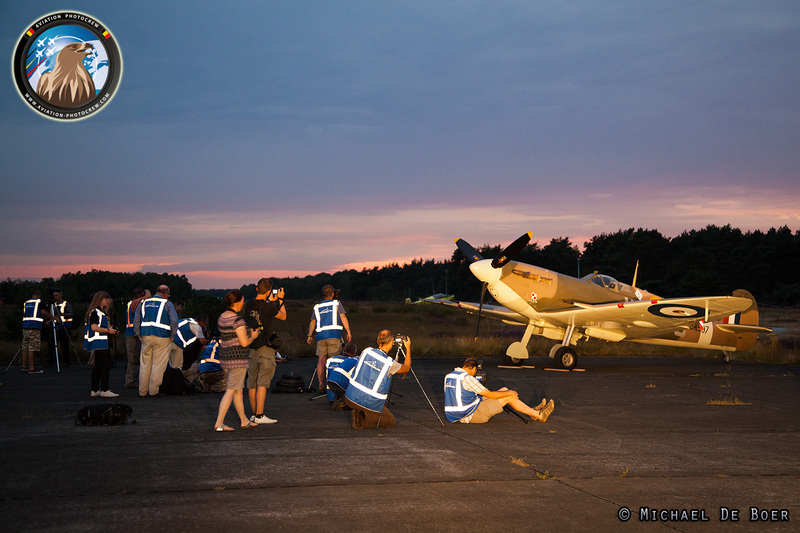 In the evening the Super Warbird photoflight was , which was for many people the highlight, being able to see all the participating Warbirds going up in the air above Malle. 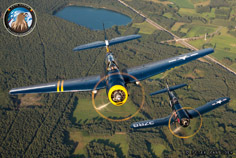 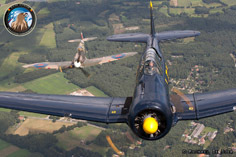 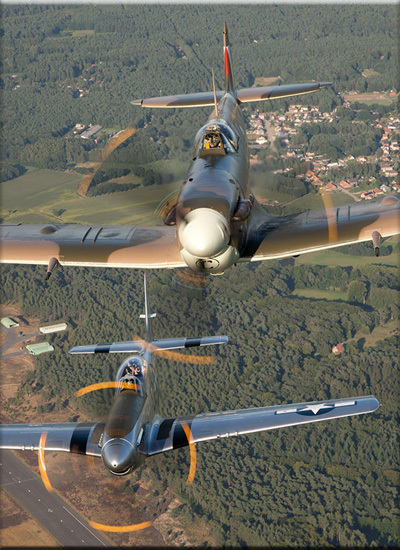 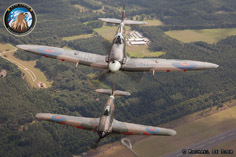 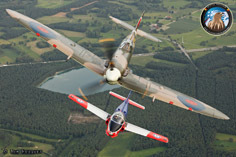 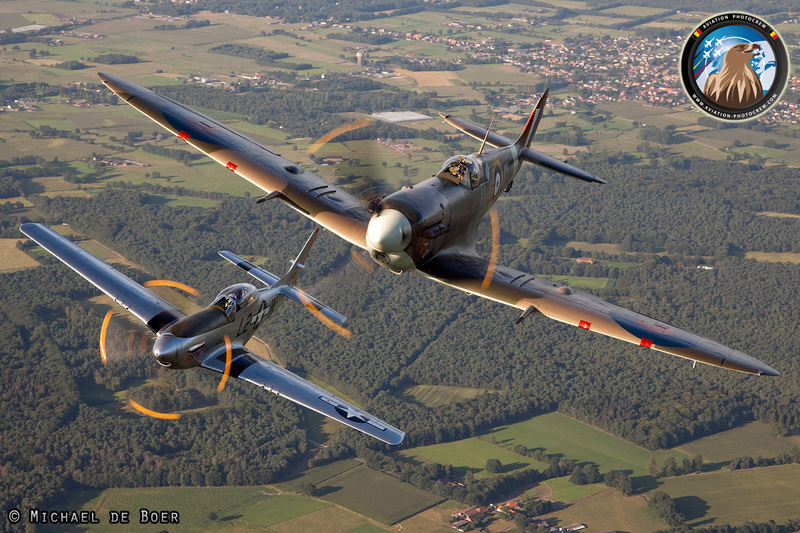 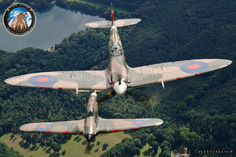 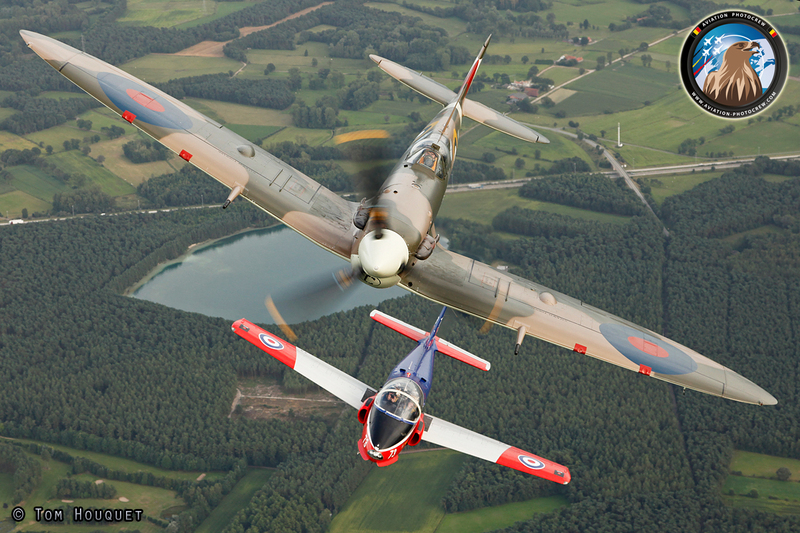 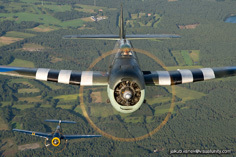 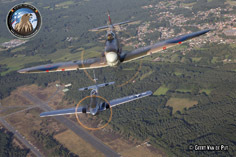 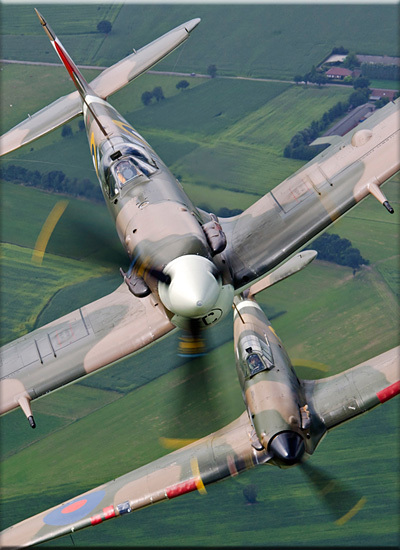 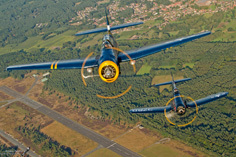 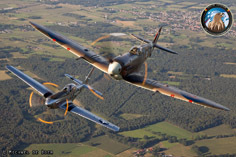 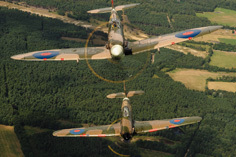 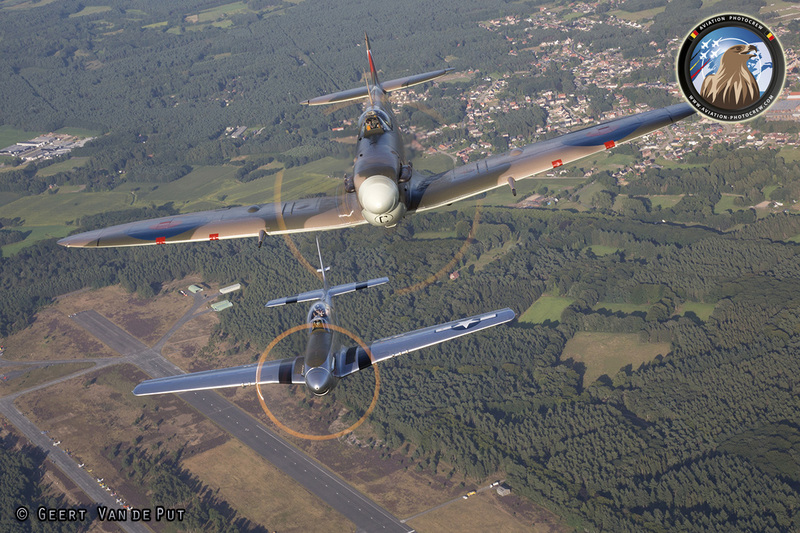 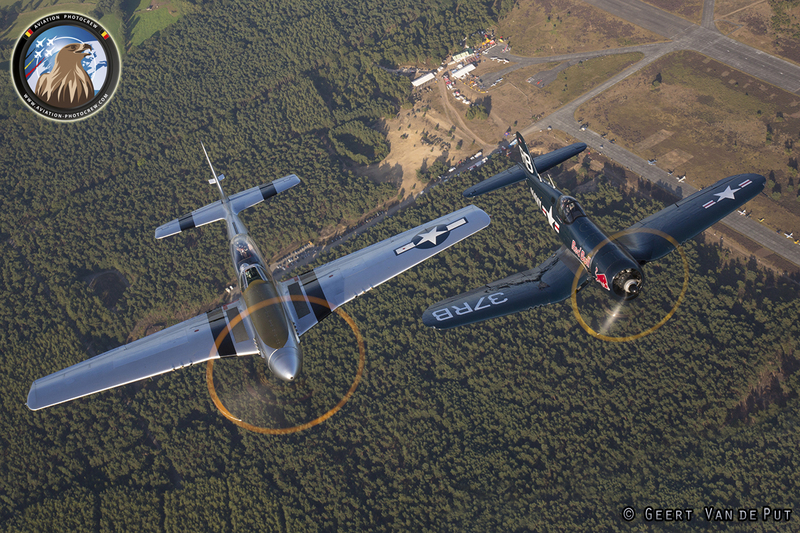 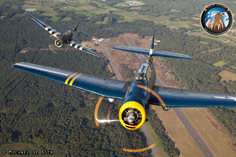 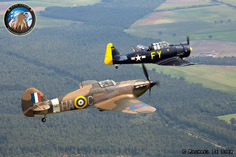 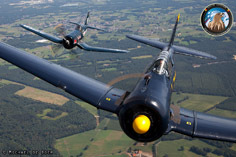 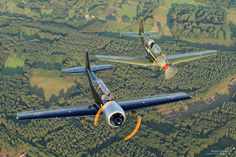 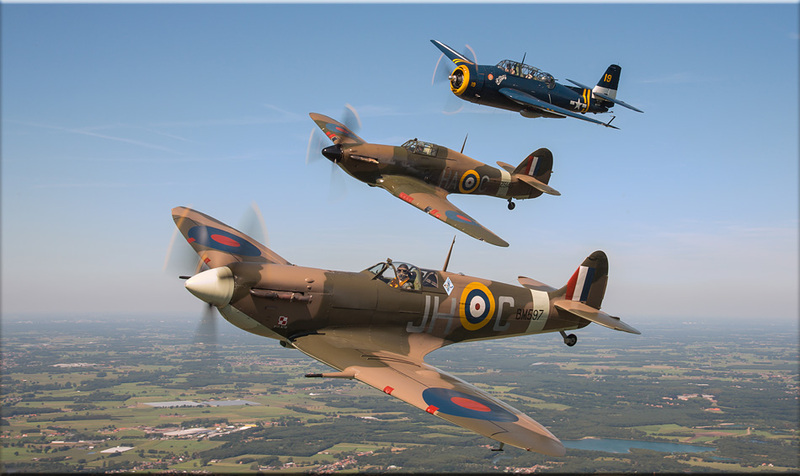 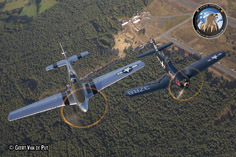 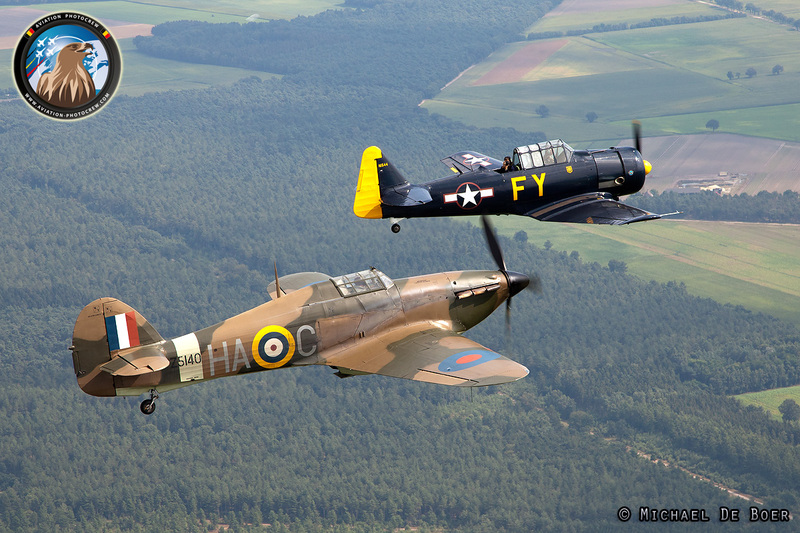 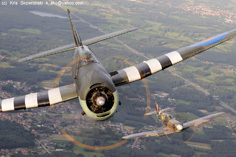 Some very unique formations were flown like Mustang and Spitfire flying side by side, and a combination of the only two airworthy Avengers in Europe flying together. 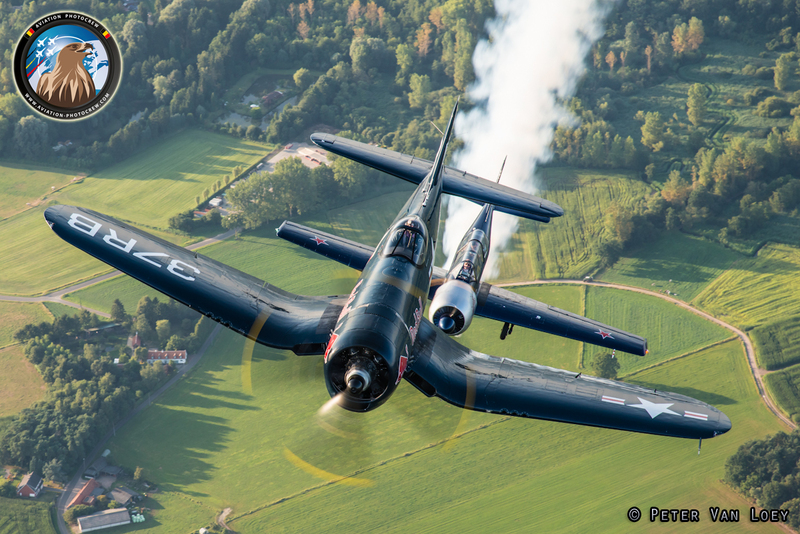 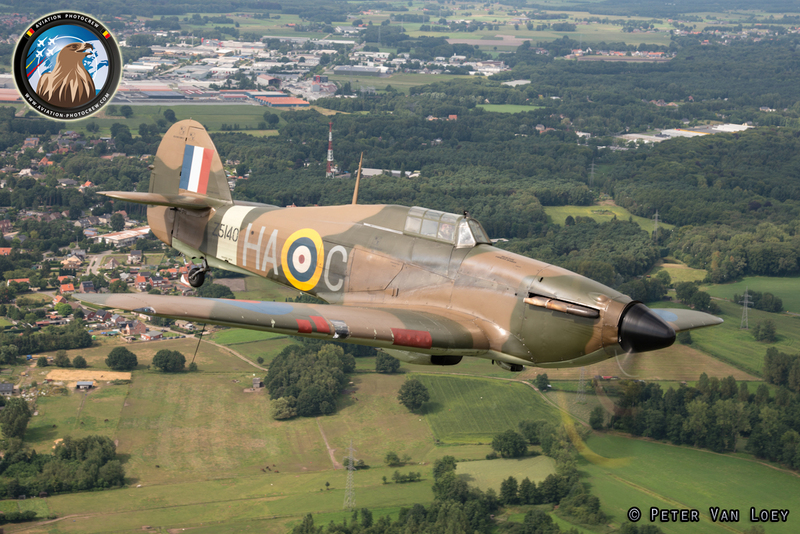 Together with the excellent weather, the photographers could not have dreamed of a better scenery to photographs these special pieces of flying history. 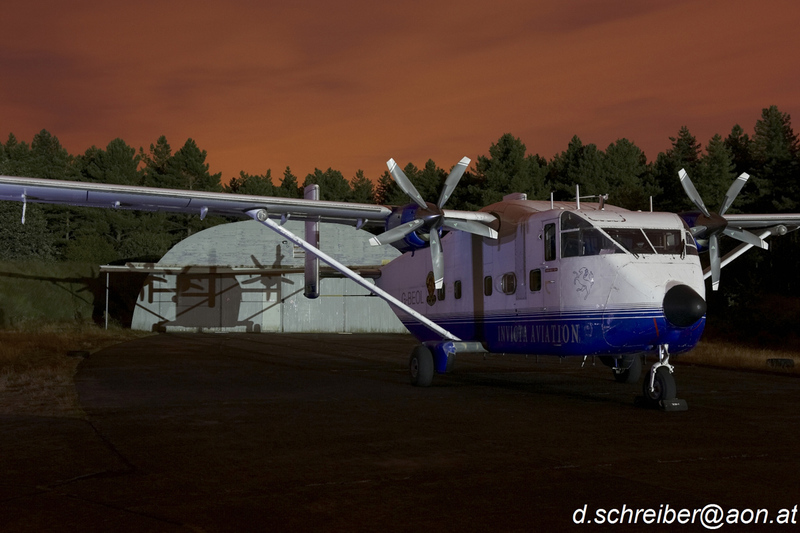 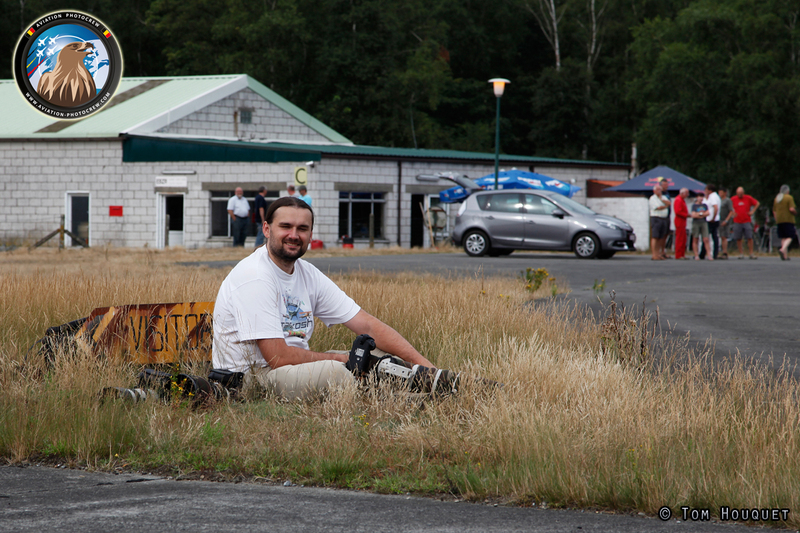 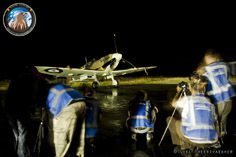 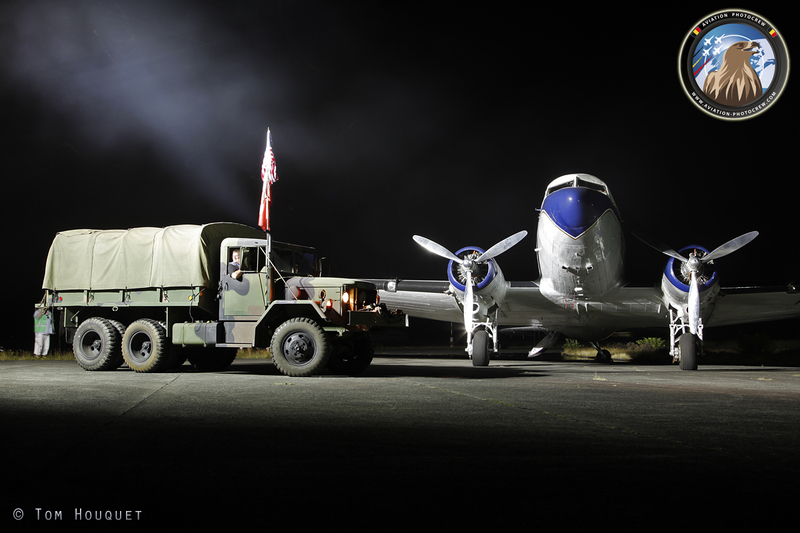 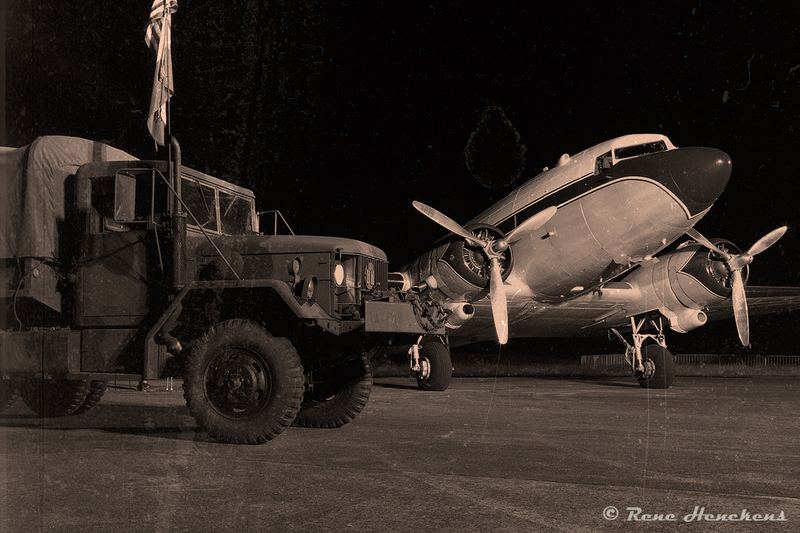 As in the days before again , the nightshoots were setup on the taxiway and continued till the late evening hours. 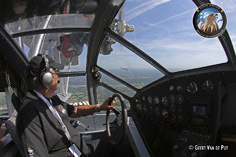 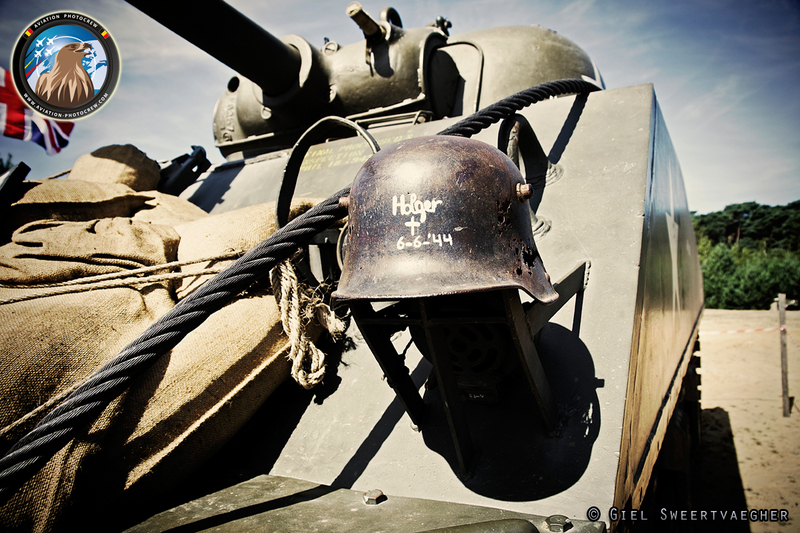 On Saturday the temperatures went up high and Malle was blessed with a blue sky and sunshine. 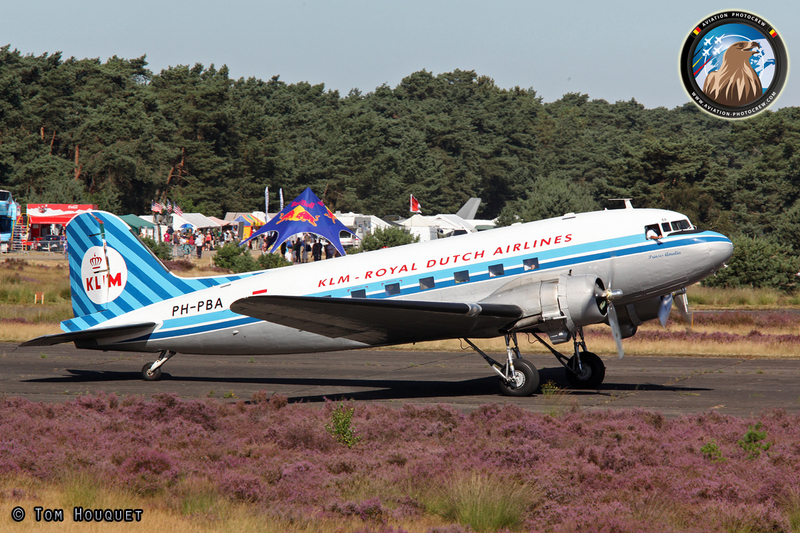 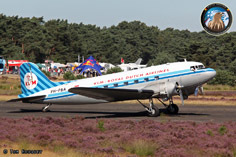 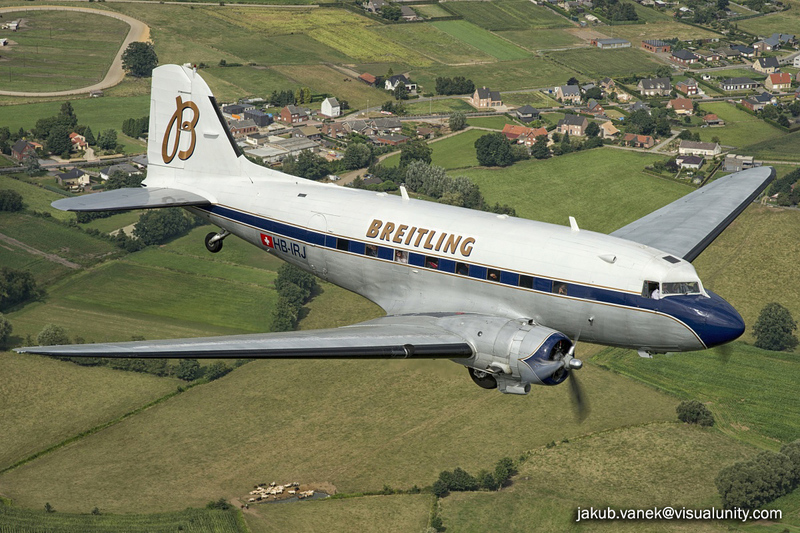 Arriving early in the morning was the Dutch Dakota, another addition to the stars of the event, and later on the day the Breitling DC-3 also made it to Malle airfield. 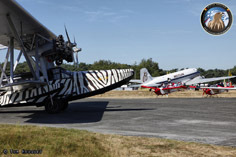 What a unique sight it was to have two of these classic airliners at the airfield, what a historic moment. 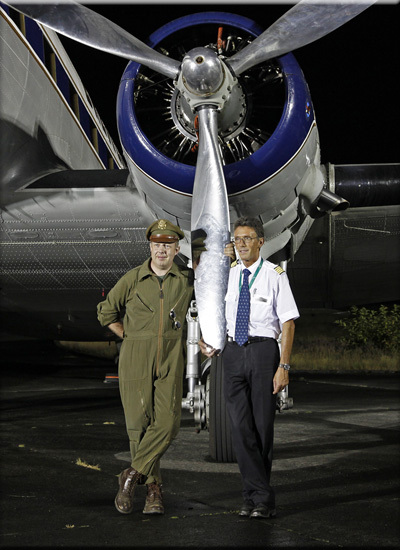 With the Breitling DC-3 came a special piece of art, a part of the Super Constellation which unfortunately couldn’t make it this year. 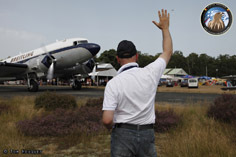 It was in a box marked “You get not the whole Connie this year, but only a part of it. 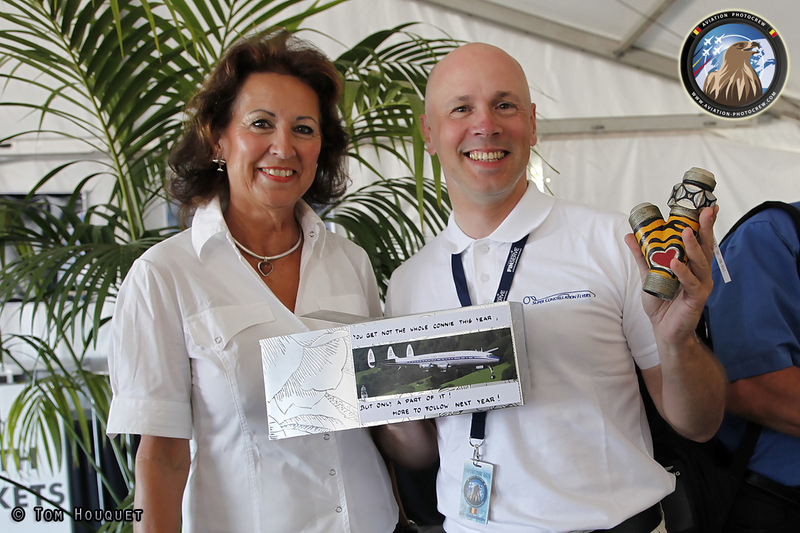 More to follow next year!”, and handed over to Eric by the staff of the Breitling Super Constellation Flyers Association, for which we are very thankful. 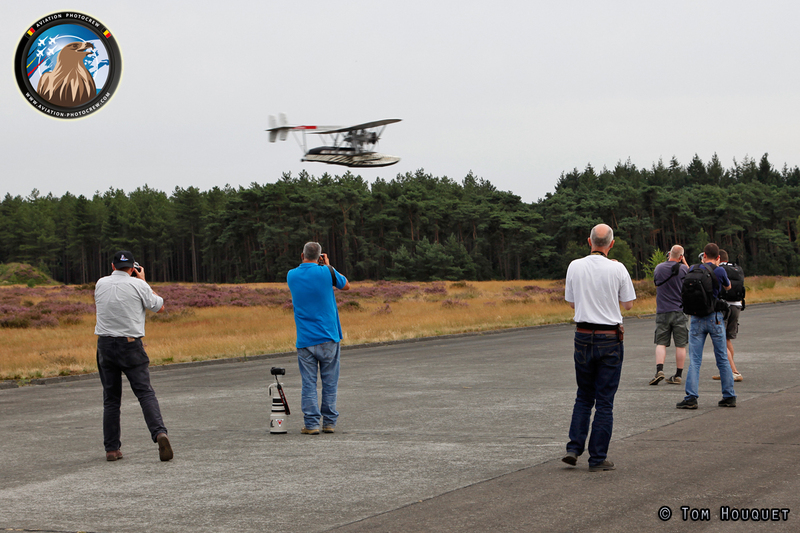 The crowd was pleased again with an amazing range of interesting aircraft to be seen, not only on the ground but also in the air. 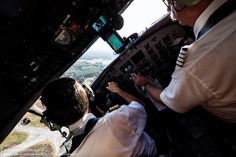 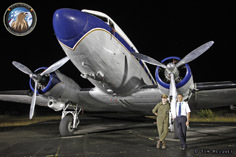 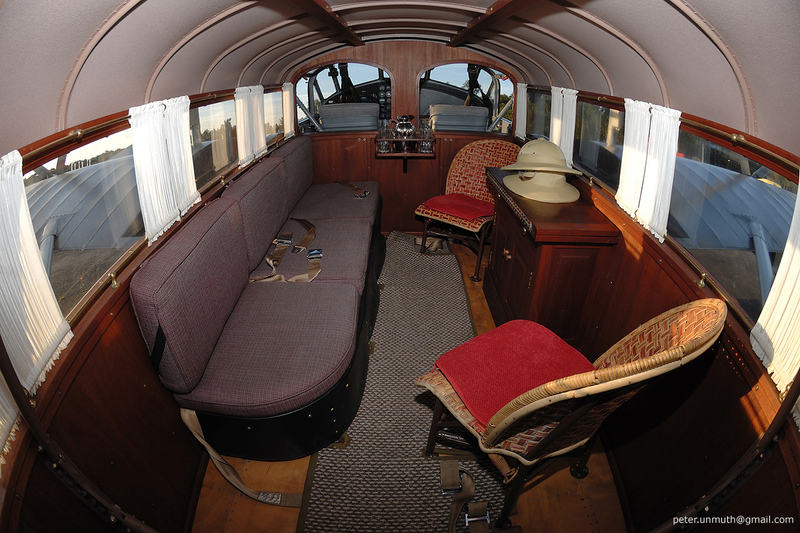 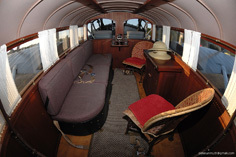 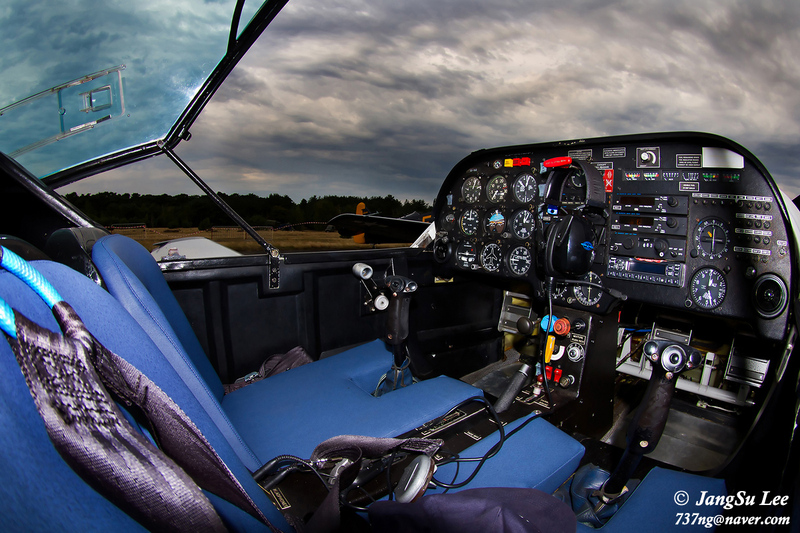 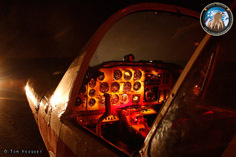 Pleasure flights could be made in the APCK Aeroclub's aircraft or Helicopter rides, but there was also a chance to experience the air travel of the 40s and 50s with the classic DC-3 Dakota. 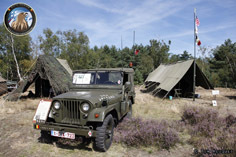 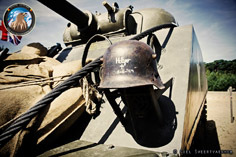 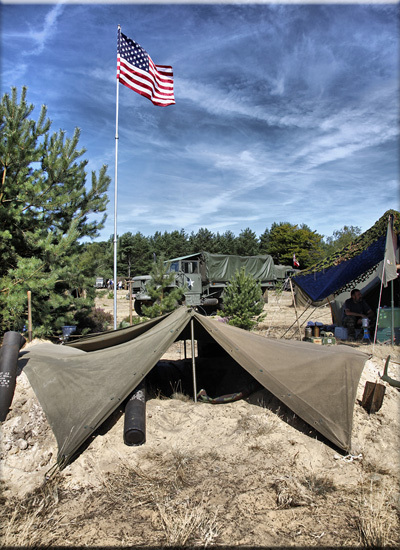 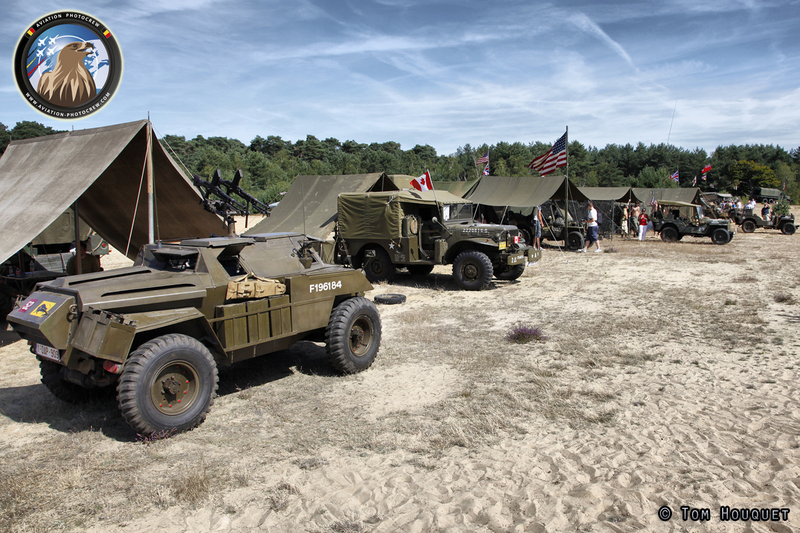 On the sand plate people could not only experience the great collection of restored military vehicles, but also see the re-enactors at work, performing mock-battles like in a real war. 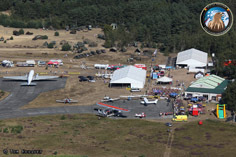 Next to the drinking and eating stands, the visitors could also wander around in the shopping street full of aviation related items on sale. 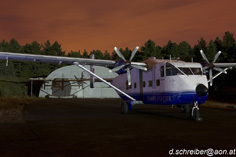 Around noon the Skyvan went up again for the second Academy photoflight which had again some very photogenic aircraft posing like the SV-4, Chipmunk, Su-26 and Su-29, Yak 52, Stinson, Commander and Speedcanard. 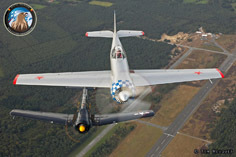 During the evening the second Super Warbird flight took place, with all present Warbirds going up in the skies above Malle. 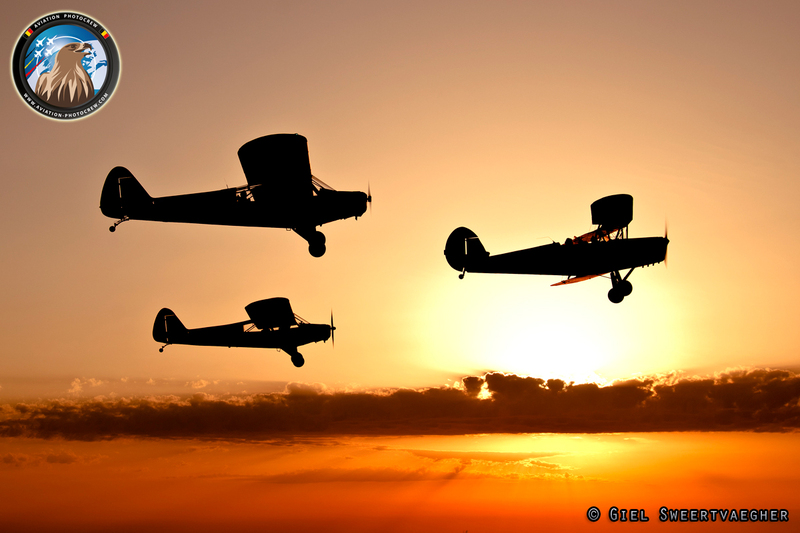 Saturday evening saw an incredible nice sunset, so this opportunity could not be missed for a very special formation flight of oldtimers. 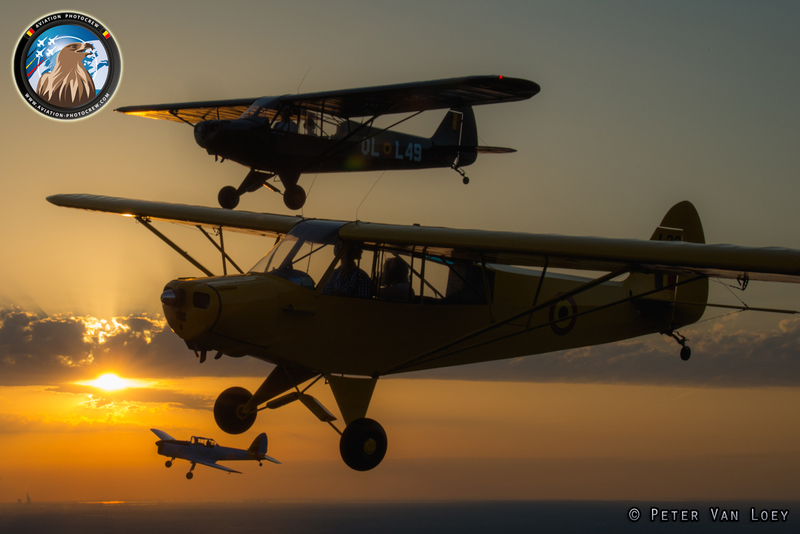 Two Piper Cubs, an SV-4 and a Chipmunk took to the skies and ended this wonderful day with some nice vintage evening flying. 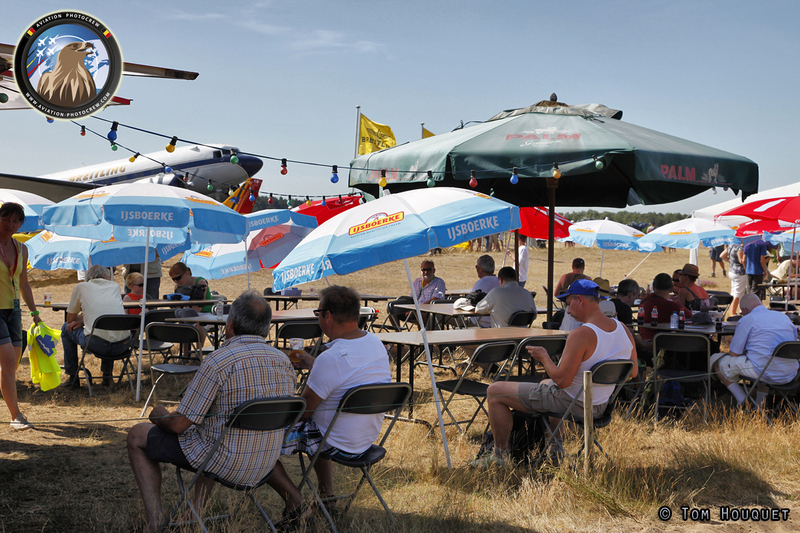 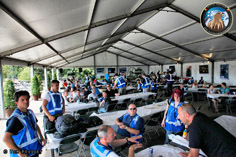 Saturday evening also was the time for the Big Breitling BBQ taking place in the catering tent. 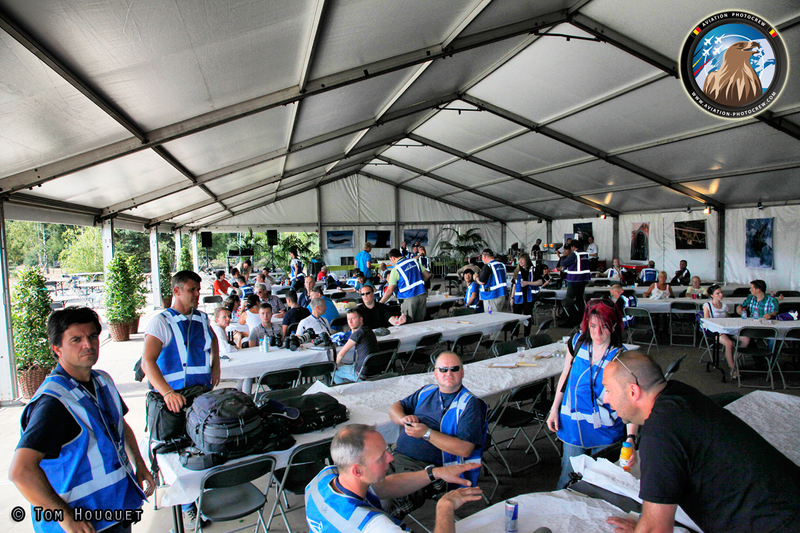 Here all volunteers, crews and photographers had a great dinner together on the hottest day of the year. 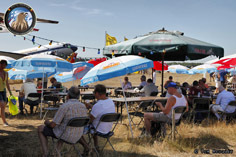 With great music playing in the background (thank you Jo), everyone had a wonderfull time with a good meal and some drinks. 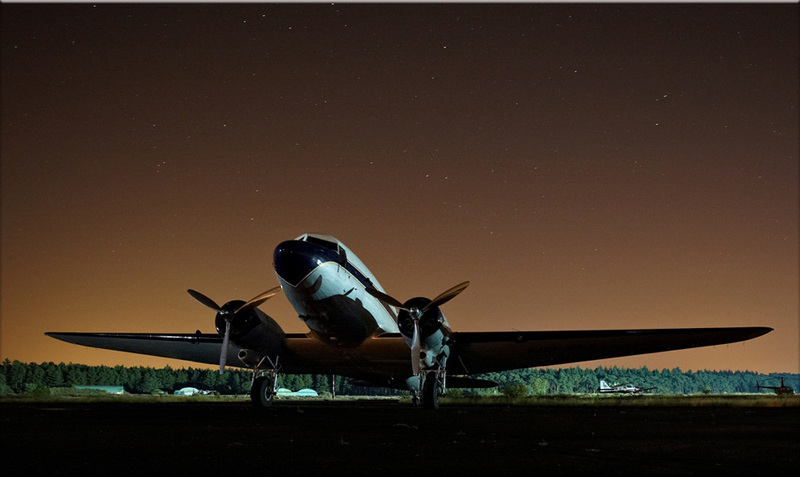 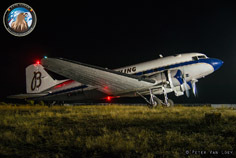 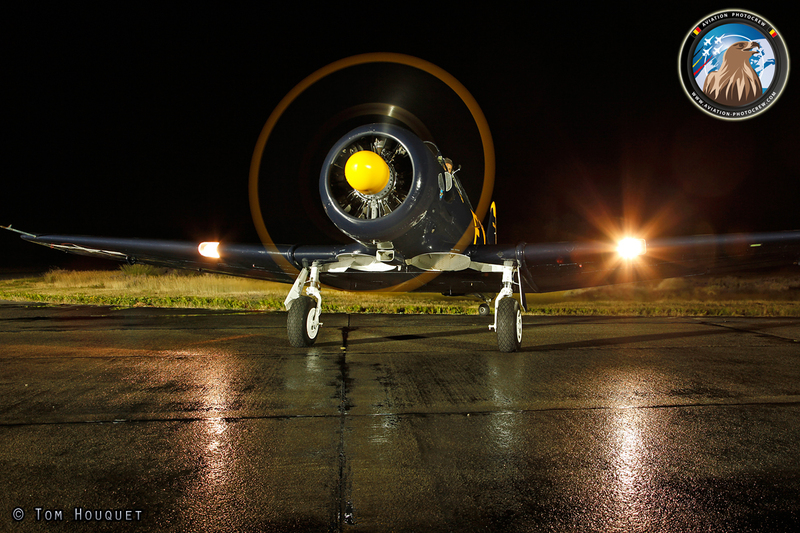 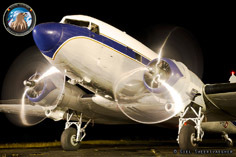 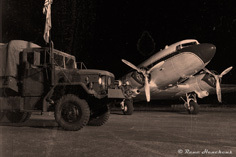 And if the BBQ was the Icing on the cake, the Cherry on top of it was the Breitling DC-3 prepared for a dedicated nightshoot, during which she even started her engines which produced the most beautiful sound one can experience on a airfield. 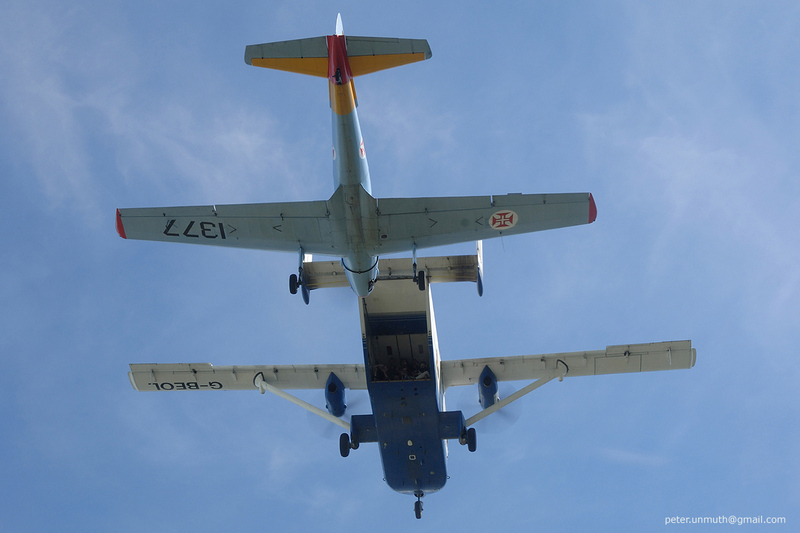 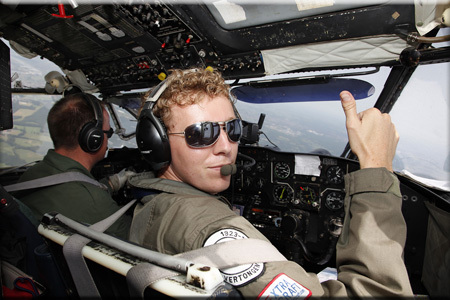 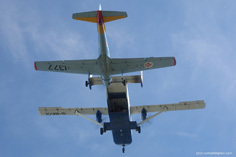 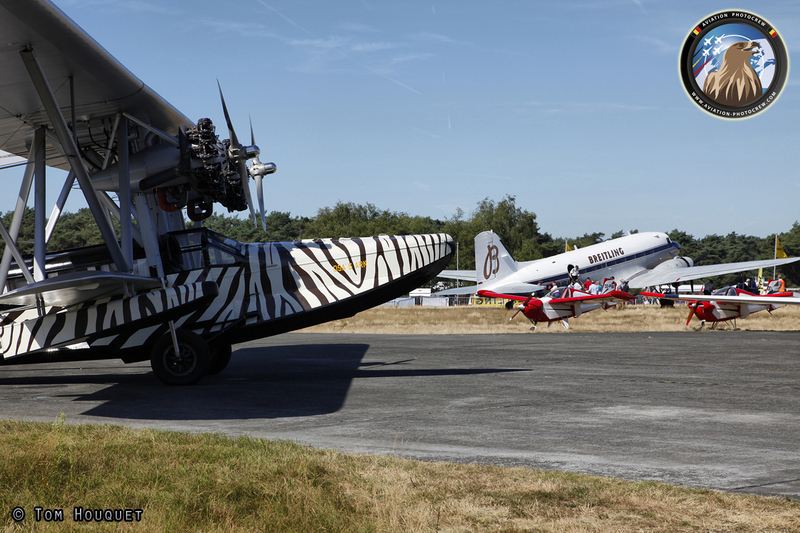 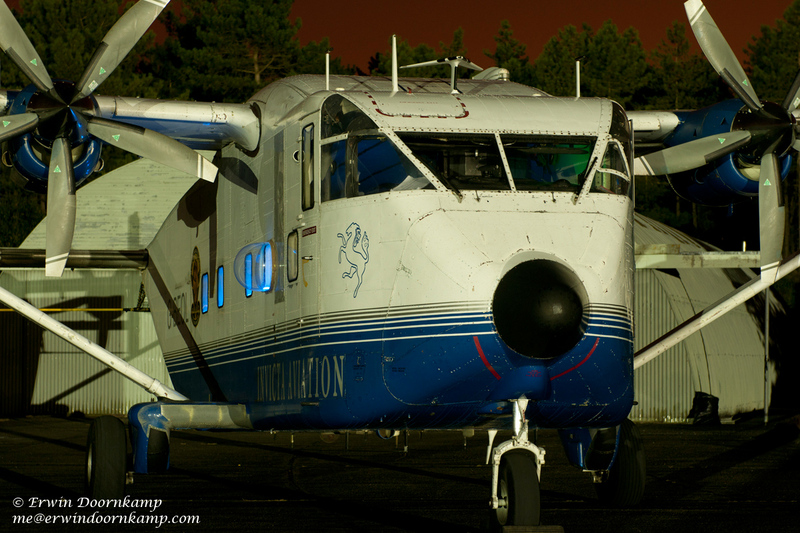 The third public day was again wall-to-wall sunshine and a last Skyvan photoflight was planned around noon to close-of the 2012 edition of the Air-to-Air Academy. 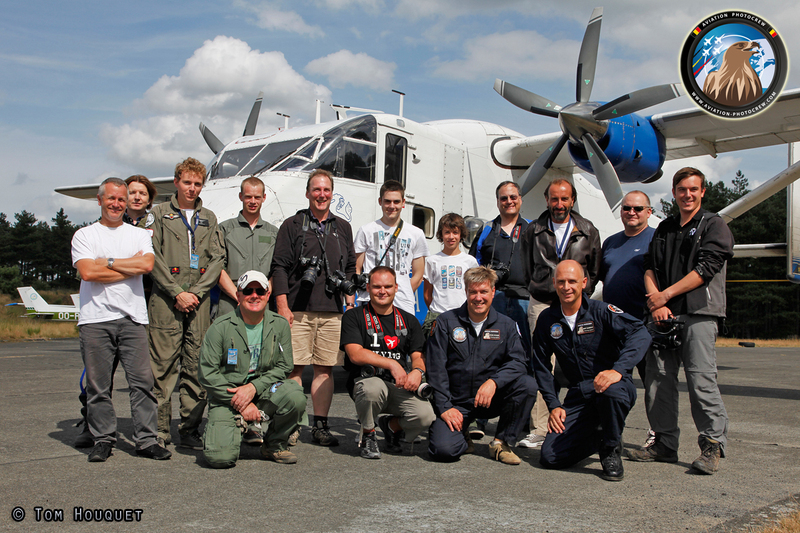 The photographers on that flight were extremely lucky, as the Swiss Avenger and the Corsair pilots both had such a great time, they asked the flightplanners to fly one more time behind the Skyvan, which we more than happy to adapt the planning for.. Also visiting that dat were the Victors formation team from Ursel, which came especially to have their photo taken with their new smoke system. 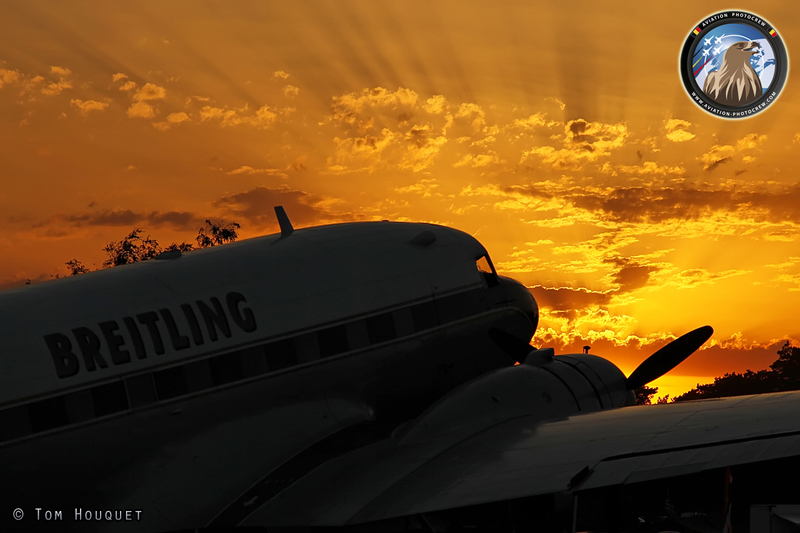 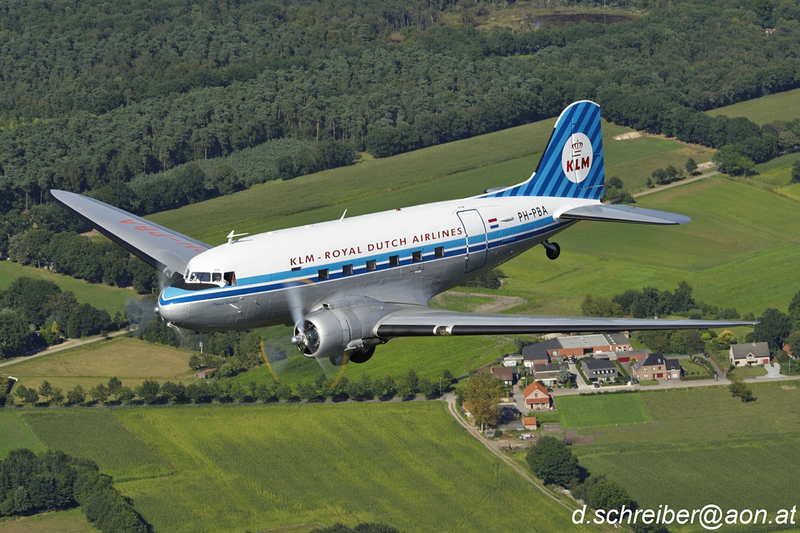 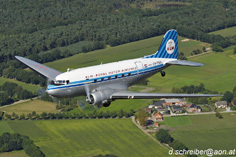 The Breitling DC-3 made a nice pleasure flight in the morning and departed later in the afternoon. 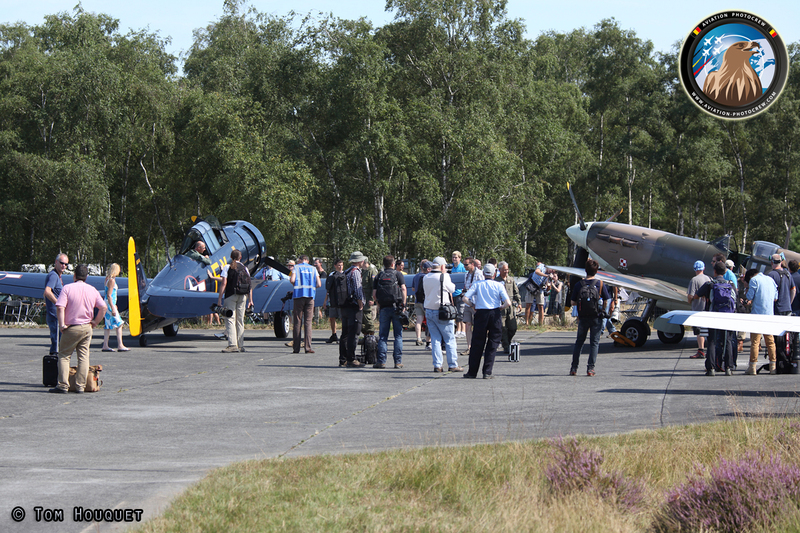 Then it was time again to say goodbye to all the participating aircraft as they all left back to their home base after an incredible weekend. By the evening the airfield was nearly empty again and the normal life could start again. 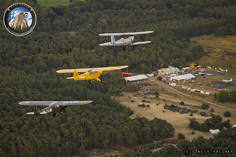 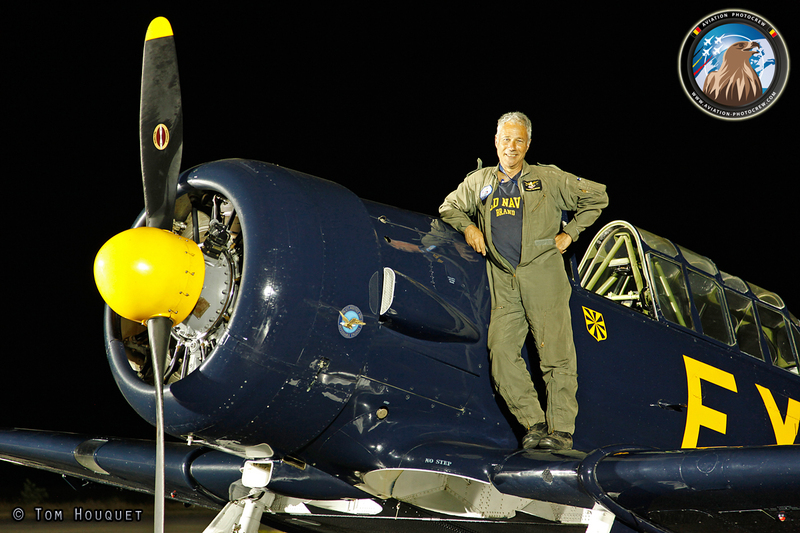 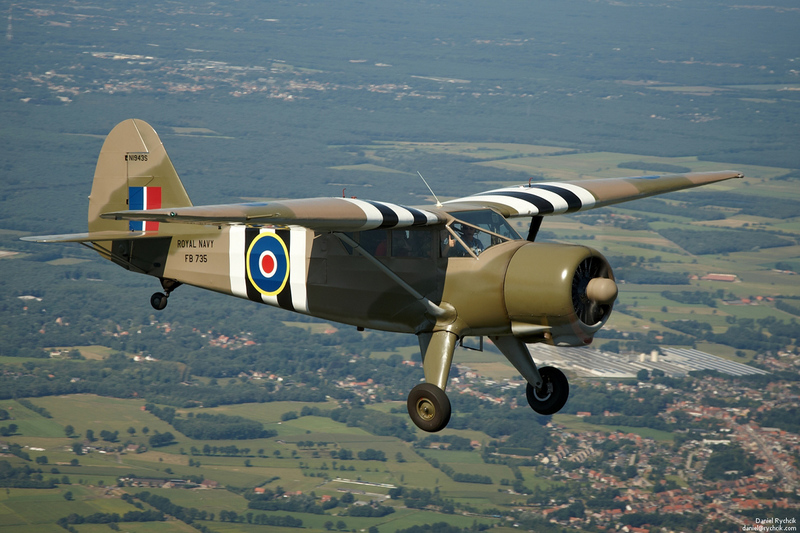 This 2012 edition of the Photoflying Days and the APCK Fly-in was again a huge success and it will stay in many people’s mind for a long time. 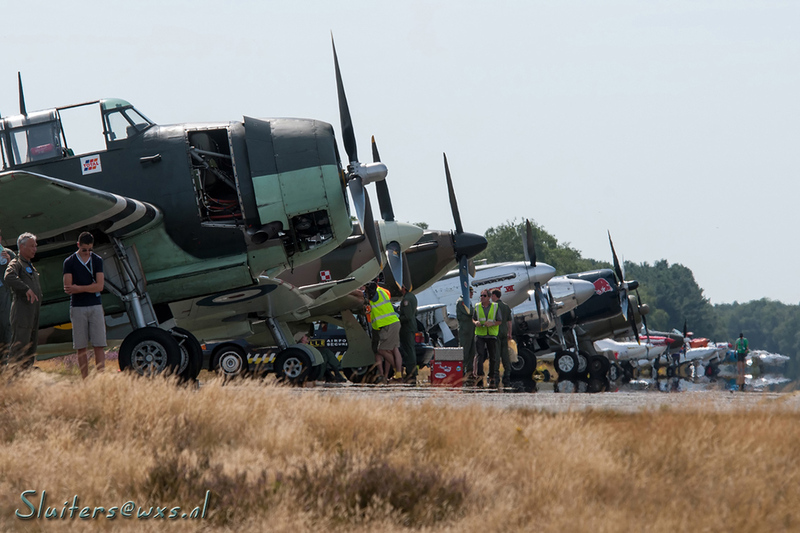 A lot of unique moments took place during the hottest long weekend of the year and we were very fortunate with all the aircraft who came to Malle airfield from all over Europe. 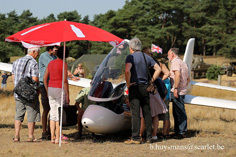 During the five days, around 200 aircraft visited Malle and no less than 15.000 people enjoyed these great moments at Malle. 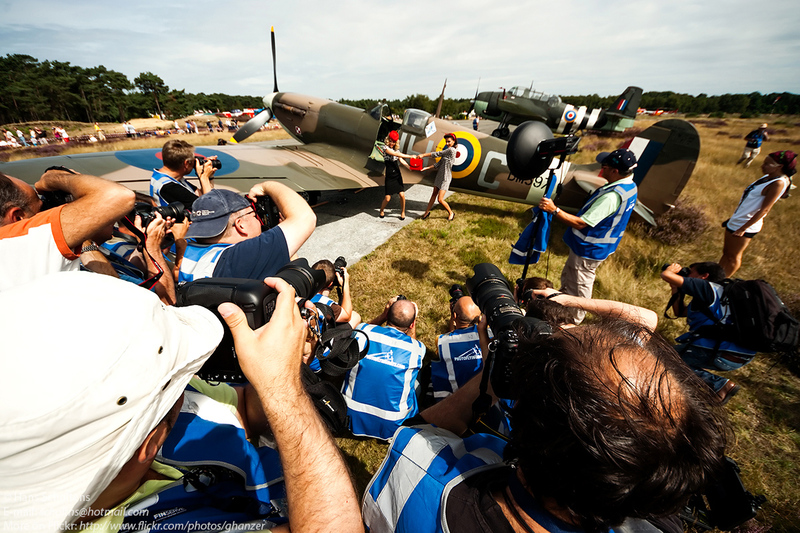 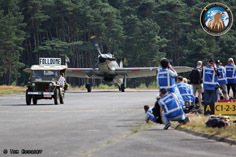 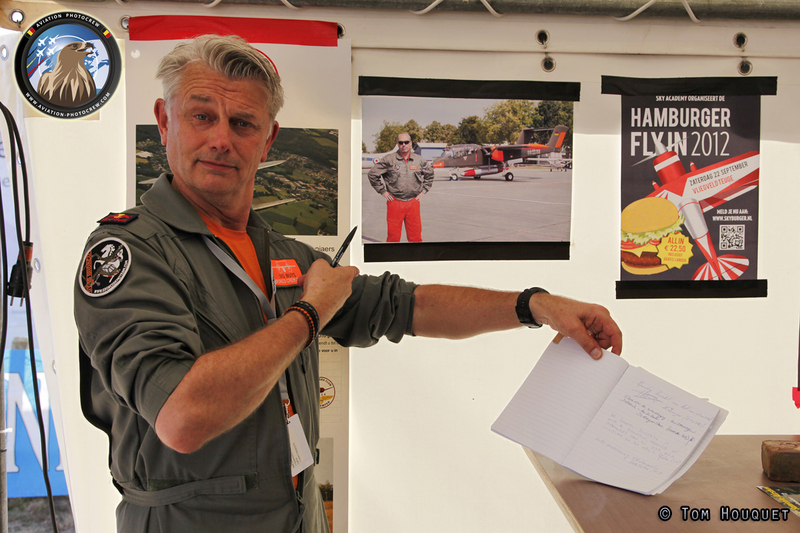 Hereby we would like to thank all the volunteers who made this event possible, all visiting photographers from all over the world, and off course all the pilots and crews who flew over to Malle airfield! 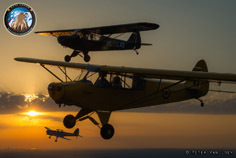 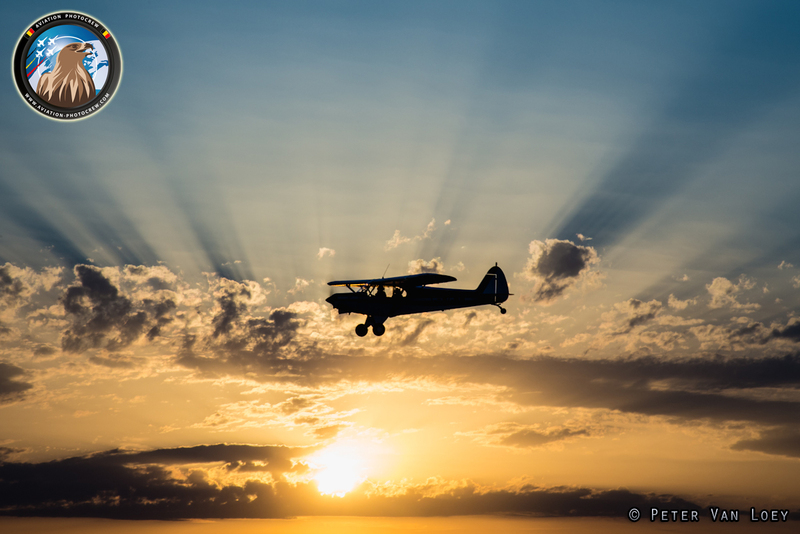 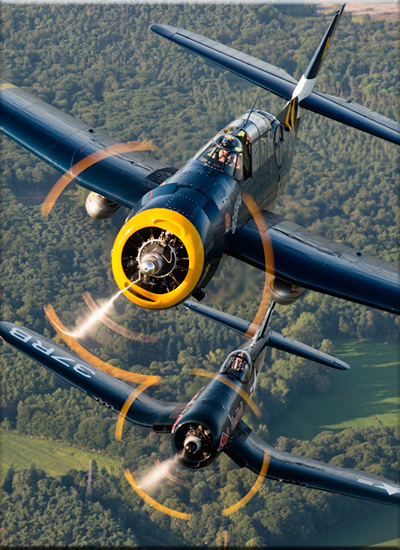 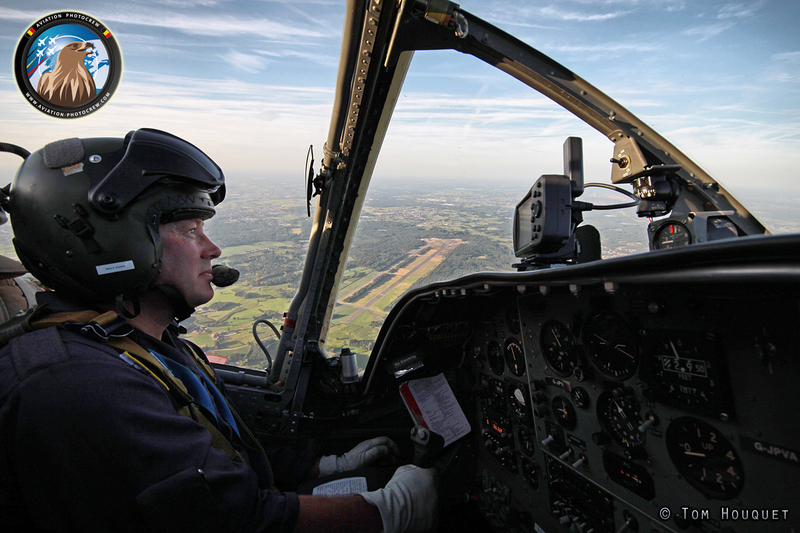 Below is a wonderful selection of the best photographs made by the Air-to-Air Academy photographers who were present during the PhotoFlying Days 2012. It was a difficult choice between the thousands of photographs taken during the 2012 event, here are the very best of the best! 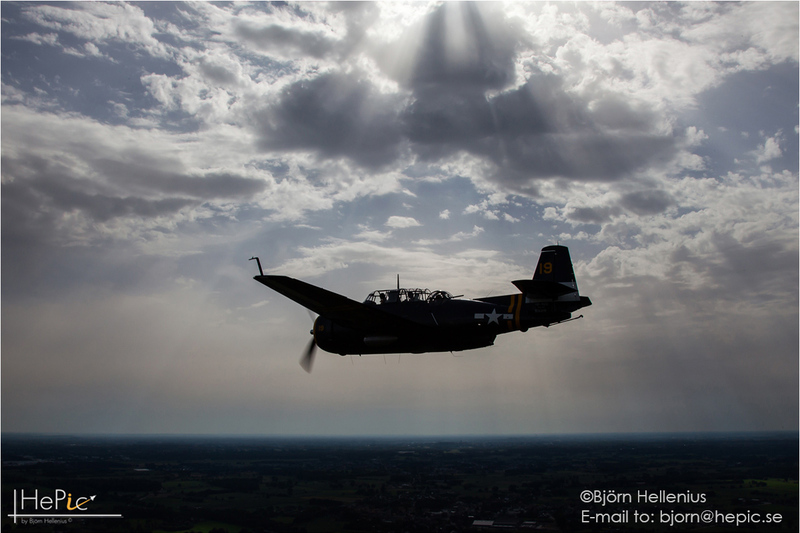 Thanks for sharing your pictures!